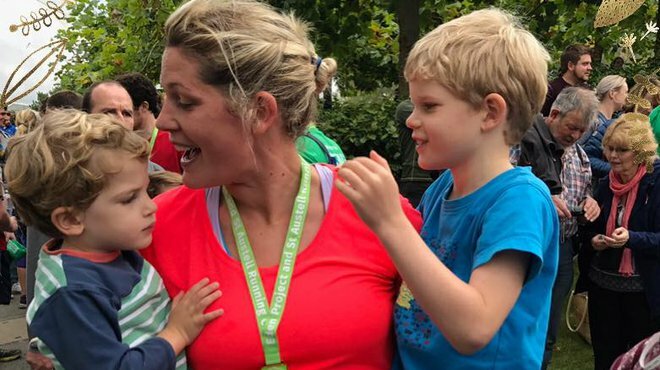 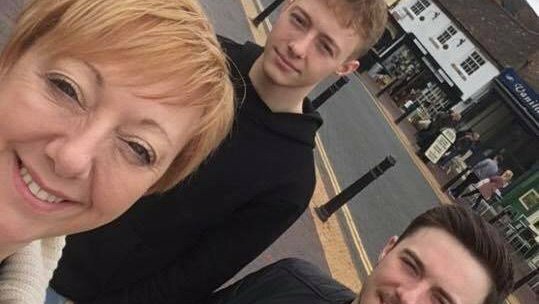 After baby son Josh's terrifying battle with pneumococcal meningitis, mum Emma took on our Marathon Month - all in one day! 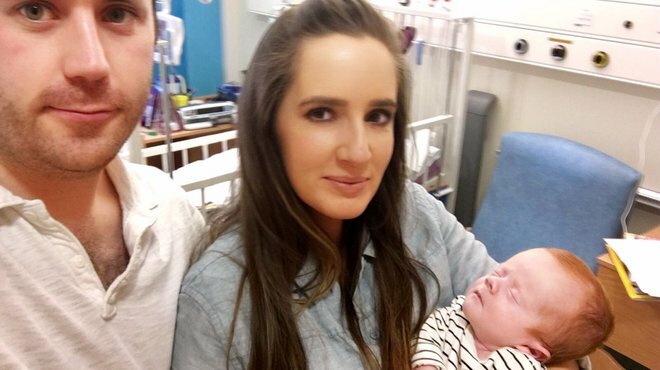 What started for Kirsten with a severe headache and vomiting was viral meningitis, as confirmed by a lumber puncture. 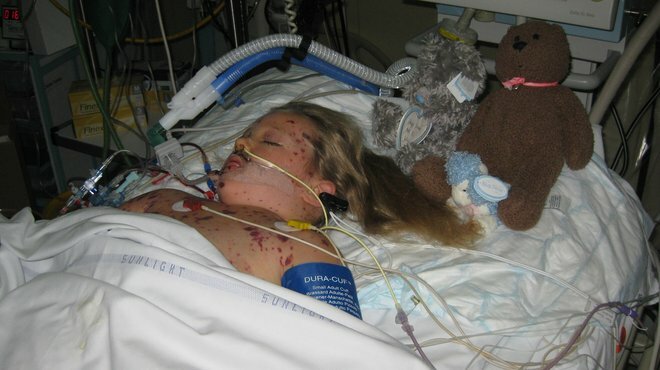 Mia contracted viral meningitis at age 17. 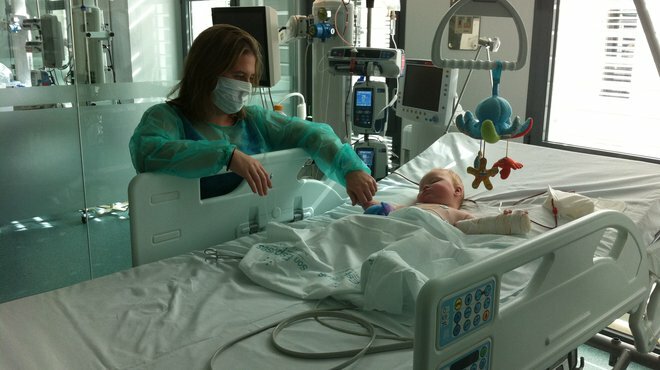 After several days of extreme aches her mother took her to hospital where she was seen immediately. 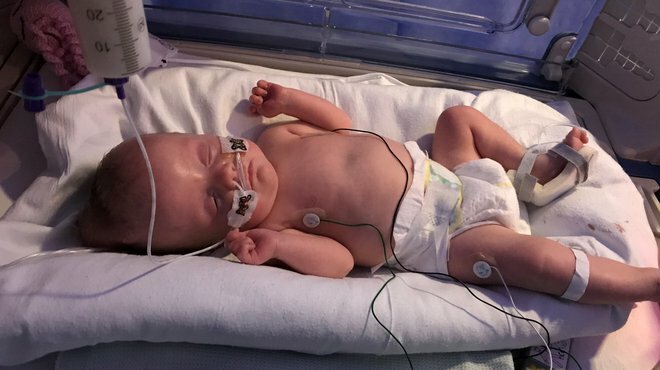 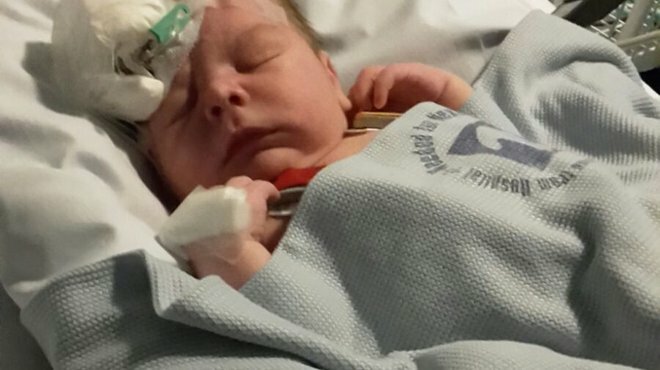 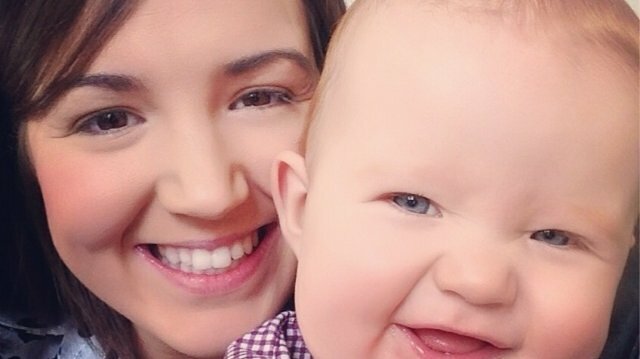 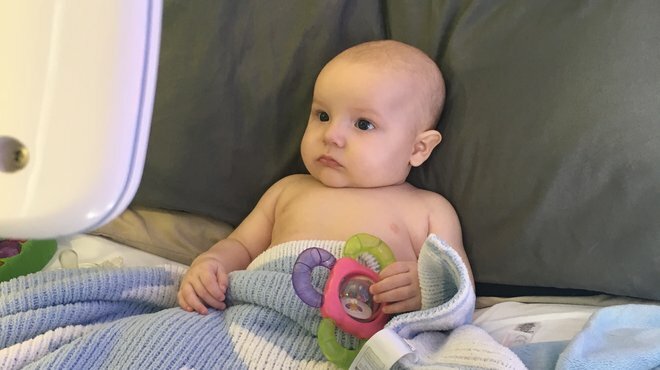 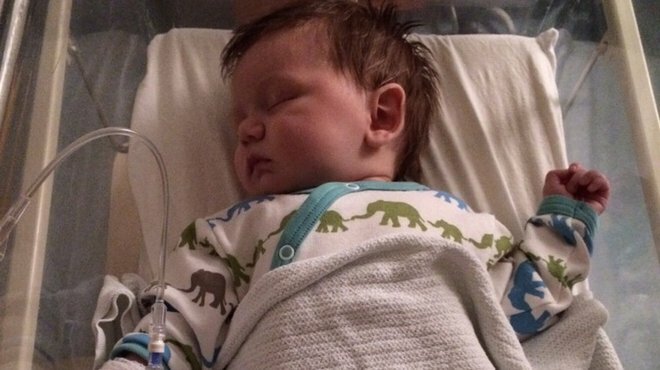 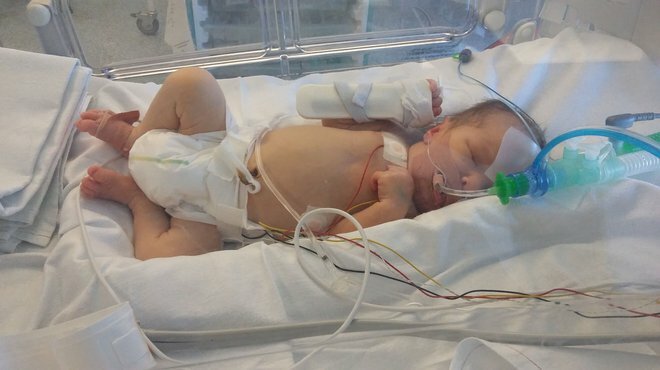 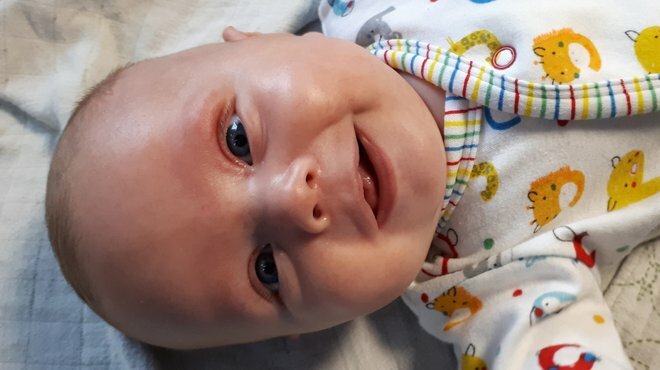 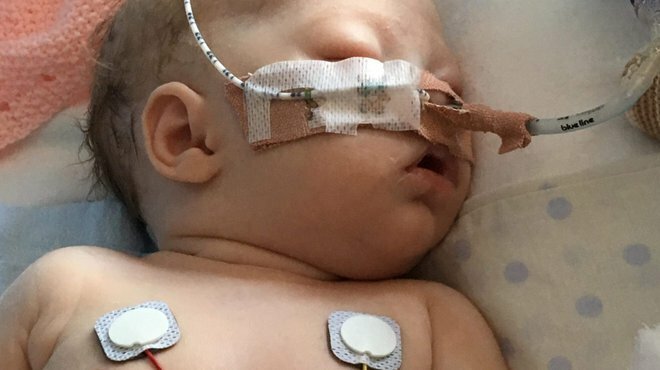 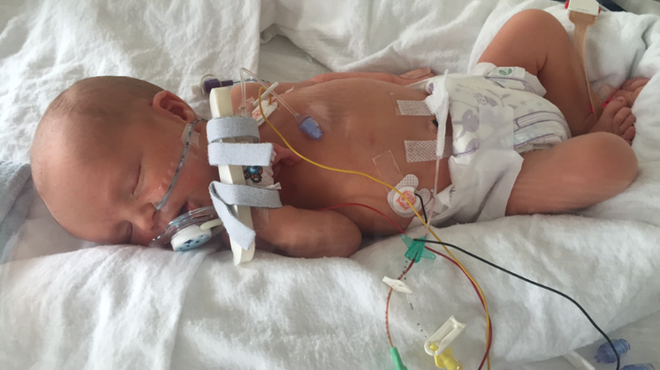 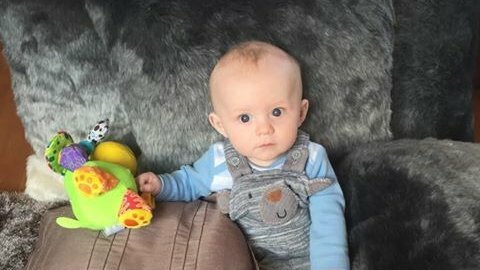 Caspar contracted bacterial meningitis at just 12-weeks-old. 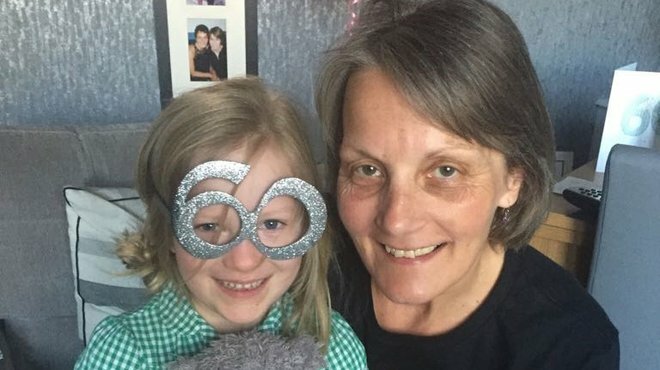 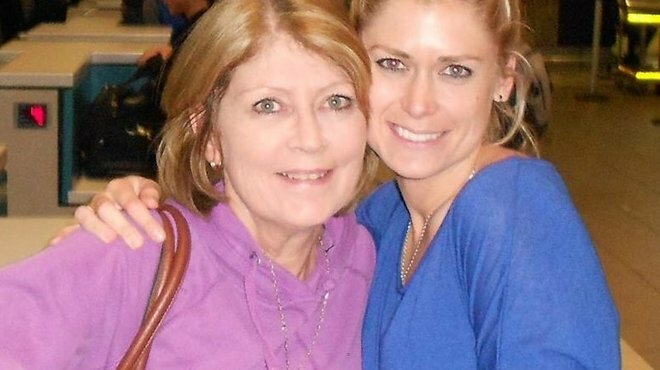 Lucy's 71-year-old mum thought she had contracted a cold, the next thing that Lucy was told on arrival home was that her mum had been admitted to hospital. 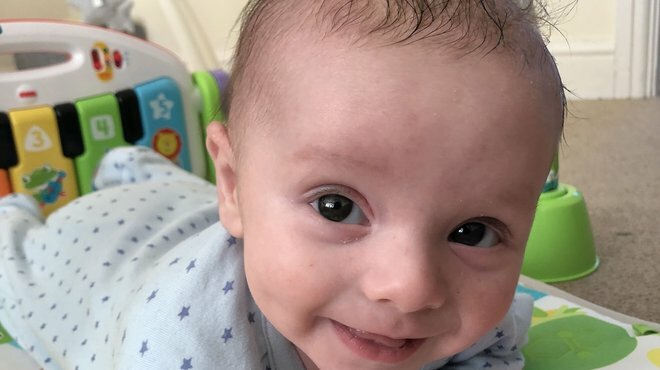 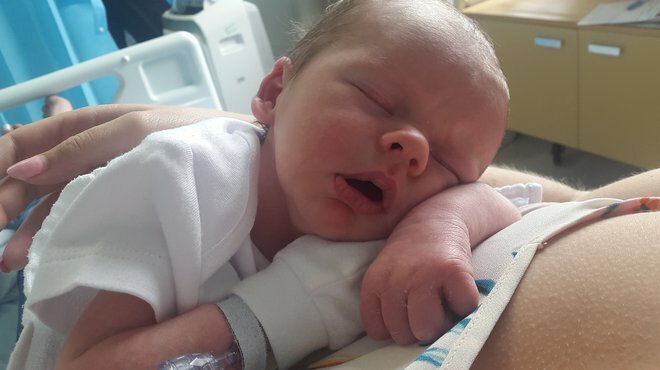 When Noah became unwell at seven-weeks, mum Hannah suspected meningitis despite him not displaying the classic signs and symptoms. 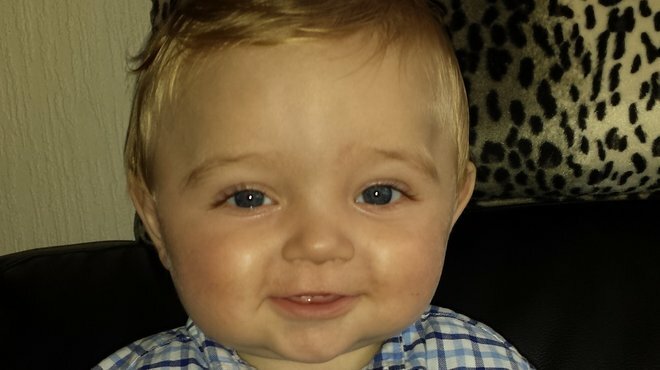 Tyler contracted meningitis at just six-months old. 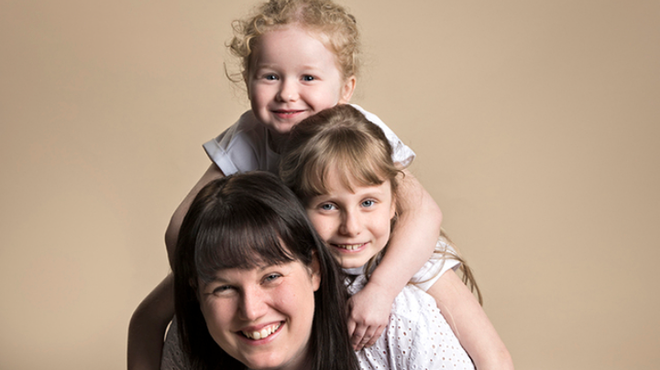 Her GP identified a concern quickly and she was immediately sent to hospital. 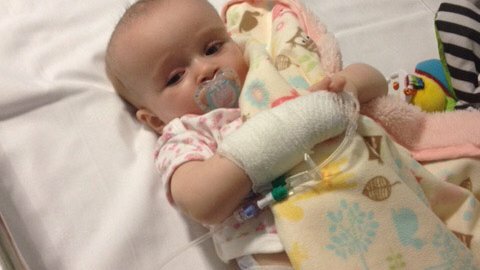 Freya contracted bacterial meningitis (Men B) in 2016, she recovered well but did suffer some significant after-effects. 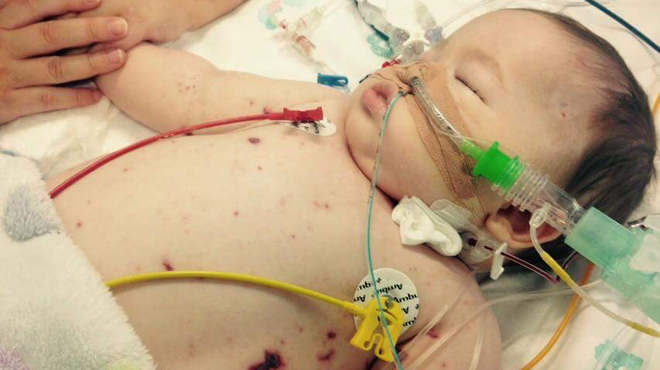 When Henry contract meningococcal meningitis (strain MenY), he was initially treated for a viral infection. 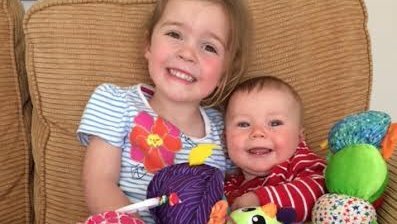 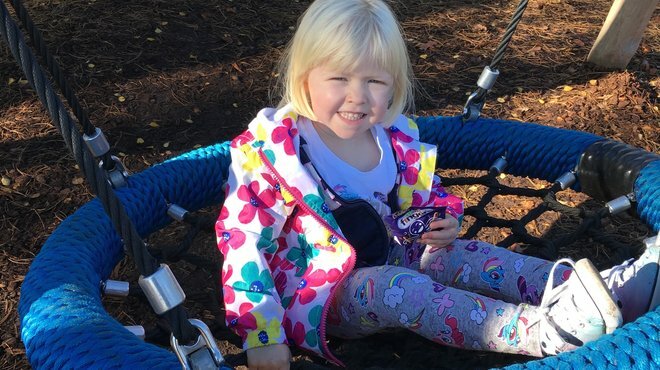 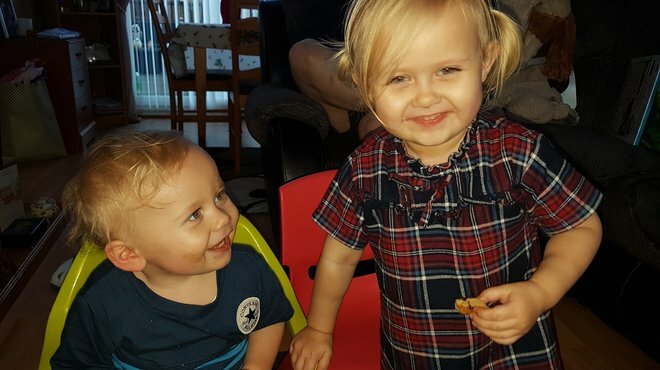 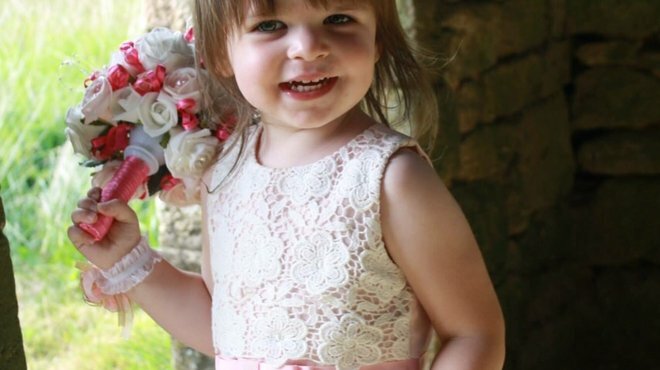 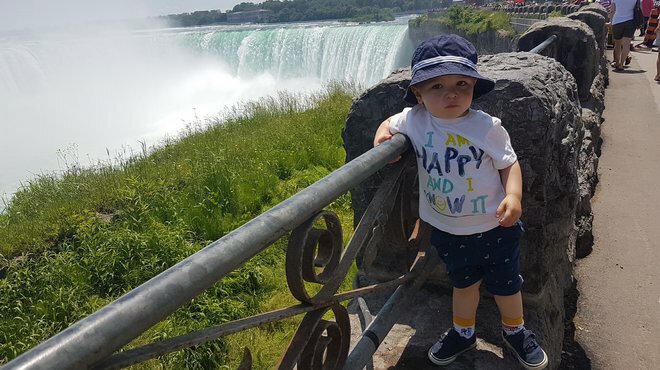 Jesse contracted bacterial meningitis at seven months old, mum Darcy trusted her instincts after initially being diagnosed with tonsillitis and sought further medical assistance. 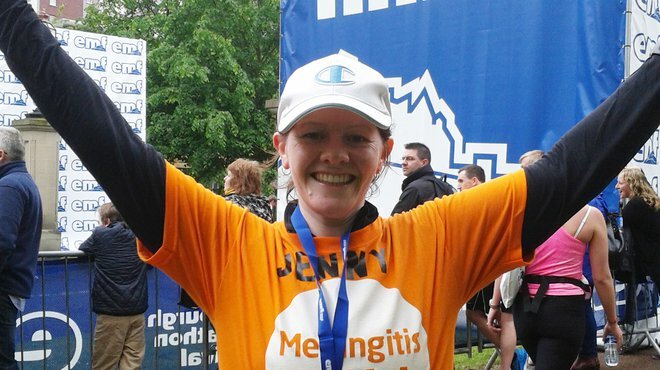 Jenny contracted viral meningitis at age 26. 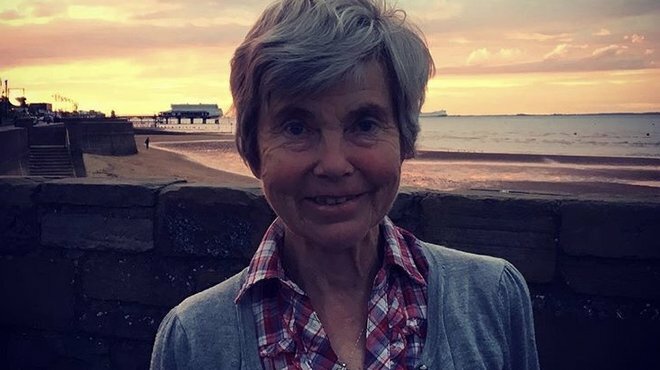 Jenny had a very traumatic time undergoing nine lumber punctures in an attempt to find out whether she was suffering from bacterial or viral meningitis. 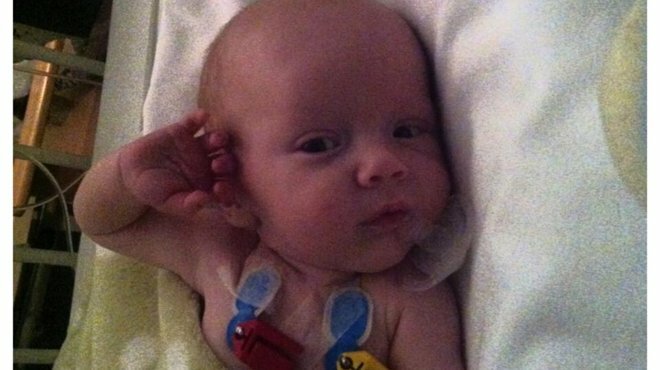 Michael contracted viral meningitis at just four-days-old. 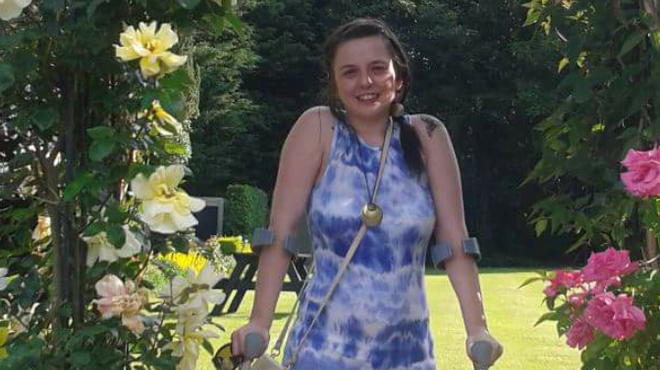 When Chloe contracted meningitis at age 19, she came close to dying and lost her ability to see, hear and walk. 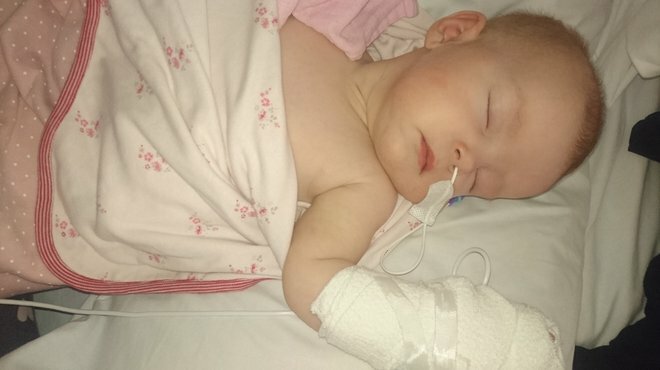 Thankfully despite significant after-effects, she is making a good recovery. 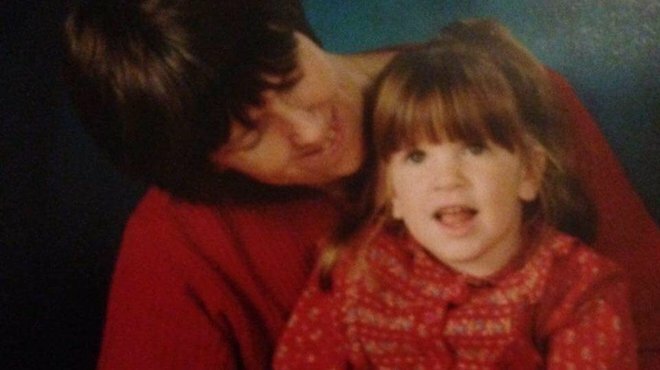 Michelle contracted meningitis at 20-months-old back in 1980. 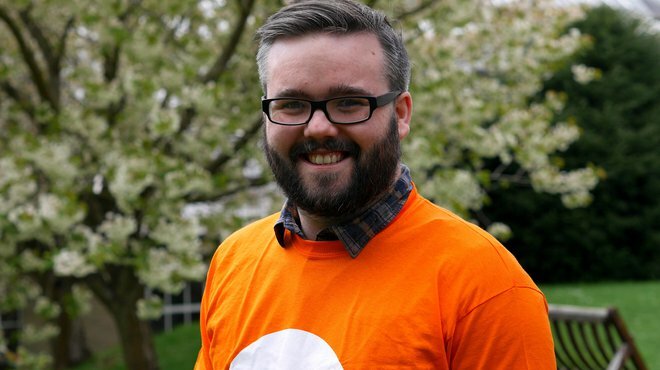 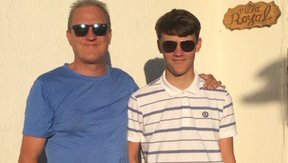 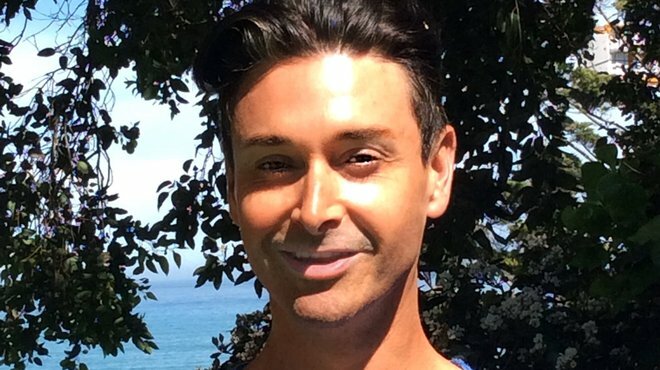 Stephen's meningitis story began when a severe headache, lethargy, aching muscles and sensitivity to light struck in April and he knew something serious was wrong. 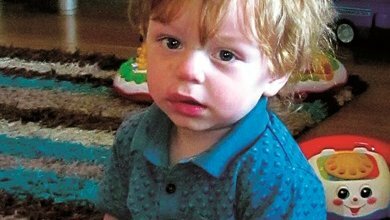 Charlene's son Connor was showing classic signs of meningitis when doctors sent him immediately to hospital. 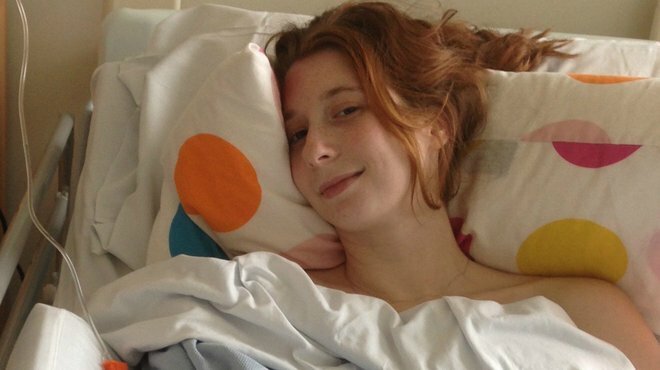 Twenty-two-year-old Molly, from Bristol, thought she’d come down with a bad case of flu. 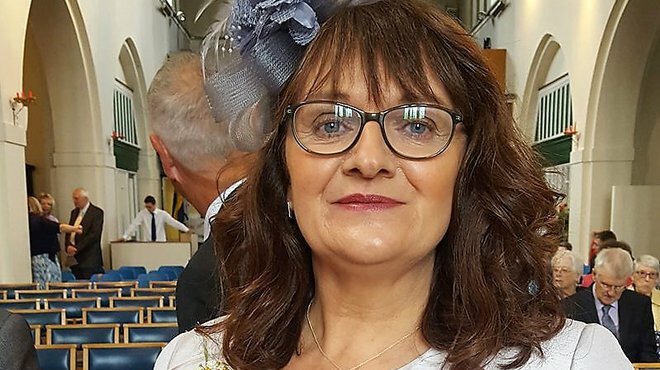 Arlene was pregnant when she was struck down with a severe headache, after investigation viral meningitis was confirmed. 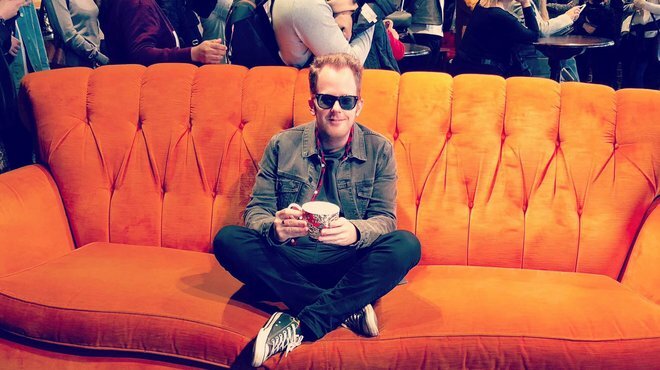 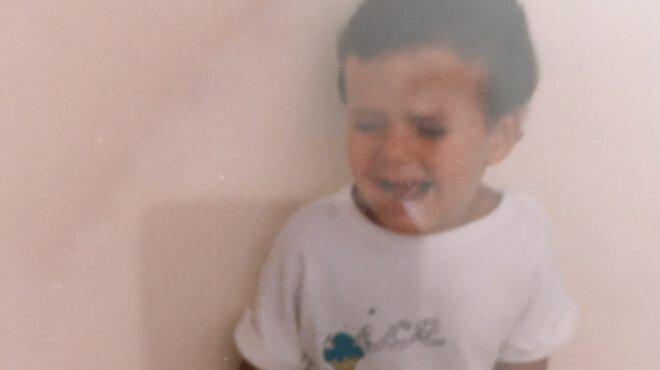 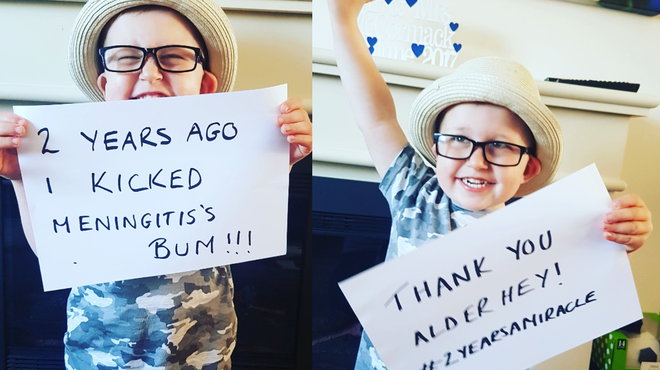 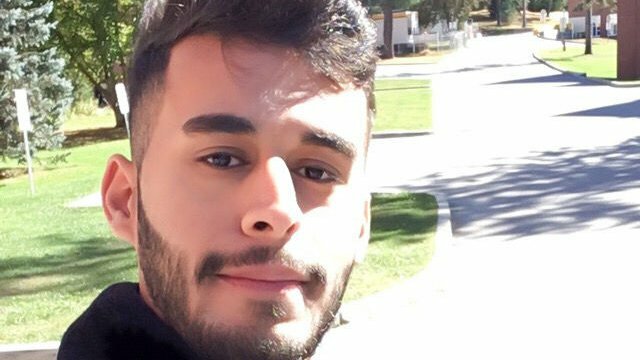 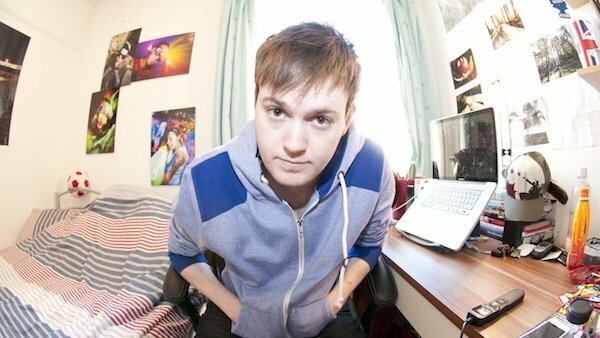 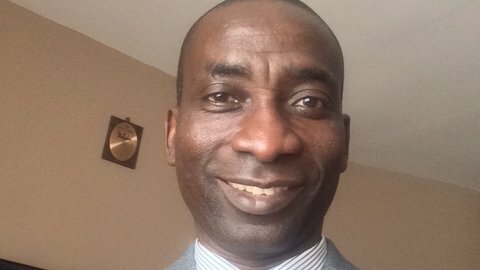 New Meningitis Now Social Media & Digital Editor Ashley, recounts his personal battle with meningitis when just 4 years-old. 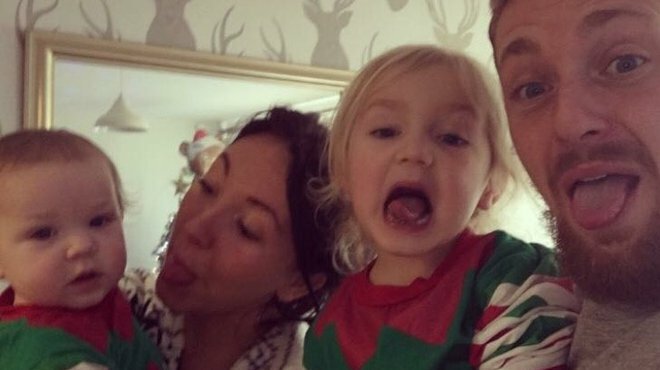 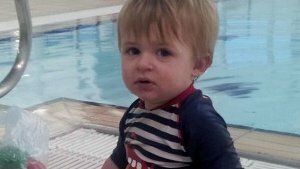 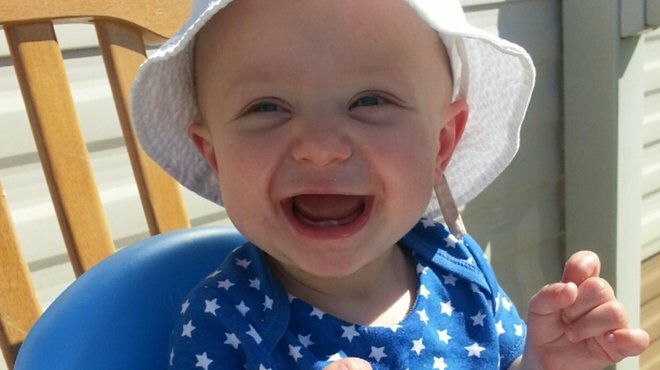 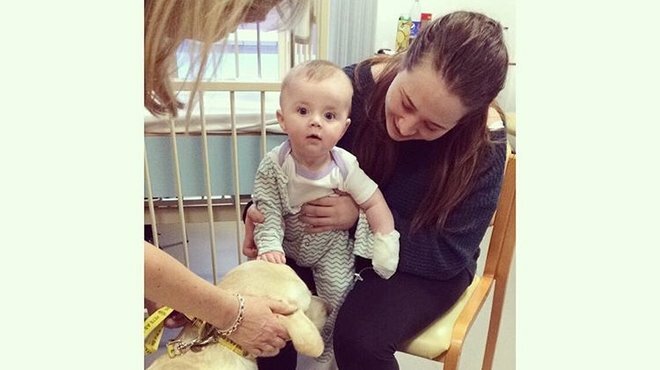 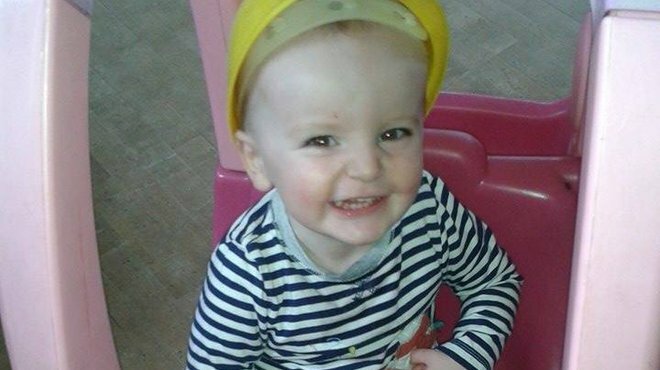 Freddie was 19-months-old when he contracted Group A Step meningitis and encephalitis. 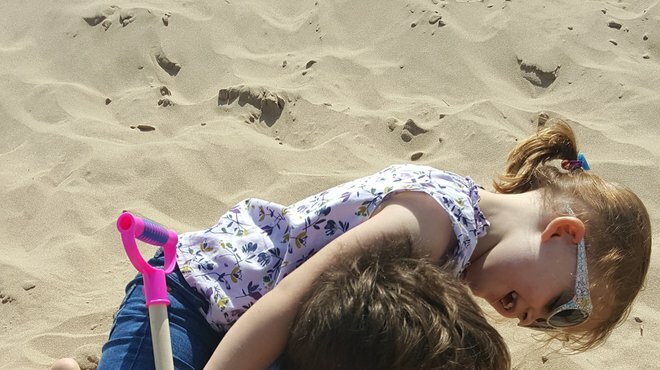 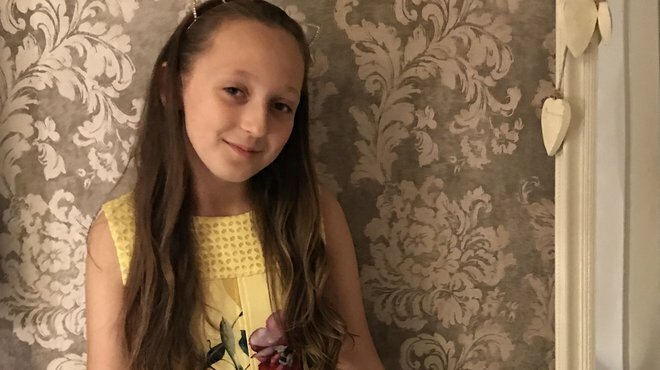 Chloe, from Birmingham, is still struggling with the after-effects of viral meningitis two years after she first became ill.
Jordan, from Canvey Island in Essex, showed no signs of meningitis until a rash appeared. 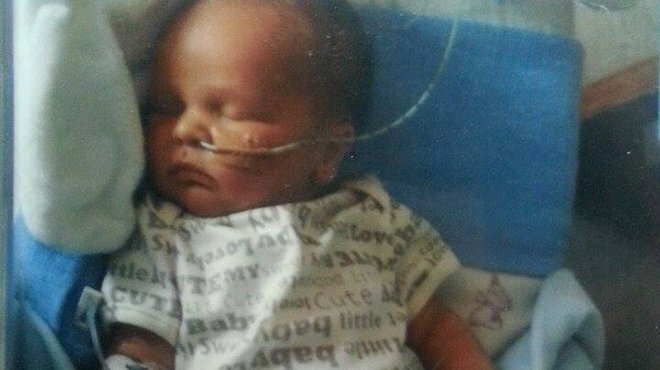 Jordan was in intensive care for just over two weeks. 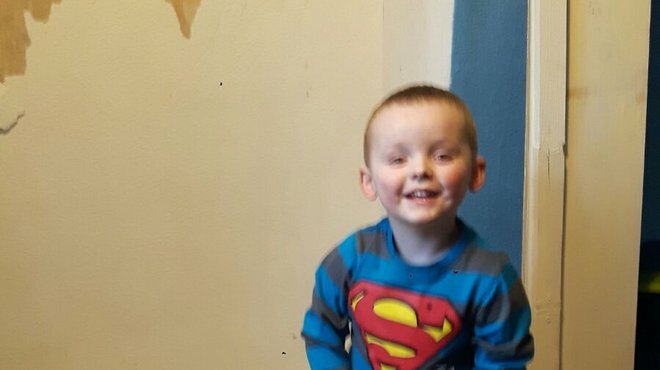 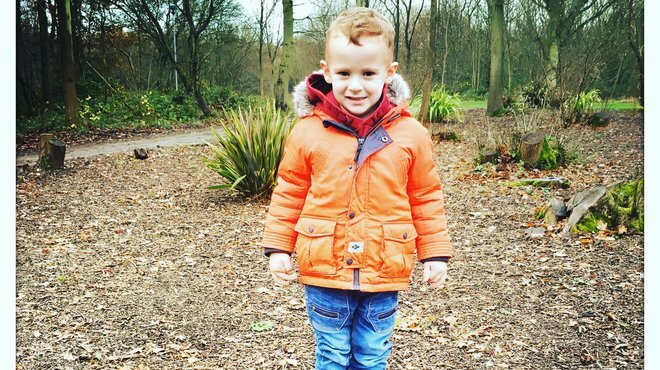 5 year old Archie has taken his first steps just weeks after being struck down with the life-threatening Men B infection. 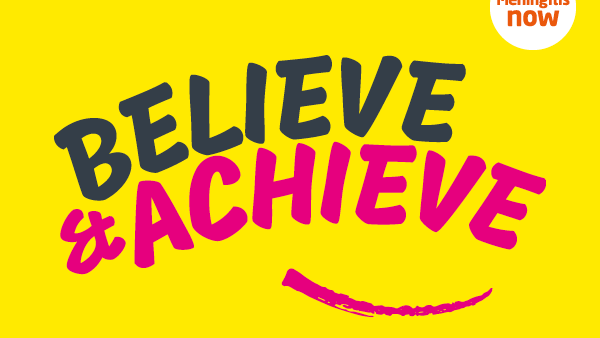 I pushed myself to do things with difficulty. 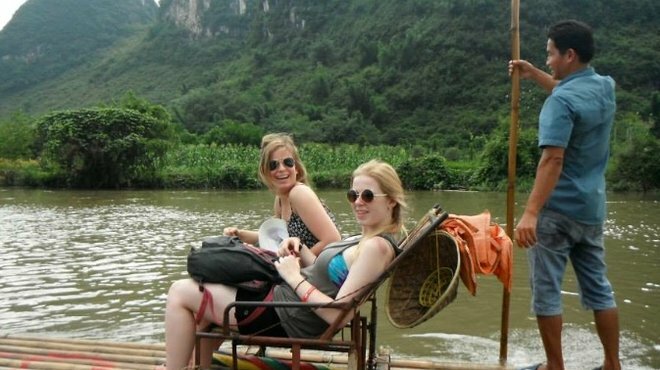 Being such an active person it was difficult to be so inactive. 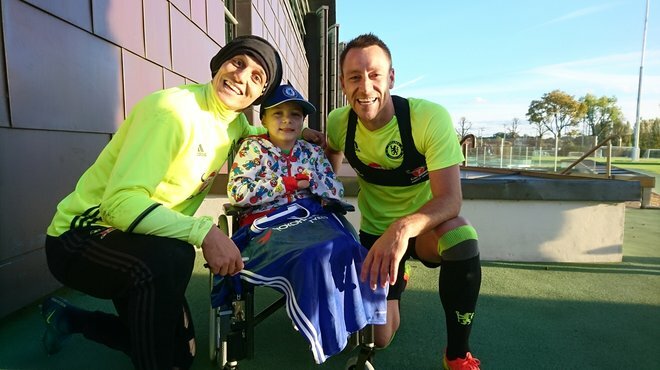 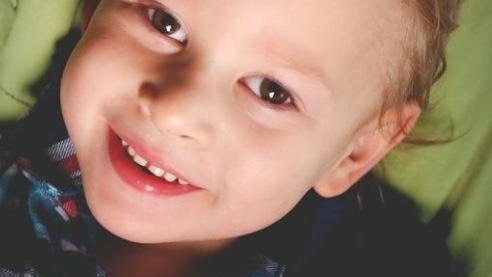 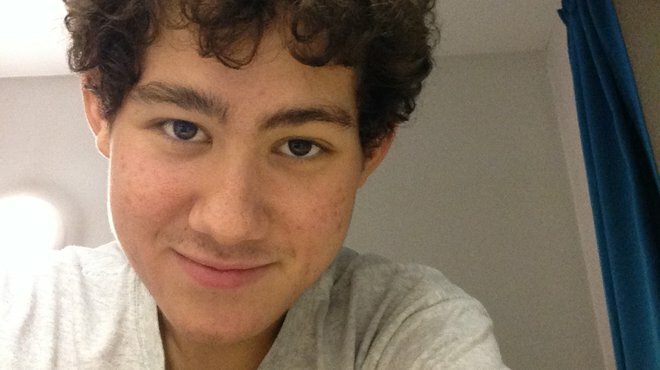 The doctor explained that they were doing everything they could to keep Arran alive but that it might be at the expense of his hands and arms or feet and legs. 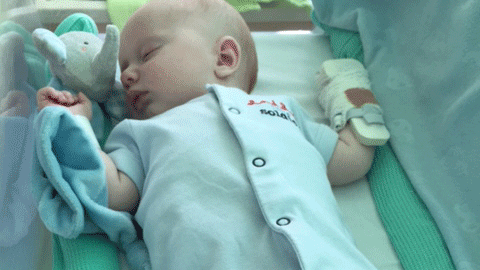 Emma’s five day old son Ellis had no clear symptoms of meningitis but was clearly not right. 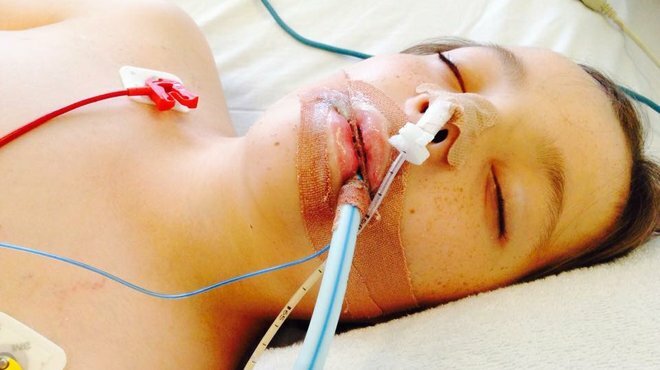 It soon became obvious that he was seriously ill. 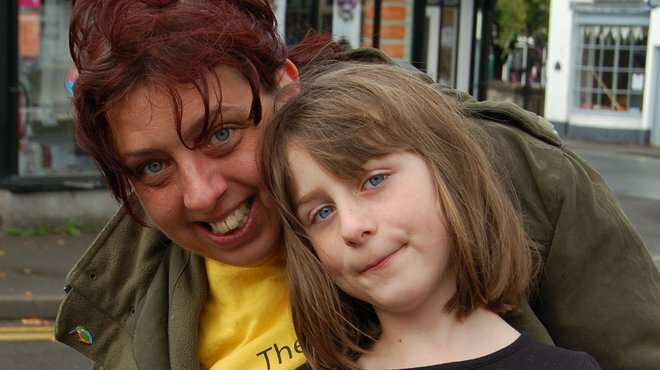 When Rachel became ill, her symptoms were similar to those she'd experienced years before. 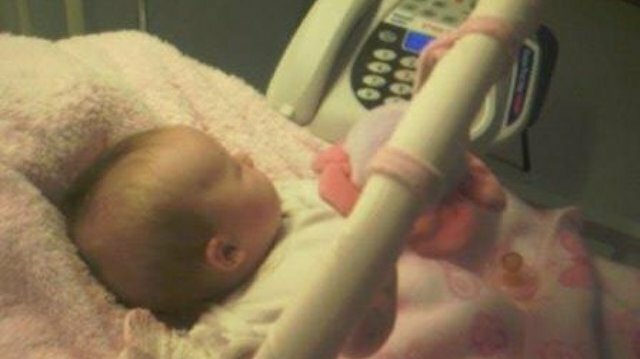 This time, however, she was diagnosed with viral meningitis. 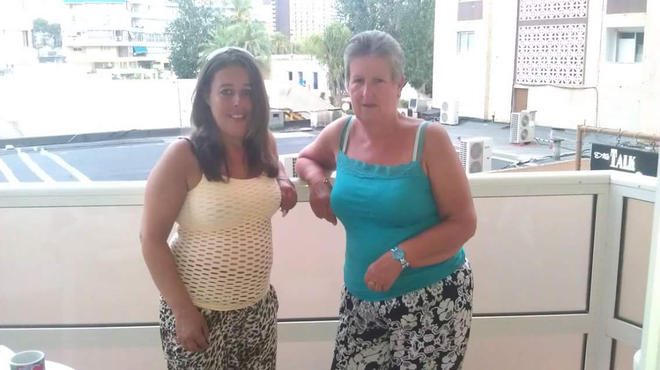 Theresa's mum Irene was 70 years old when she contracted meningococcal meningitis and septicaemia. 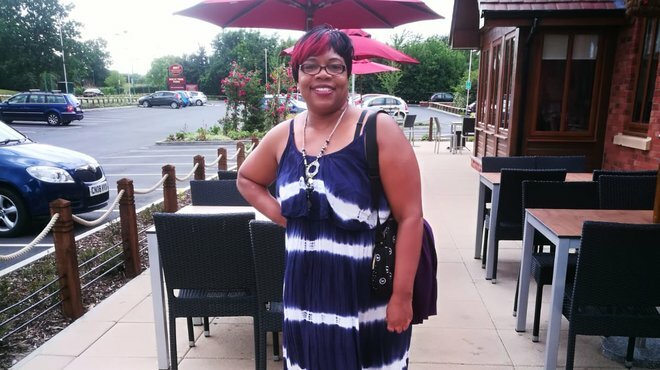 Theresa recounts their story here. 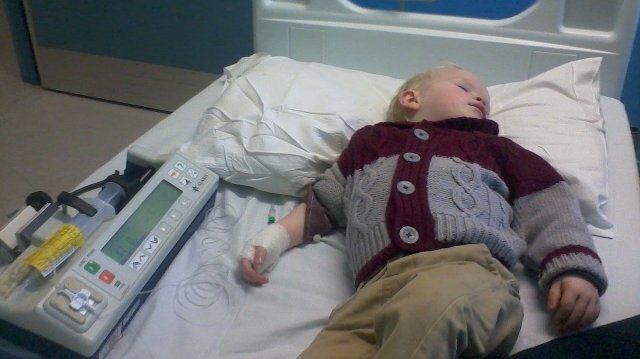 The consultant came in to deliver the blow that Keivagh had a bacterial strain of meningitis. 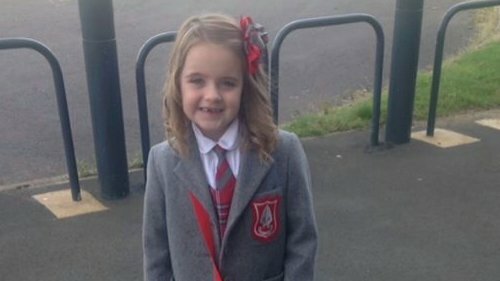 Our world stopped. 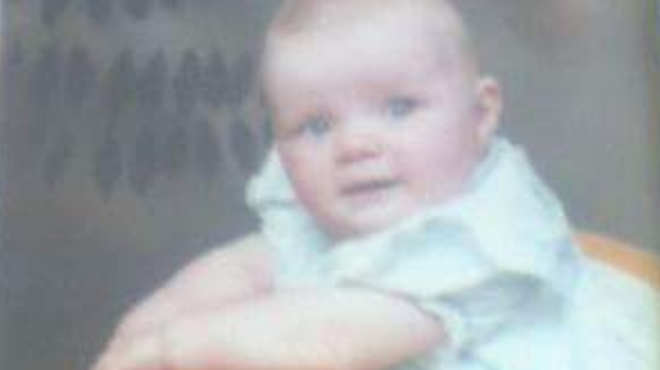 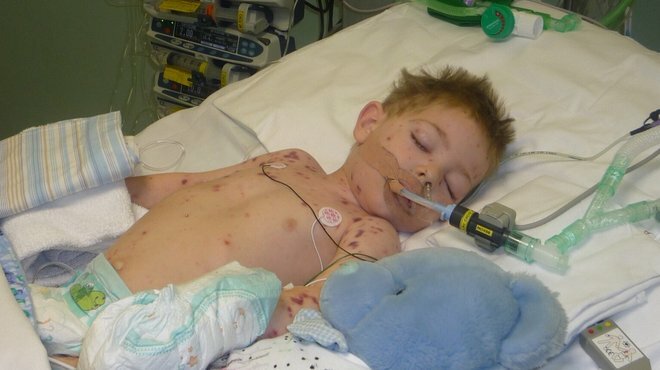 Mark was just one year old when he contracted meningococcal septicaemia in 2003. 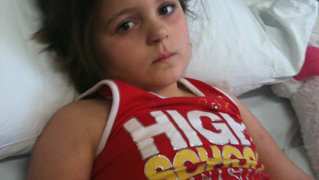 I'm always scared that she could get unwell with meningitis again. 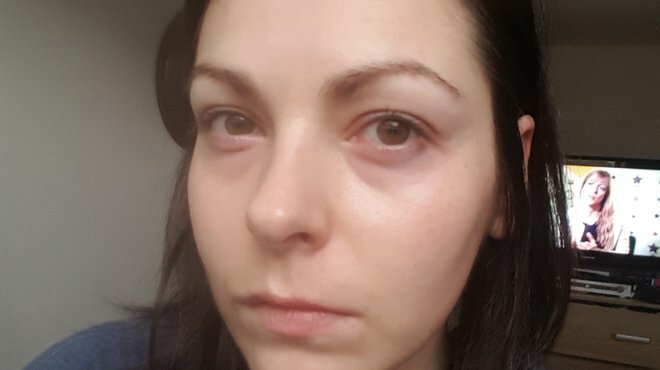 I'm 37, healthy and this bug still got to me. 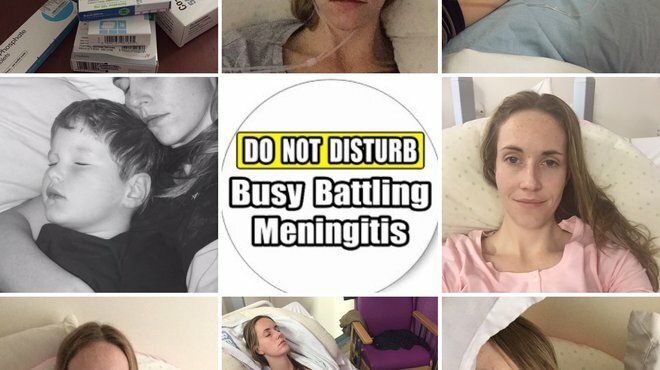 Viral meningitis can hit anyone, any time. 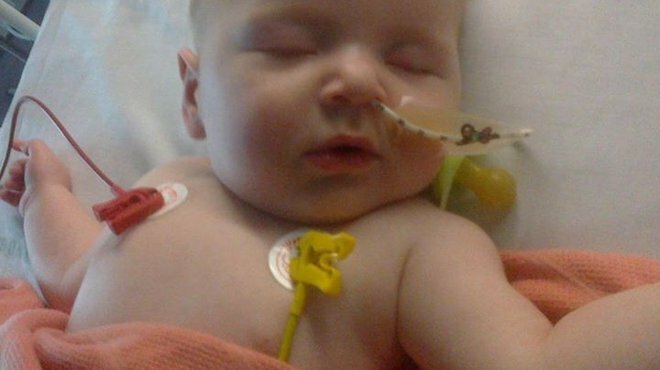 Roxanne's son, William, developed pneumococcal meningitis from an ear infection three days after his first birthday. 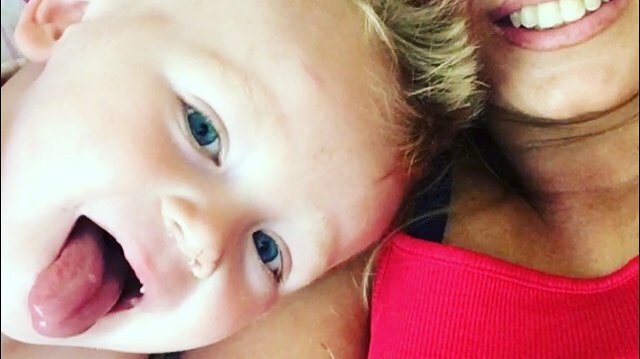 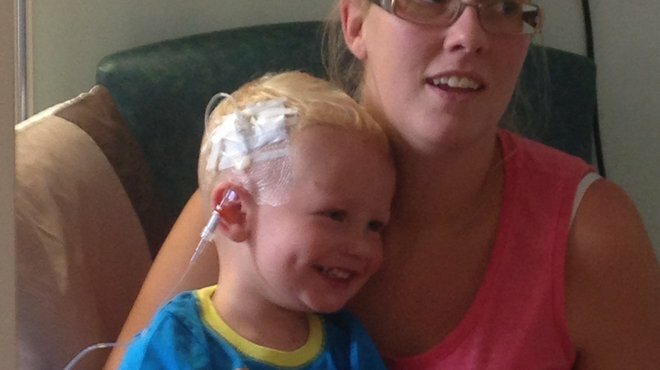 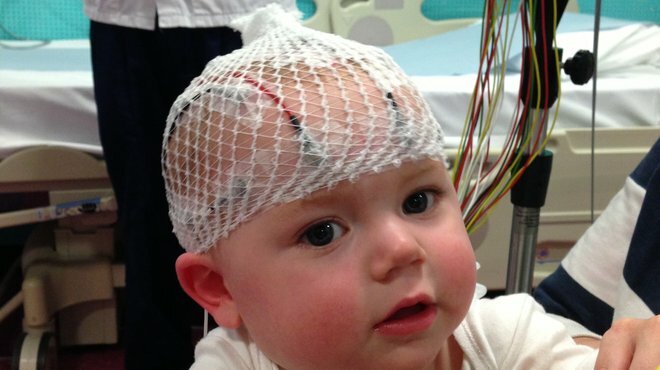 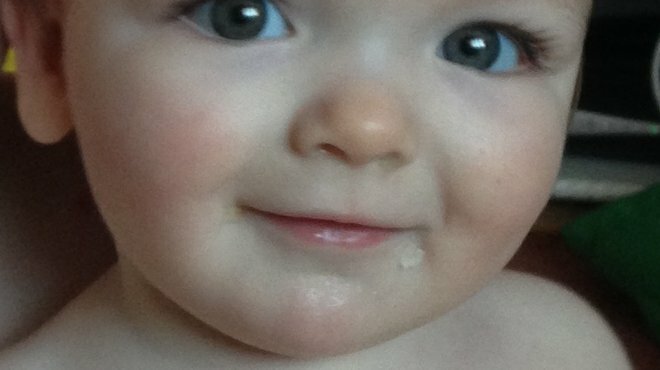 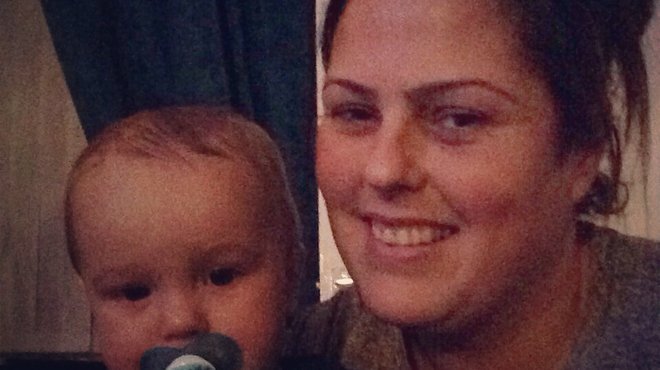 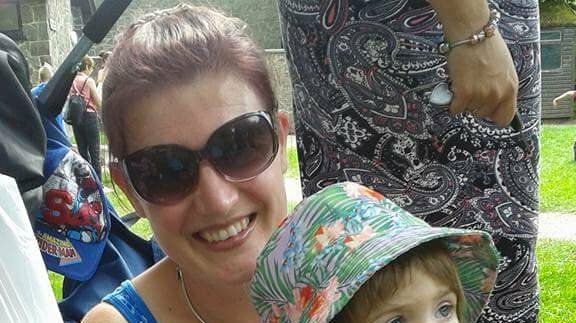 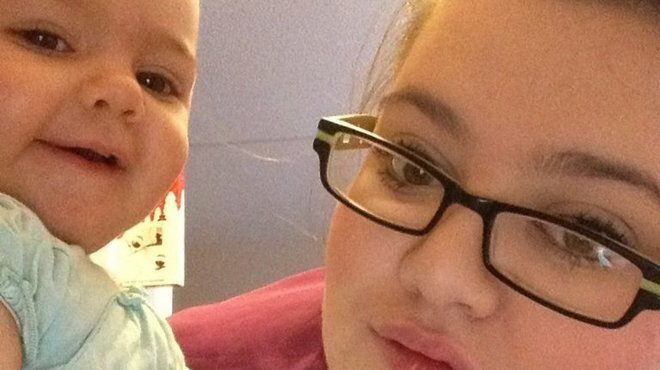 Bryony did not suspect her 2-year-old son Mason had meningitis. 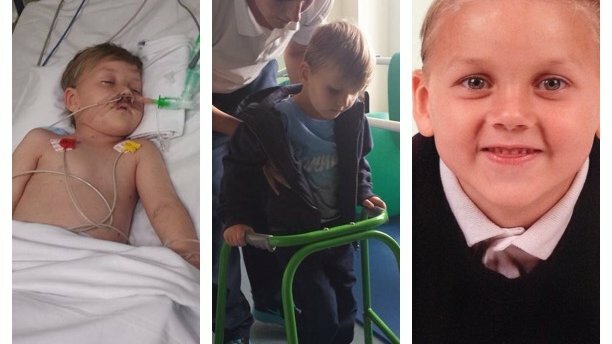 A year on, he still suffers after-effects. 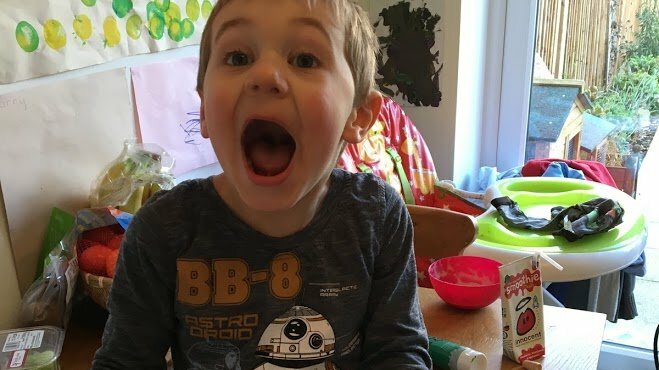 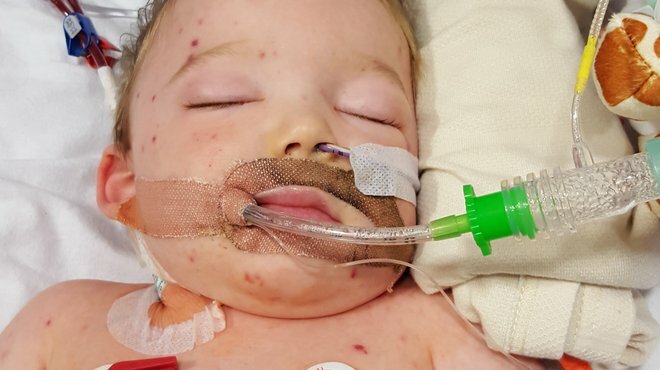 Our world came crashing down – my little boy had ecoli bacterial meningitis and would need a three week course of antibiotics. 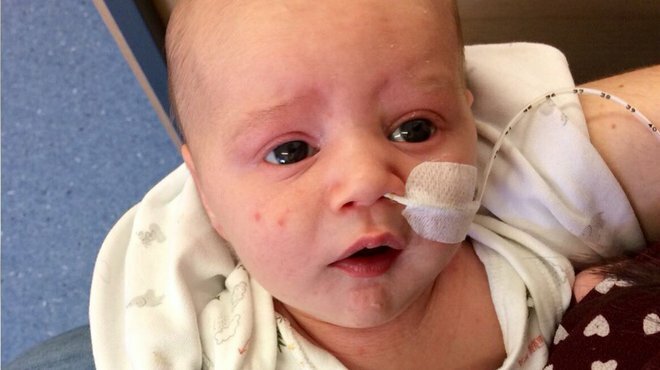 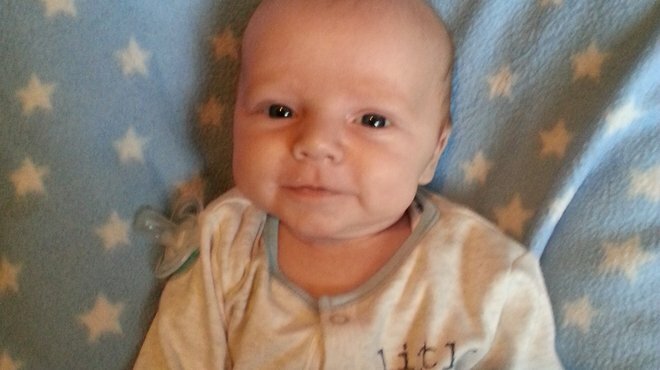 Kathy’s baby son Charlie was just 20 days when he became seriously ill with e-coli meningitis. 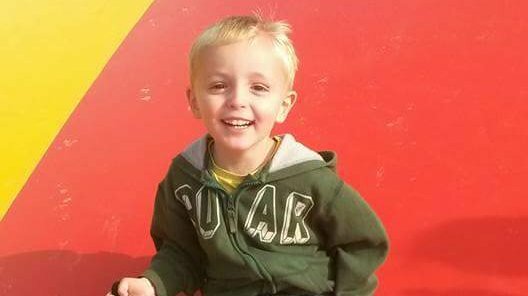 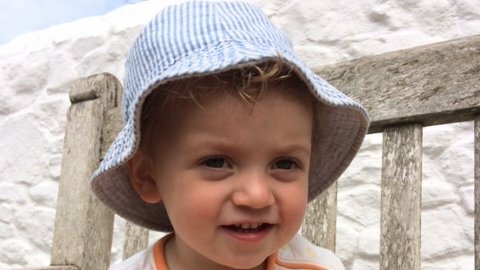 At just three weeks Lewis was diagnosed with late onset Group B strep, mum Louise tells their story here. 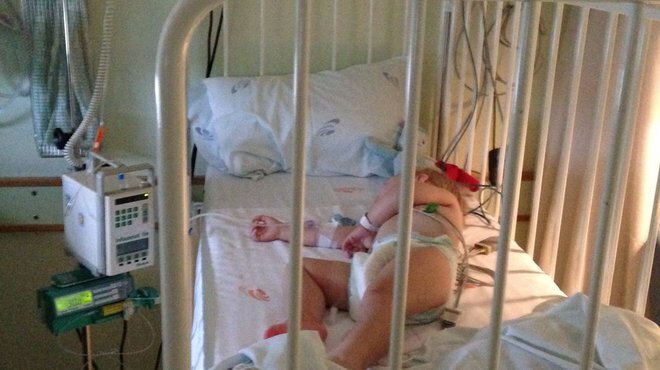 When Anna's daughter Francesca became unsettled with a very high temperature, she knew something was wrong. 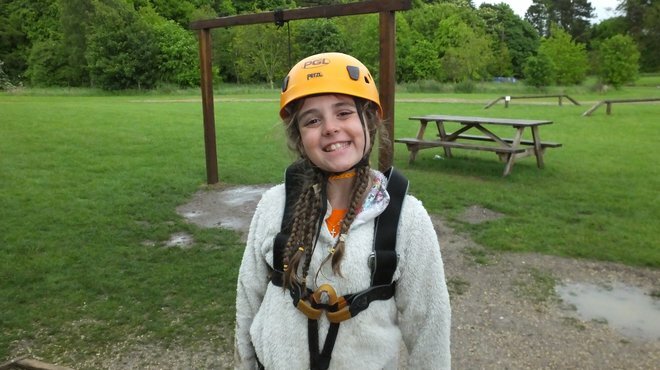 However, meningitis never crossed Anna's mind and the diagnosis was a shock. 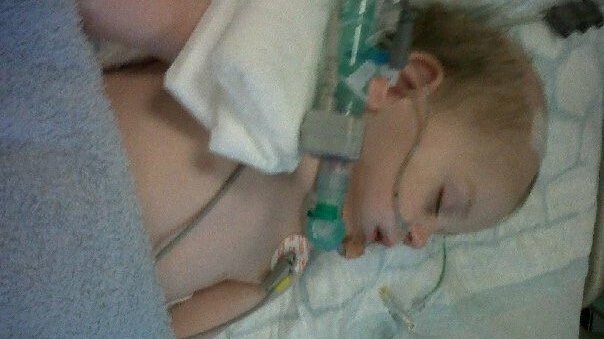 Toby was checked and sent home but then that night pneumococcal meningitis and septicaemia attacked our baby. 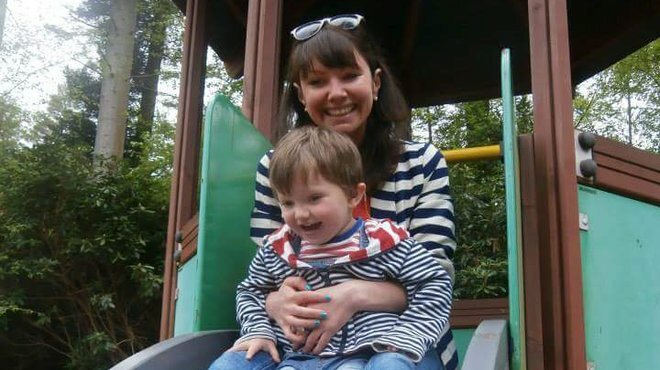 Emma's son Matthew contracted meningitis when he was a baby, and has been left with after effects including learning difficulties. 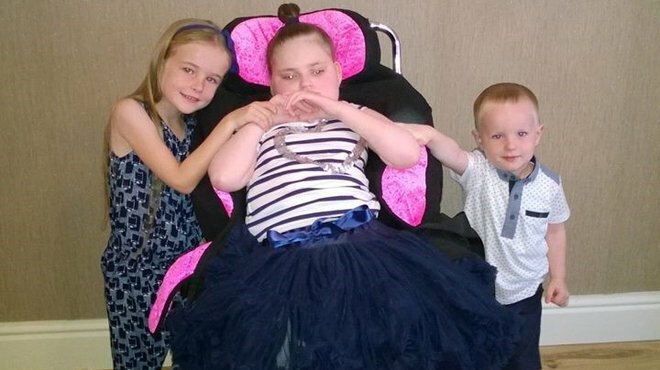 Katrina was rushed to hospital where meningococcal meningitis and septicaemia were diagnosed. 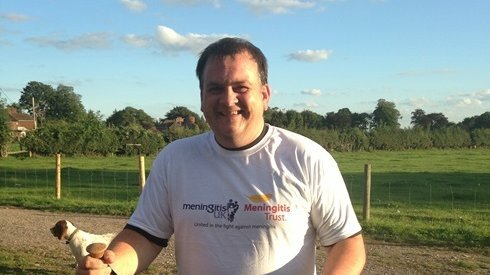 Meningitis laid Dave low two years ago, he’s taking on a professional wrestler to raise funds for Meningitis Now! 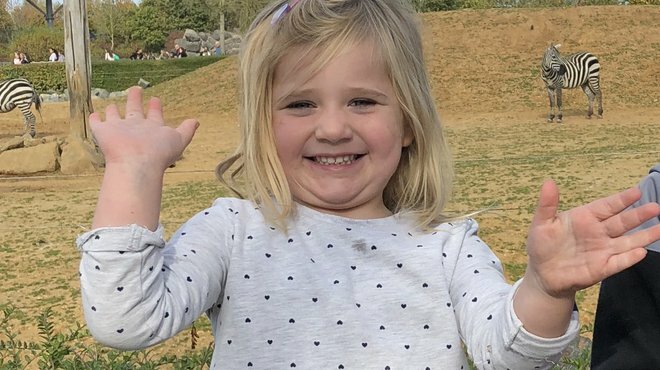 Autumn had seemed her normal self all day, until 9pm when she started screaming. 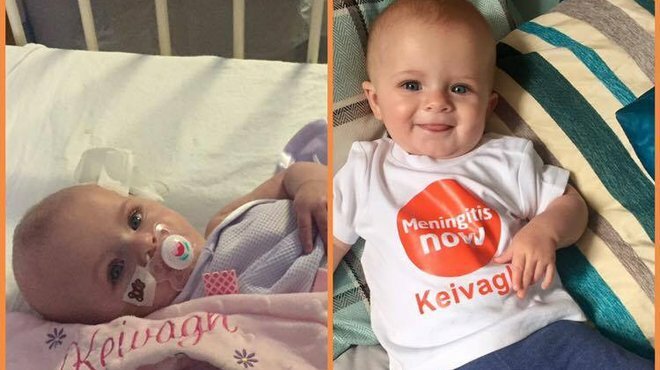 Her mum Gemma shares their story, and emphasises the importance of knowing the signs and symptoms of meningitis. 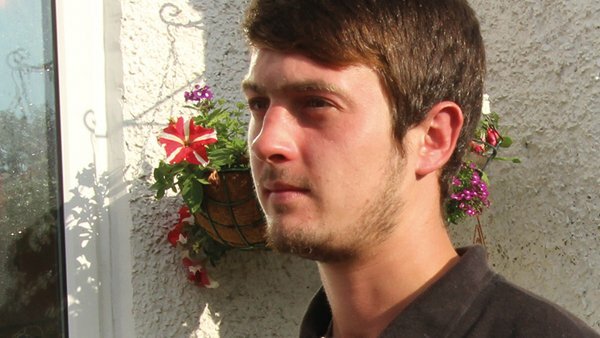 Like many people who survive both the viral and bacterial forms of meningitis, Thomas wasn’t the same afterwards. 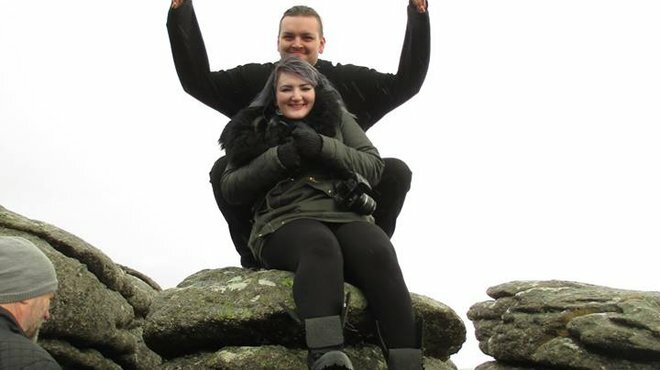 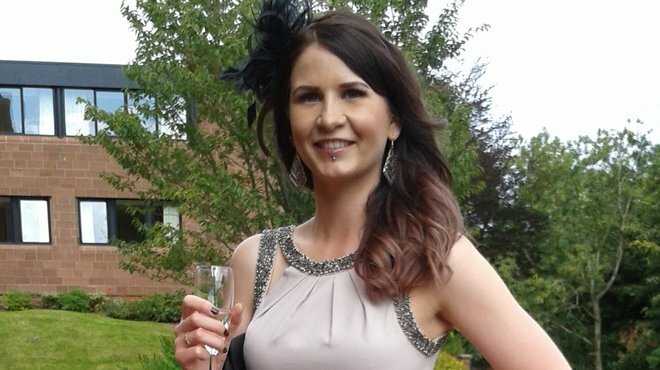 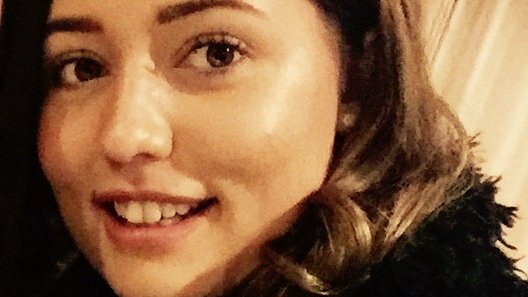 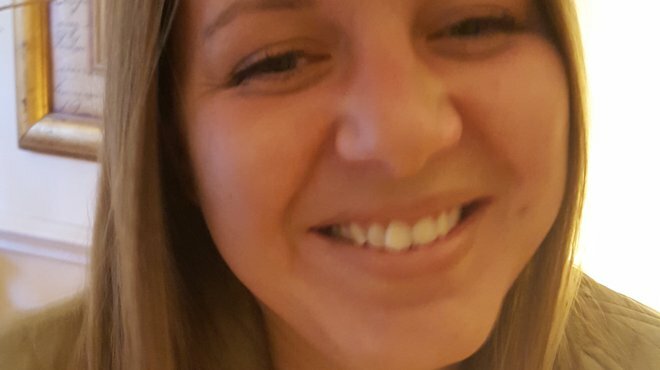 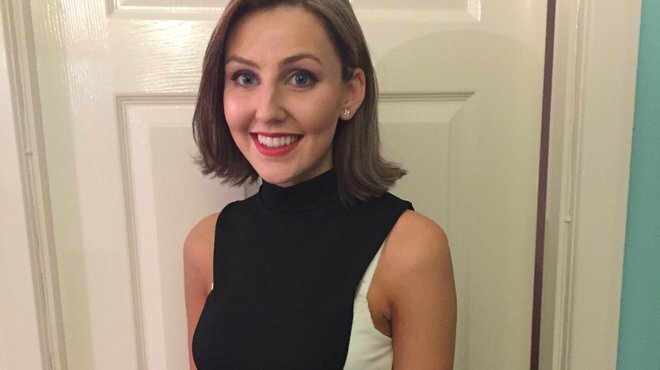 Thirty-year-old flight attendant Victoria, from Ilchester in Somerset, was struck down with viral meningitis last September. 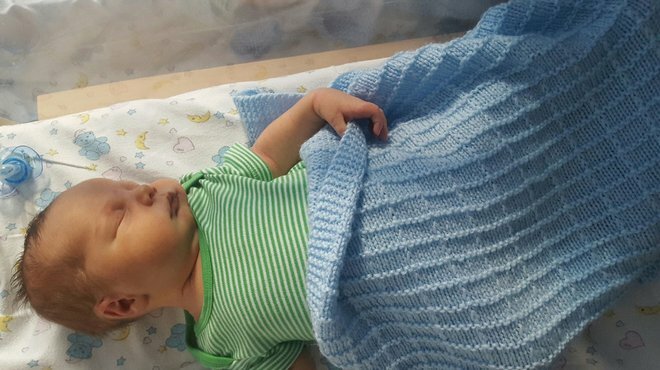 Stephanie’s son Rafe entered the world early, already fighting a severe bacterial infection. 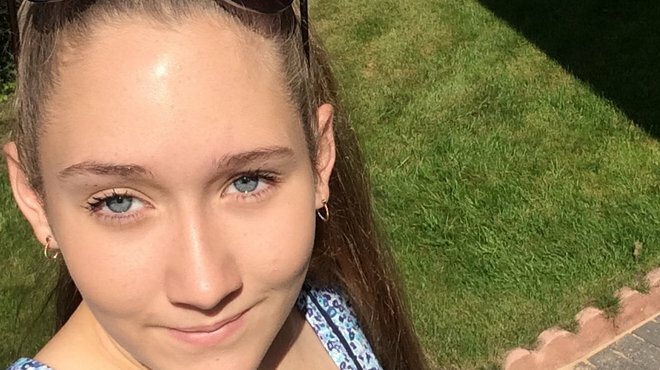 Hannah was 15 and on a school trip when she started to feel ill with a headache. 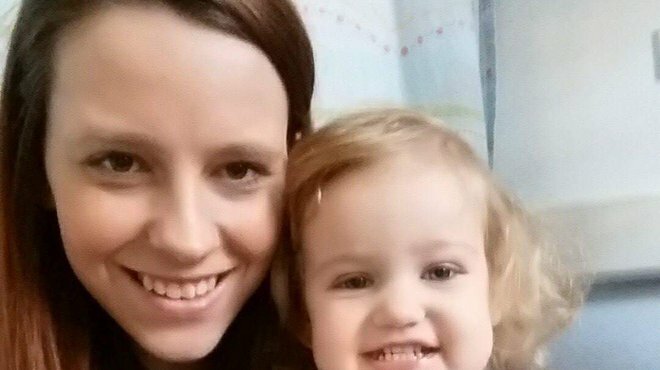 Doctors initially thought she had a 'bad case of flu', but luckily one doctor disagreed, and suspected meningitis. 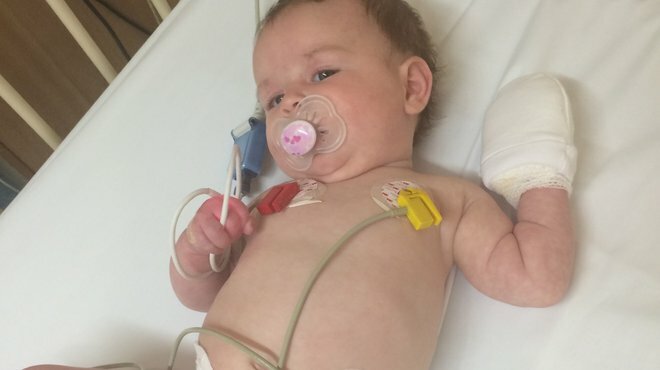 A lumbar puncture confirmed meningitis and, for a while, her family thought they were going to lose her. 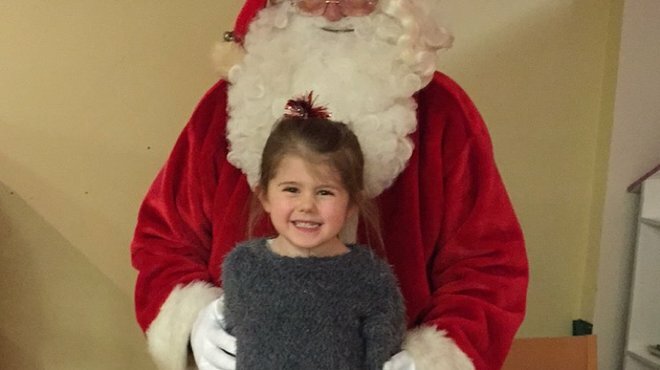 She felt so too. 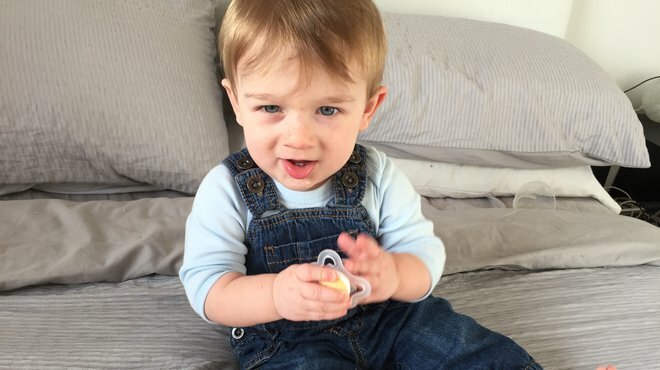 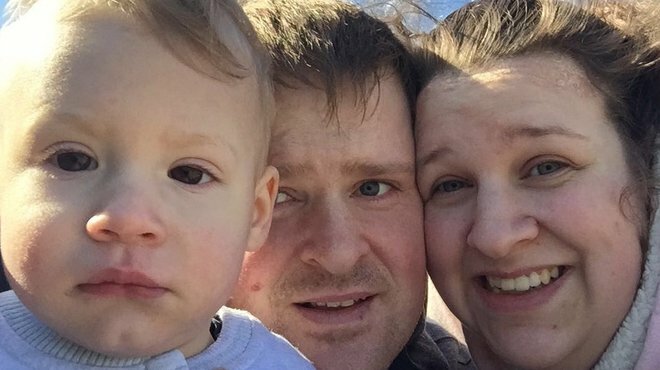 Like many toddlers, 3-year-old Noah had what his parents thought was a tummy bug. 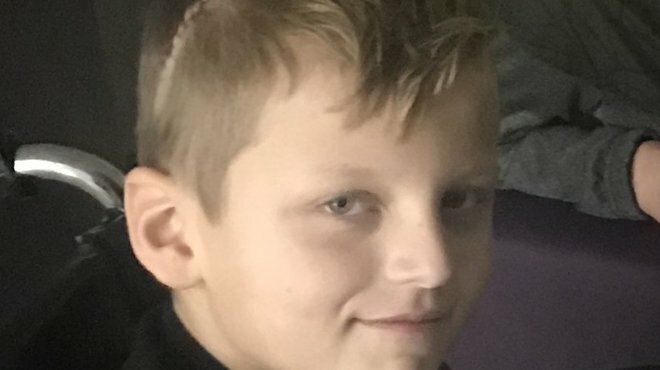 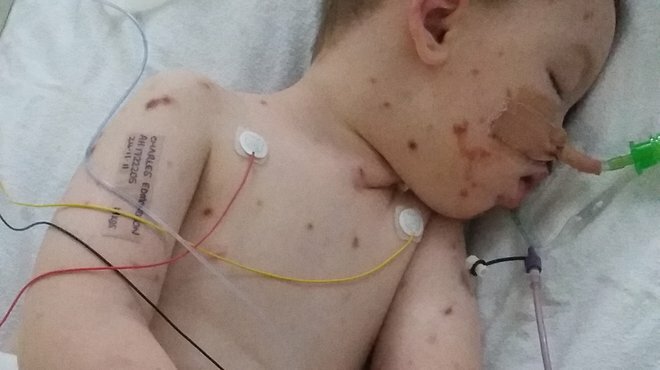 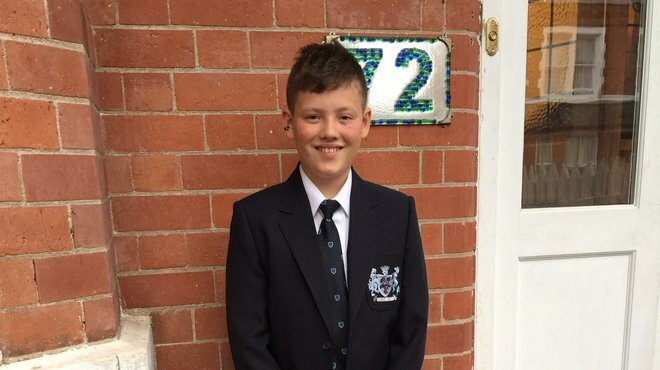 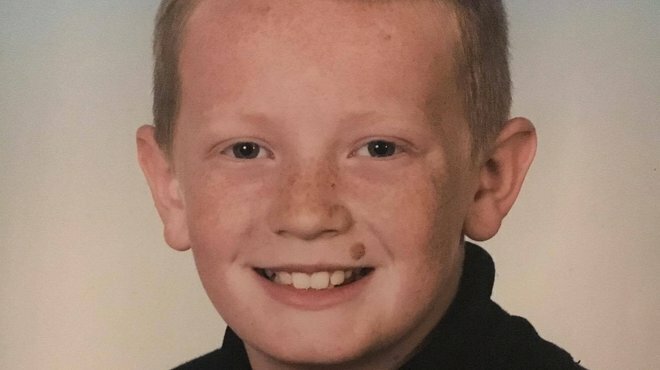 He became increasingly worse, until his eagle eyed Dad spotted an unusual mark under his armpit and fearing meningitis, rushed him to hospital. 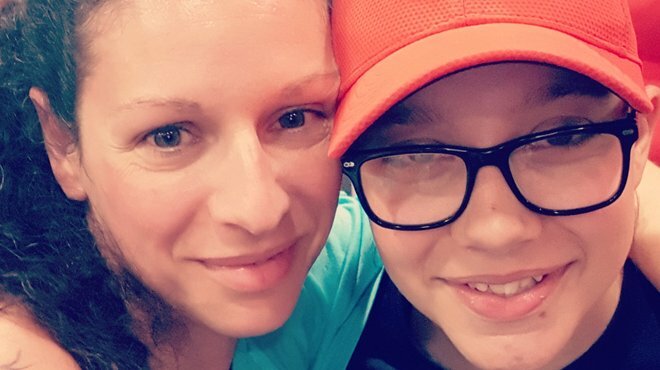 By her own admission young mum Kaytee didn't know much about meningitis, so when her son Ari became unwell she didn't think it could be the potentially life threatening disease. 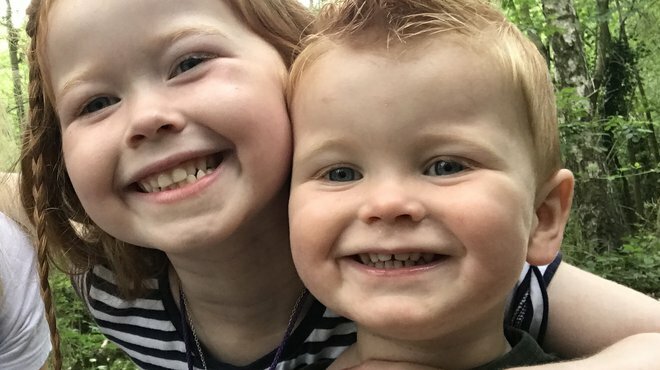 Kaytee shares their experience, urging other parents not to wait for a rash. 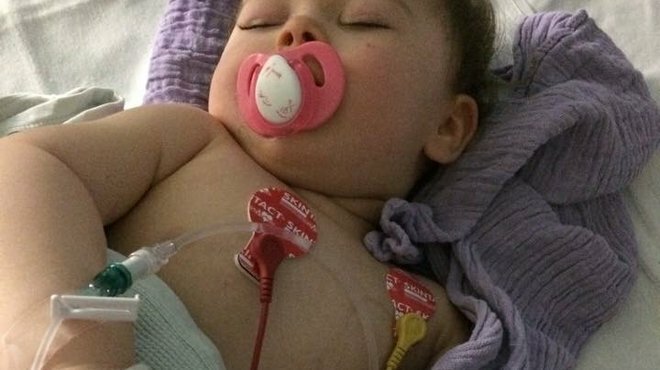 Julia’s young daughter Isabelle was vomiting and had a temperature. 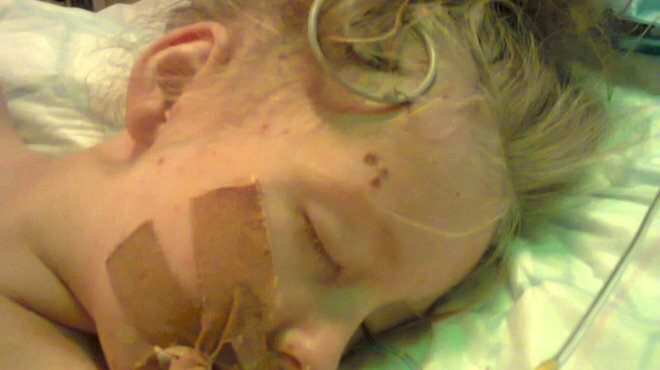 She also had a faint rash. 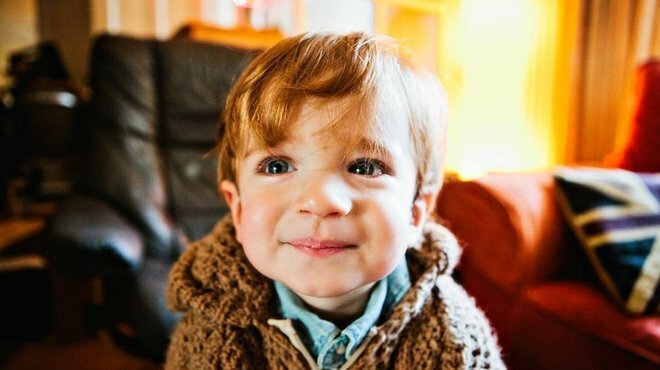 Jude was born premature with many health problems, and contracted meningitis when he was at his most vulnerable. 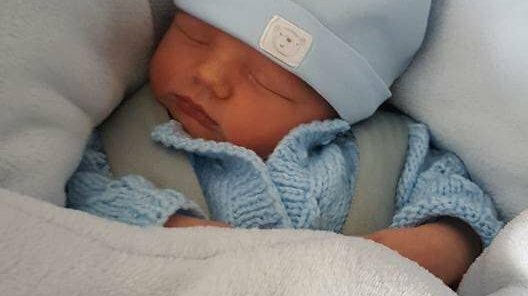 His mum Laura describes how they coped in those first few weeks. 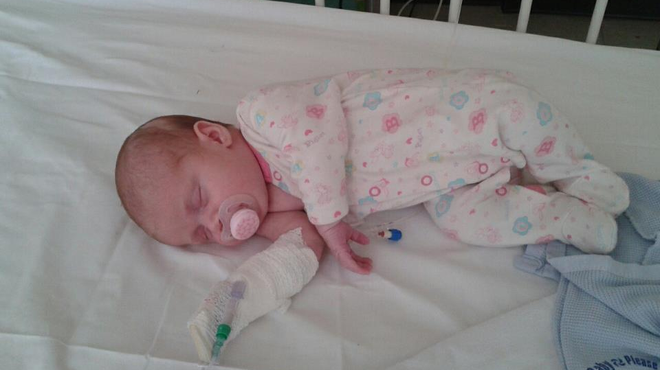 Maxine’s six-month-old daughter Minnie-Rose cried when she was held and wouldn’t eat or drink. 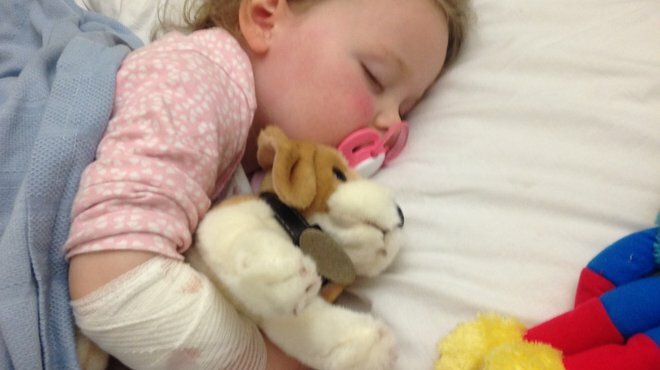 Because she was in physical pain Maxine took her to hospital, where they noticed purple spots on her legs. 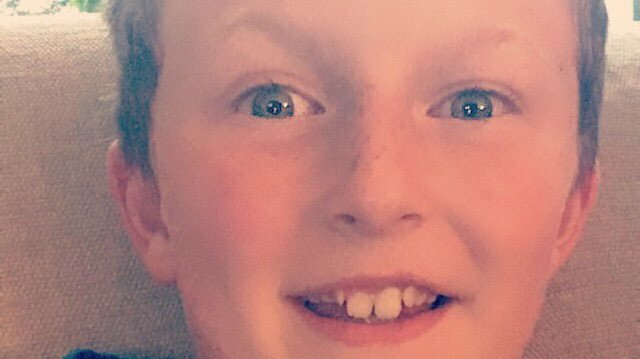 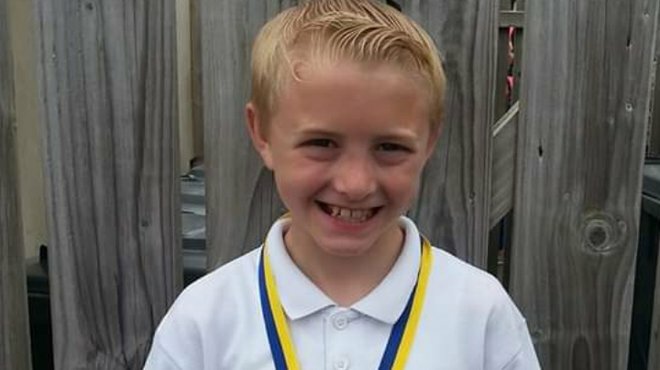 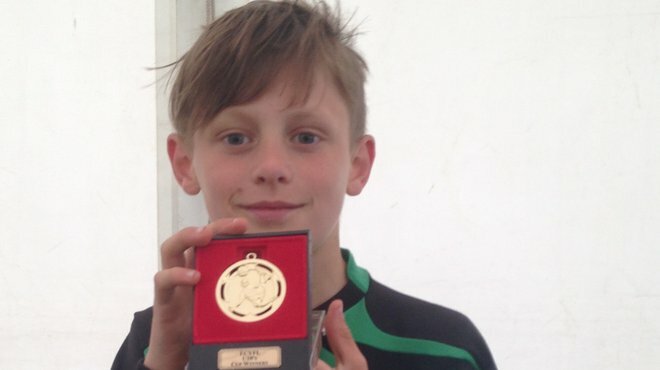 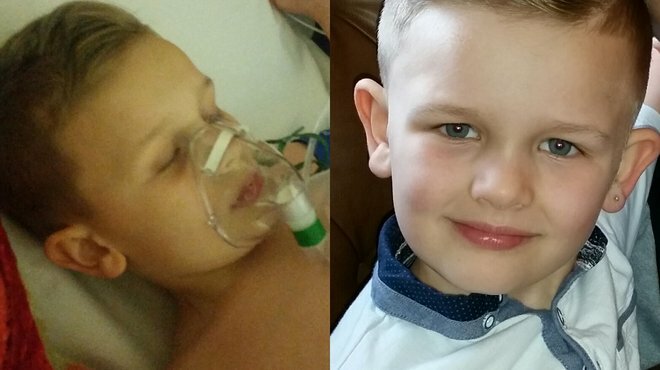 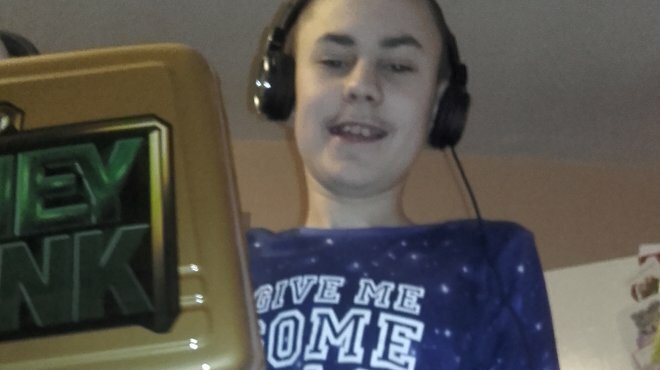 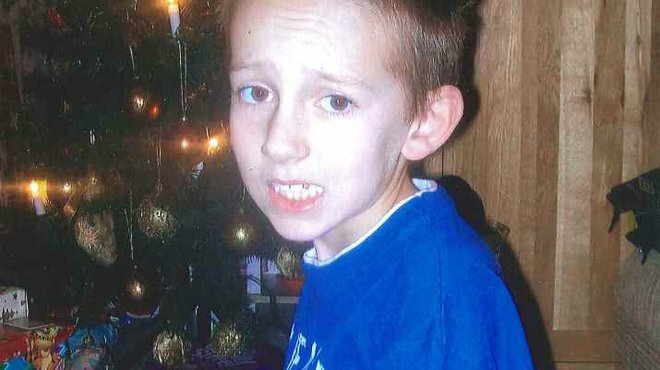 Nathan, from Swansea, was 11 when he fell ill during a visit to his uncle’s. 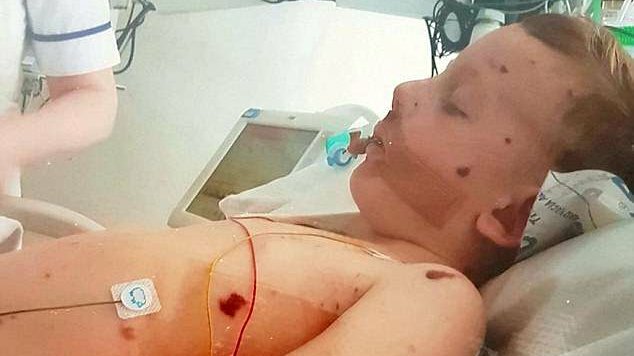 He’d contracted meningitis and shortly afterwards was rushed to his hospital, where his mum was told to prepare for the worst. 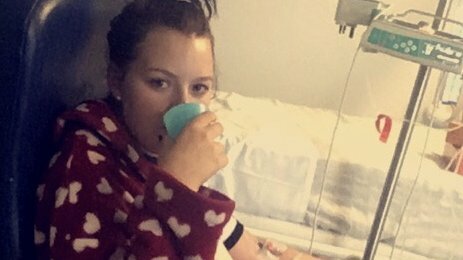 Dance student Jessie has been struck down by viral meningitis twice since first contracting it in April 2015. 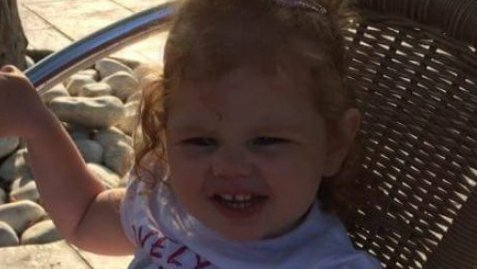 She has been told she has Mollaret’s Meningitis, a recurring form of the disease, and lives under the shadow of it returning. 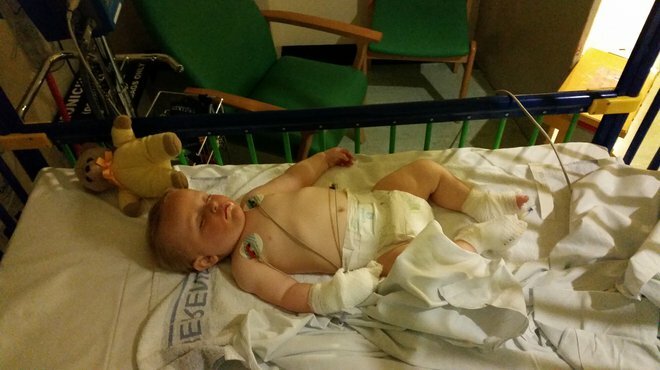 One-year-old George, from Epping in Essex, became ill soon after Christmas during a family break in Brighton. 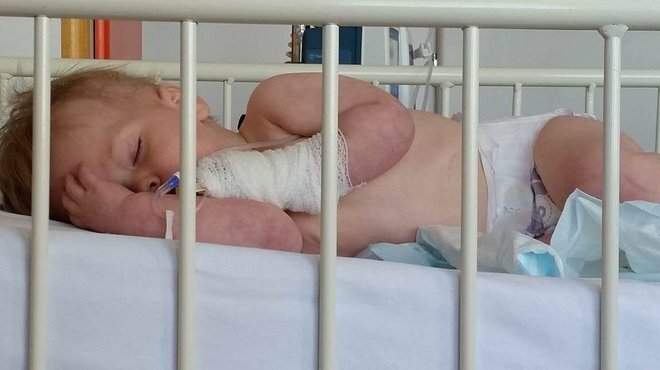 There was no rash but mum Carly trusted her mother’s instinct and rushed him to hospital. 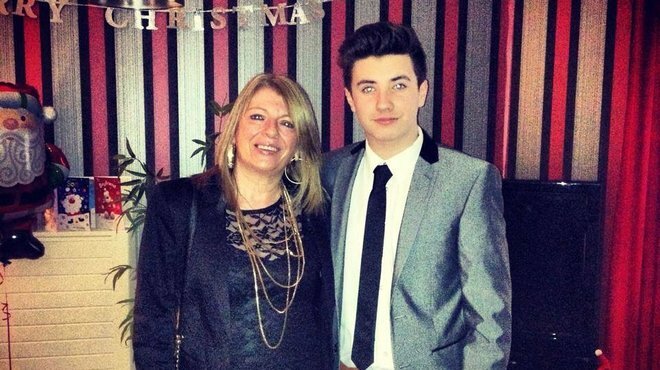 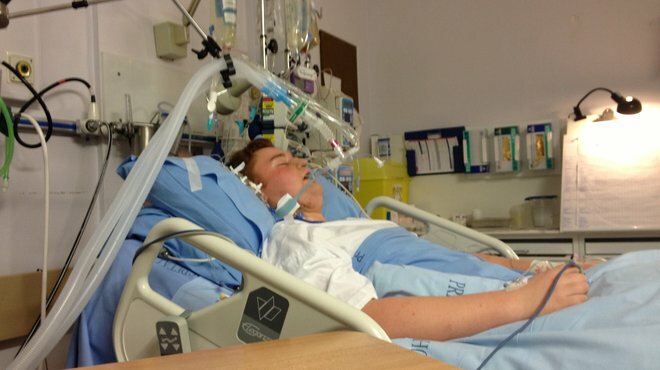 Nineteen-year-old Kieran, from Glasgow, fell ill with bacterial meningitis seven years ago. 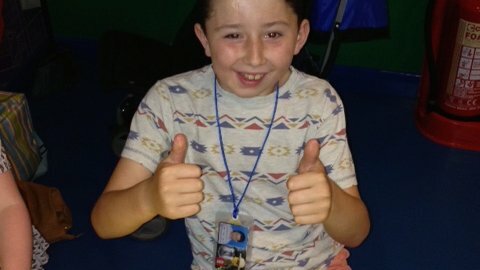 Extensive physio helped his recovery but his confidence had taken a knock and he suffered anxiety about returning to school. 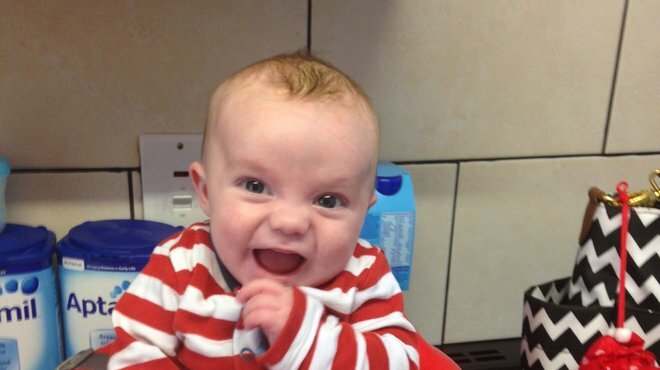 Three-week-old Andy from Kettlebridge in Fife wouldn't feed, was screaming and running a temperature. 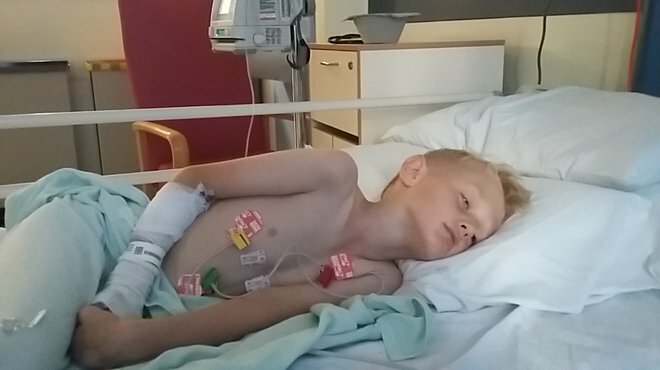 It was a bank holiday so his anxious mum, Linsey, was advised to take him straight to hospital. 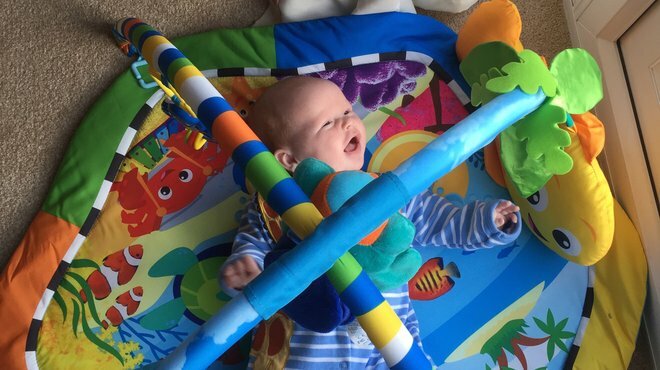 Gwen’s young son Charlie was full of energy and excitement from his birthday party but went downhill quickly. 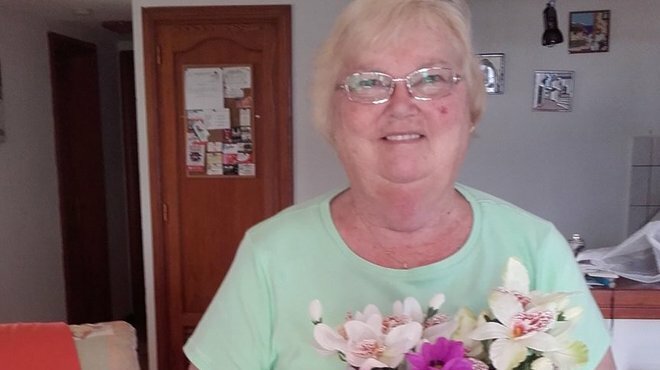 Fortunately Gwen, from Montrose, trusted her instincts and called an ambulance. 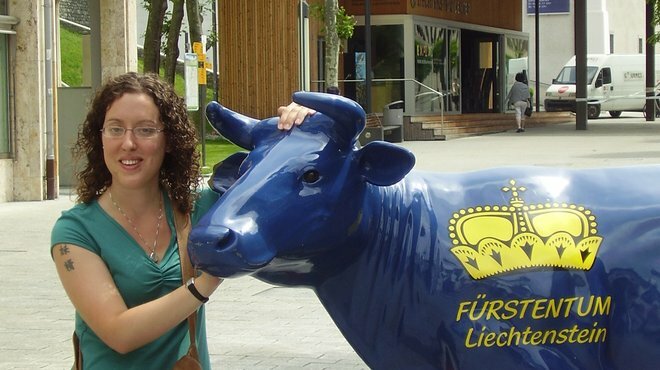 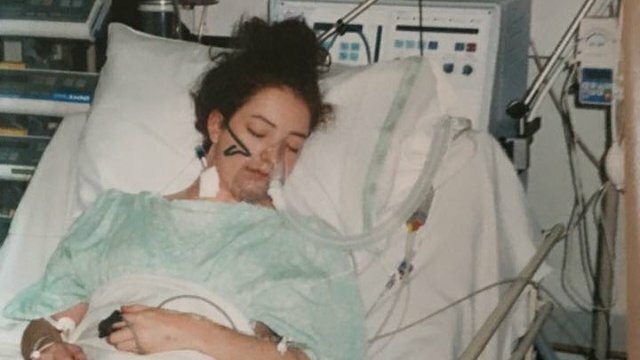 Thirty-year-old Amy, from Seddons Farm in Lancashire, fell ill with meningitis in summer 1992. 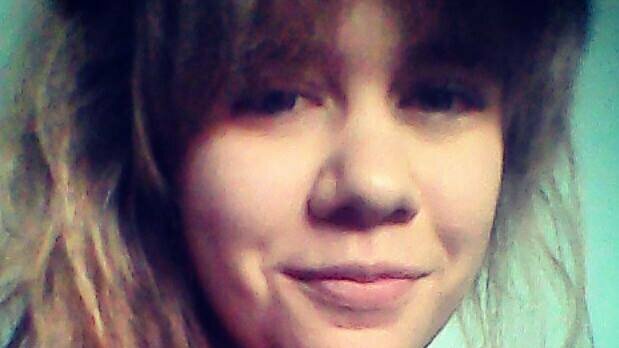 She remembers having a headache, stiff neck and being delirious but not much else. 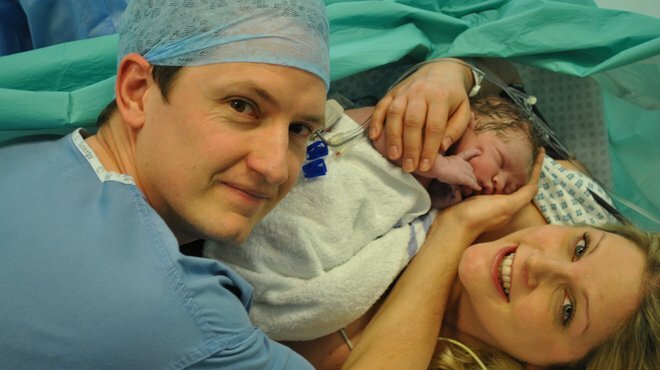 Bernadette was booked in for an elective c-section and her son Elijah arrived safe and well. 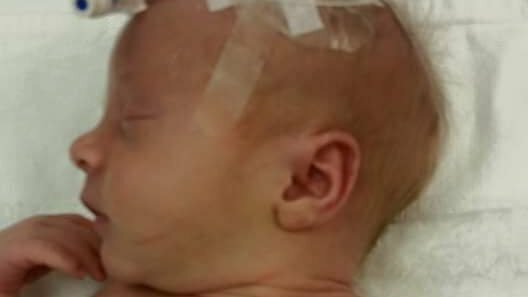 But at the same time she became ill with a rare form of meningitis and has little recollection of his birth and the preceding weeks. 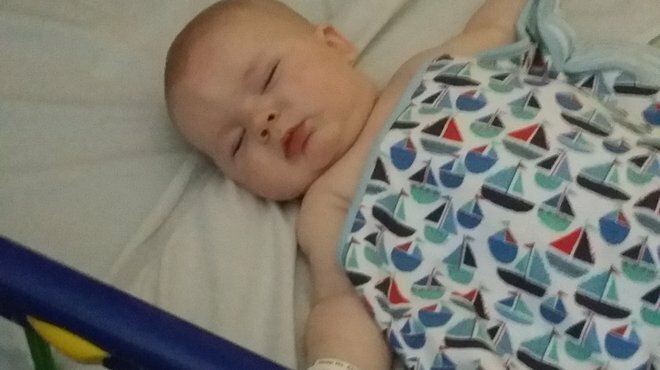 Gemma’s son Ben, from Milton Keynes, complained of feeling ill and a tummy ache and throughout the night was sick. 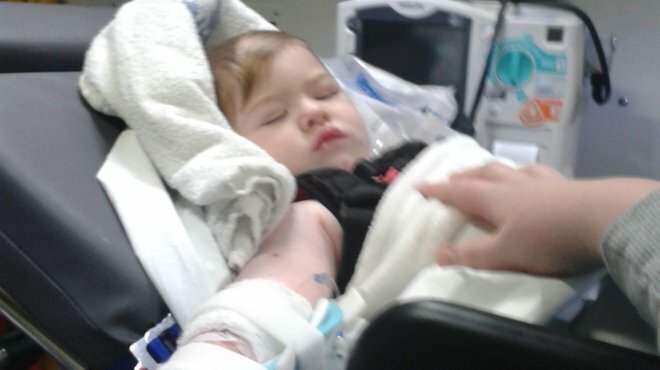 The next morning he went downhill quickly, but an alert doctor suspected meningitis and started treating him. 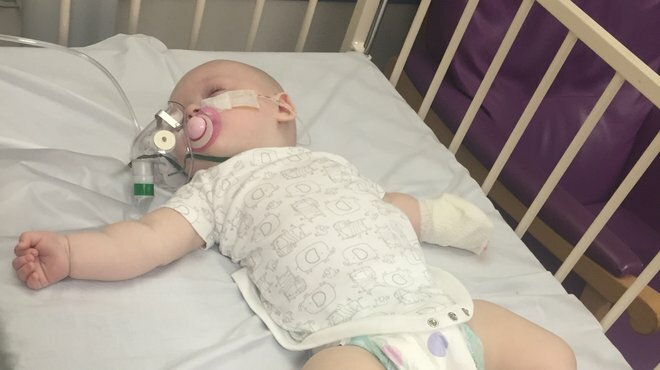 Initially diagnosed as a viral infection at no point did Olivia develop a rash, but a lumbar puncture confirmed her meningococcal meningitis. 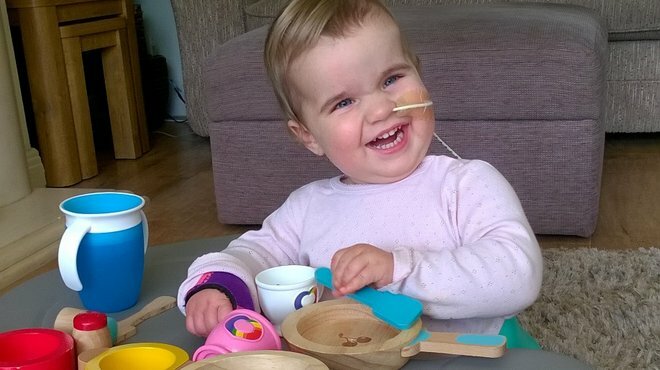 Despite after-effects she’s made a strong recovery, as mum Emma recounts. 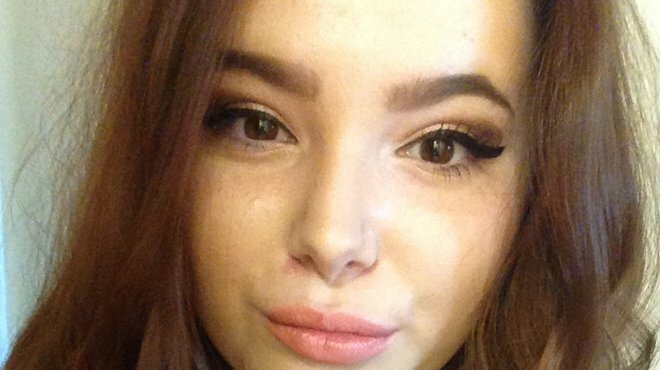 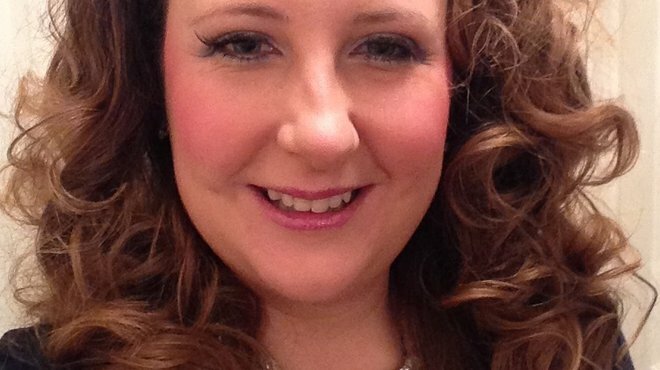 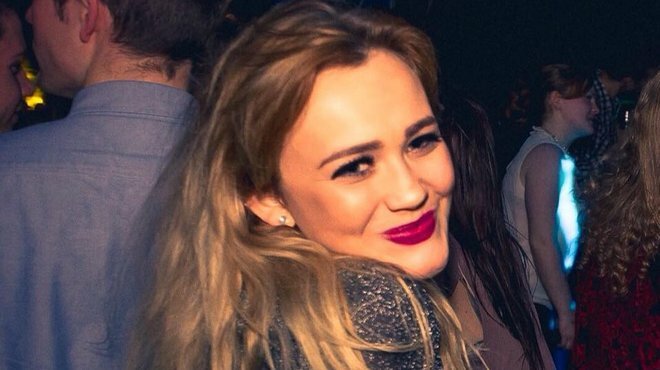 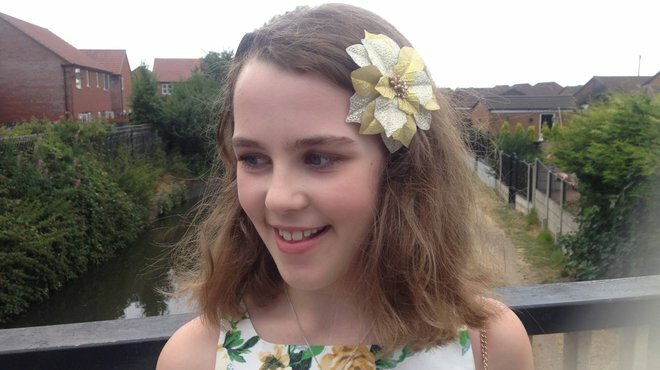 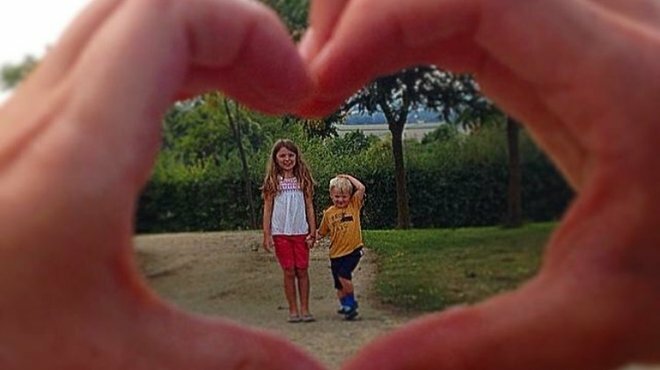 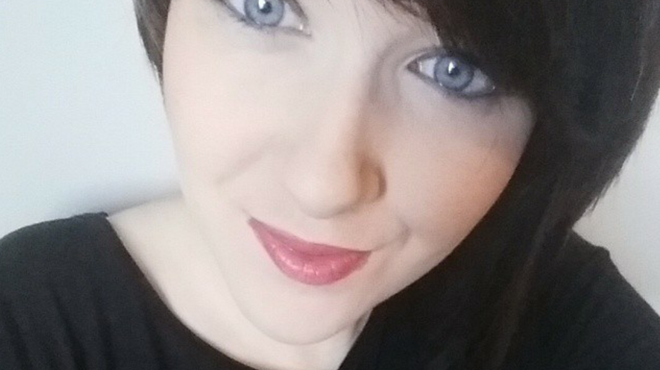 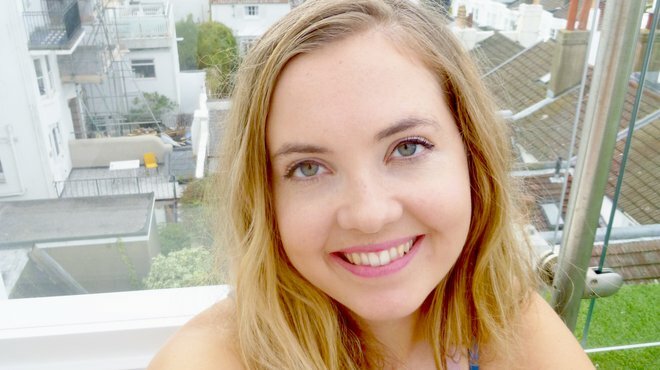 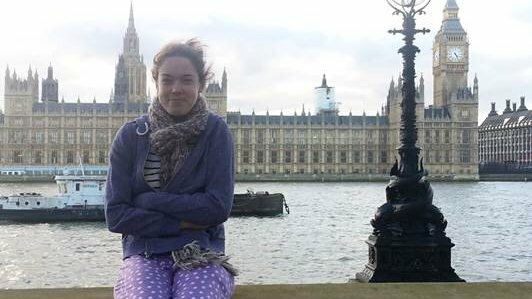 Meningitis left Lucy with an acquired brain injury, completely wiping her memory. 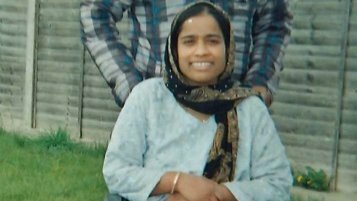 She was unable to remember her name or anything about herself, how to speak, eat or dress. 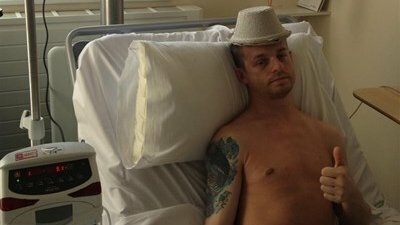 Myrian, 42, from London, felt ‘not quite right’ for a while before suddenly being struck with the most intense headache. 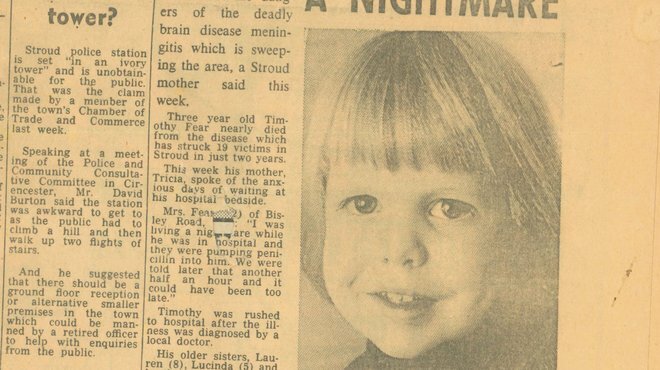 She’d contracted viral meningitis and following what was, at times, a dark and frightening experience. 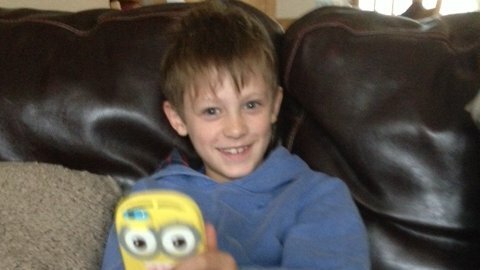 Jay developed a high temperature after a morning out. 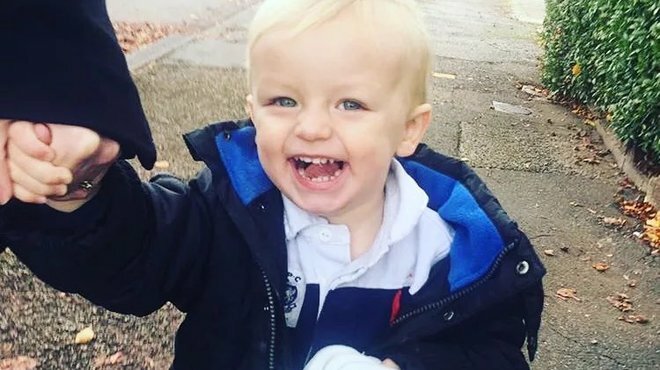 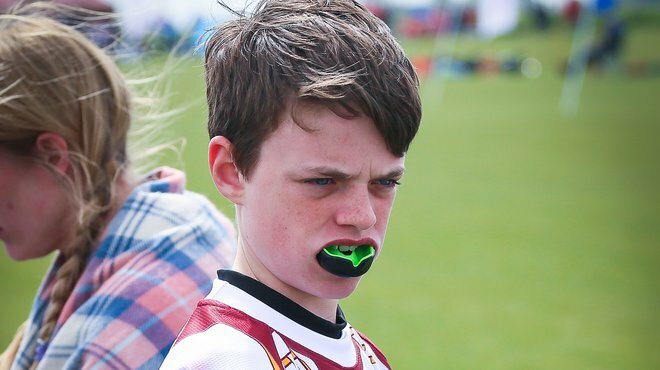 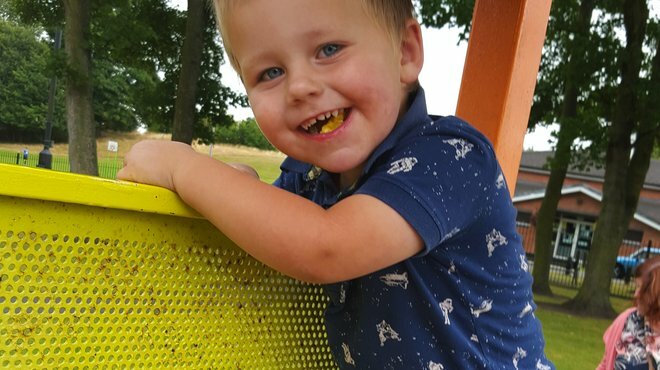 But when mum Louise, from York, saw two bruise-like marks on his torso later that day and did the glass test, suspecting meningitis, she knew it was time to rush to A&E. 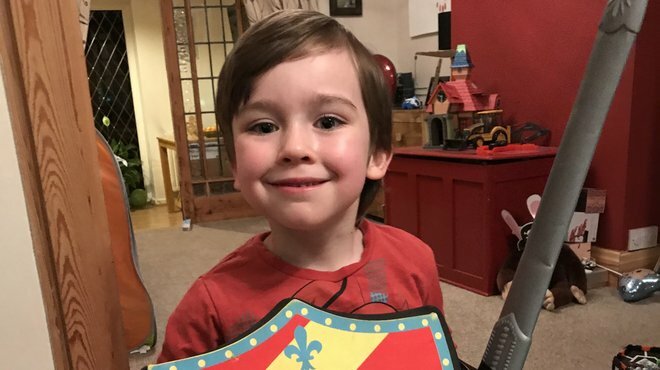 A chance visit to the pharmacist alerted Ben’s mum Rhoda, from Wrexham, to the possibility her 2-year-old son had meningitis, when she picked up one of our signs and symptoms cards there. 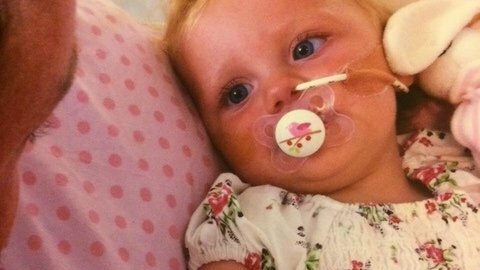 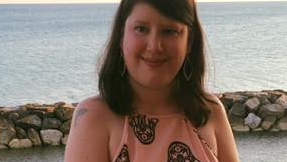 Olivia had a rare type of meningitis and they could no longer help her at that hospital but needed a professional who dealt with these cases. 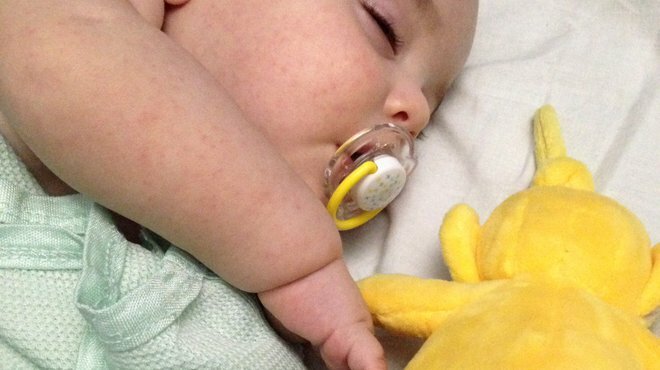 I would urge all parents to be mindful of the symptoms of meningitis and be assertive. 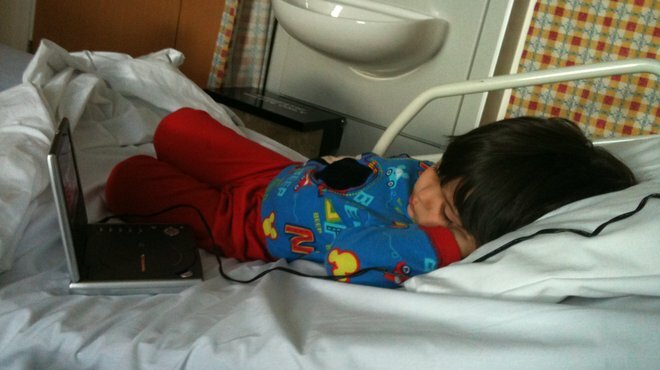 I can never forgive myself for not pushing, and being the ‘good patient’ when I knew my son was desperately ill. 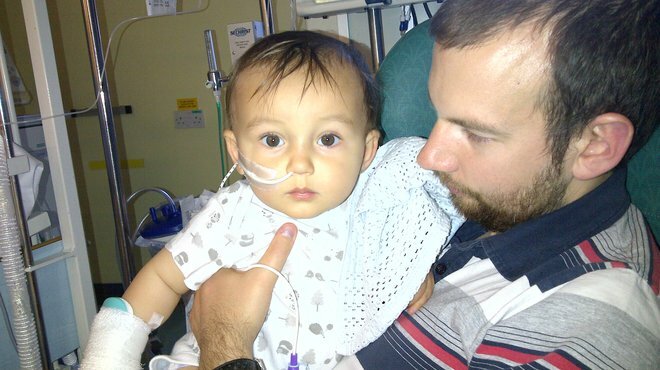 In June 2013, six-month-old Jude spent week in intensive care after he contracted meningococcal septicaemia. 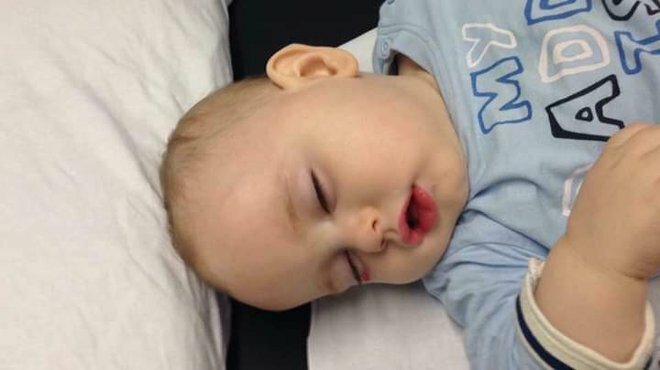 Paula’s baby son Oliver developed E Coli bacterial meningitis, which left him with many after-effects. 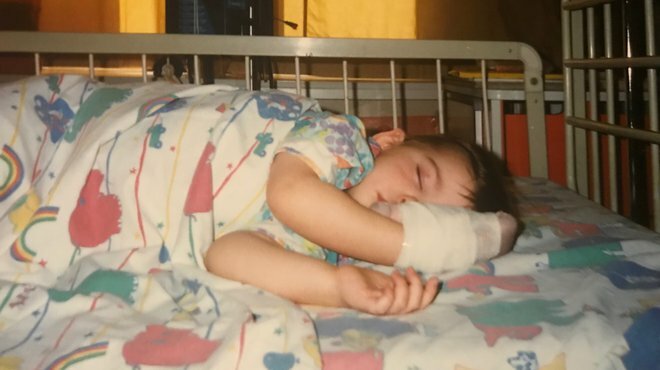 But, 17 years later, the Bristol youngster is proving doctors wrong and is an inspiration to his family. 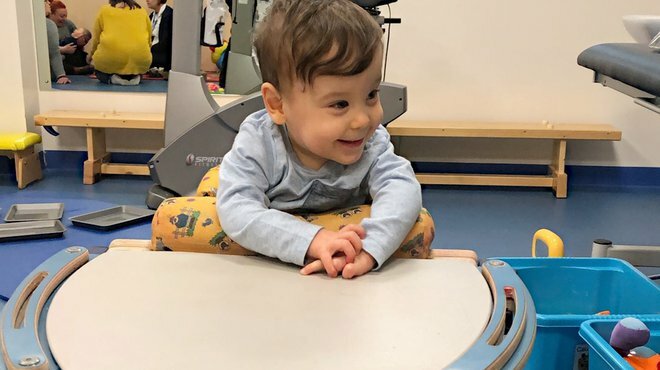 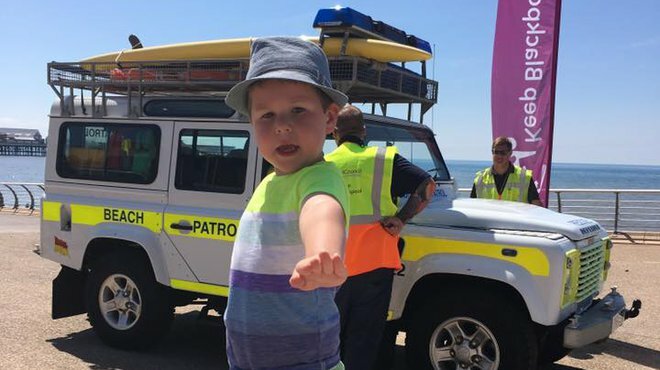 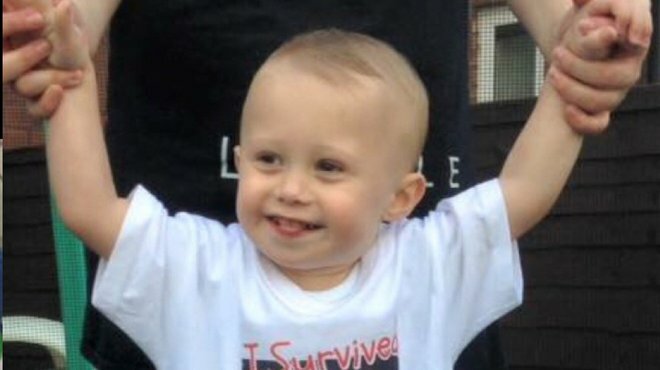 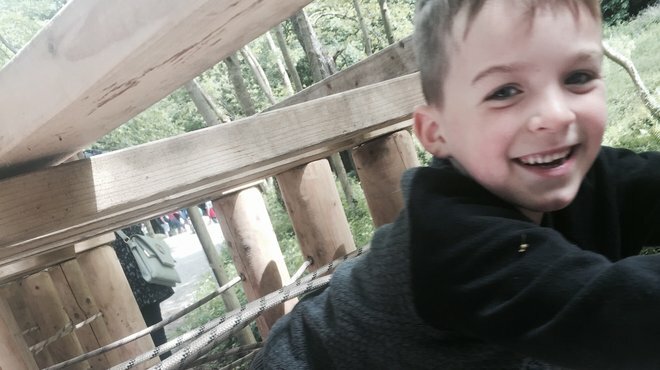 Jacob became ill with meningitis at just three months, but the plucky youngster has bounced back, earning the nickname Mr Muscle from the nurses who have treated him since. 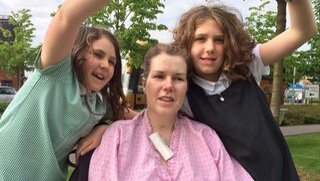 Alison and Simon’s son John, from Sheffield, became limp, floppy and unresponsive in November 2015. 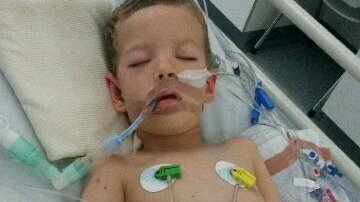 He was rushed straight to hospital where he was diagnosed with Group B strep. 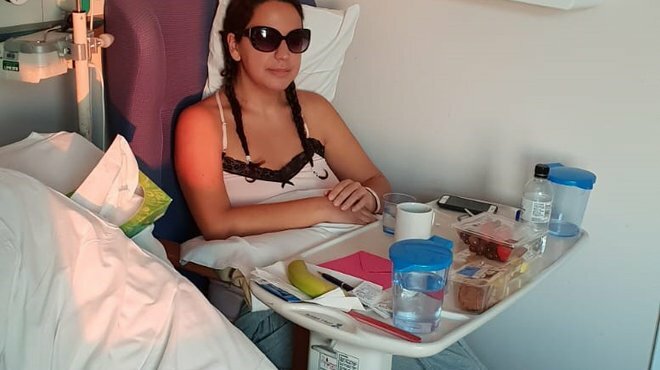 Twenty-year-old Karina, from London contracted bacterial meningitis in October this year, suffering from severe headaches and high fevers. 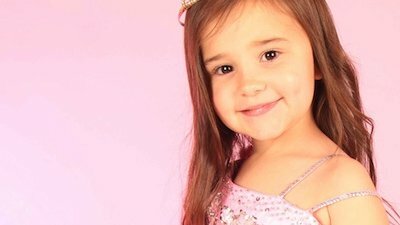 She was initially diagnosed with a viral infection and is still recovering from the after-effects of her illness. 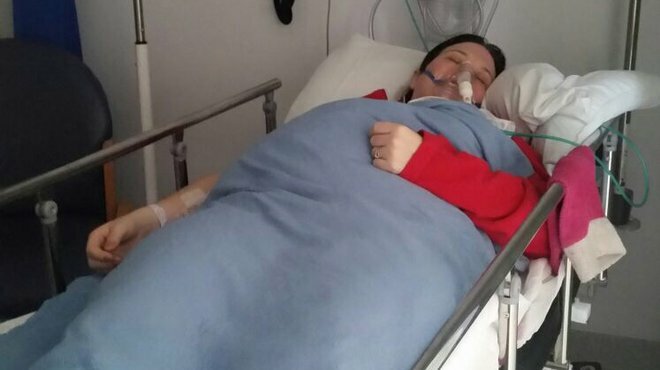 Thirty-six-year-old Tracy, from Tipton in the West Midlands, collapsed with viral meningitis in January 2015. 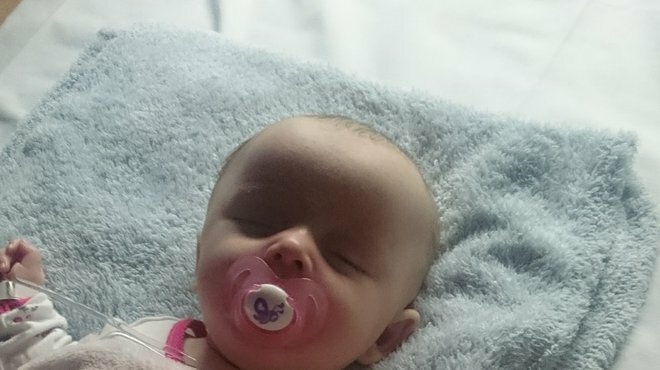 Now, 12 months on, she is still battling to come to terms with the impact it is having. 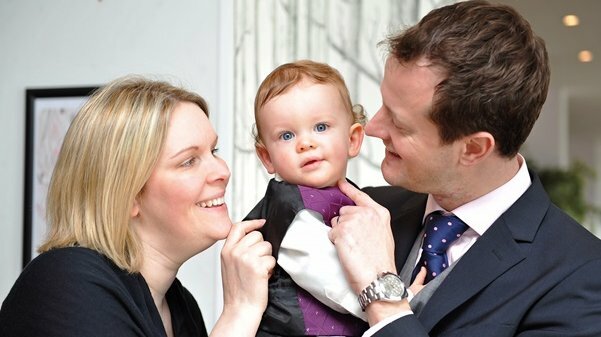 Muriel’s baby son Angus, from Dunfermline in Fife, developed a horrible cry and wouldn’t settle. 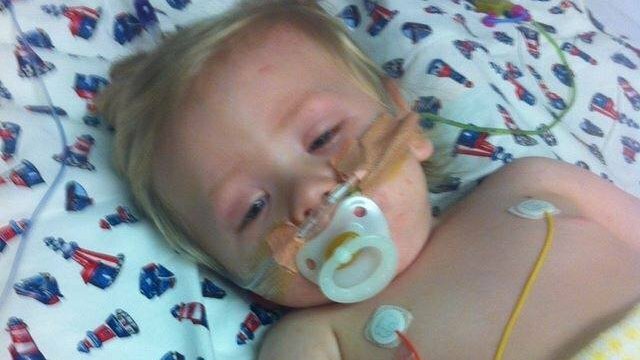 He had developed Group B Strep and was put on a cocktail of antibiotics. 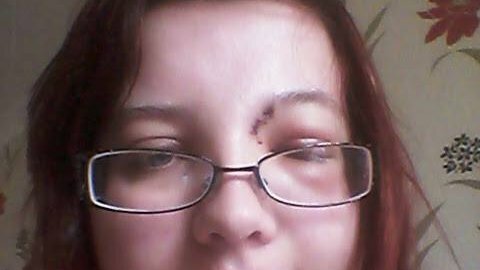 Muriel recounts their experience. 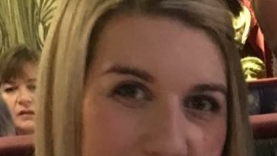 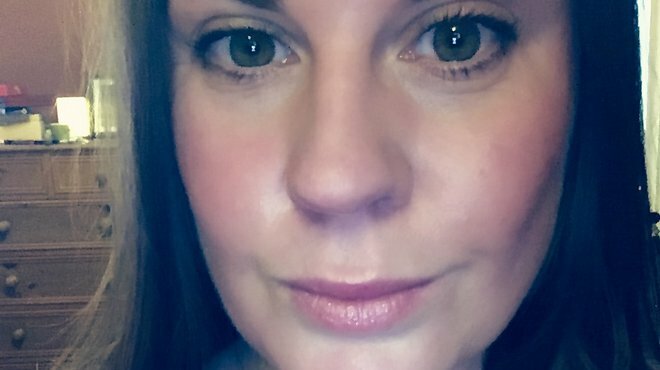 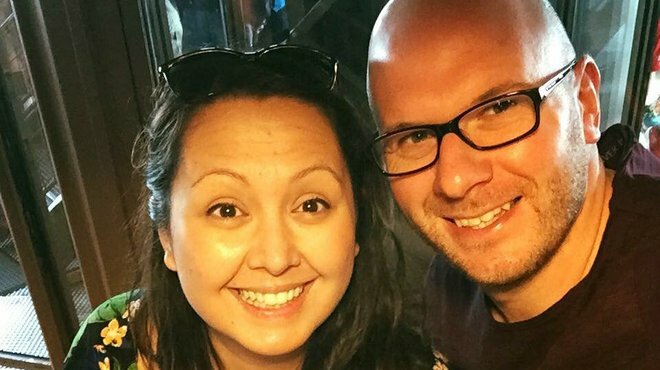 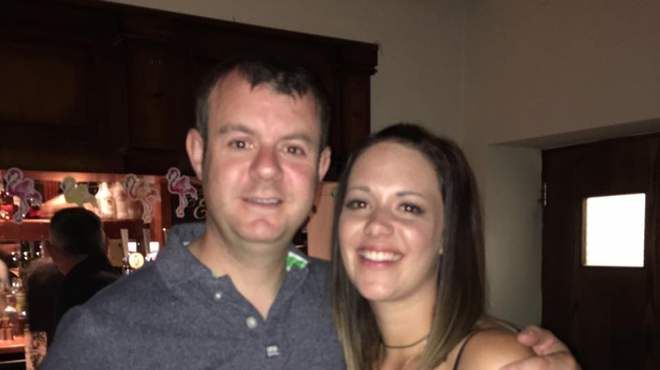 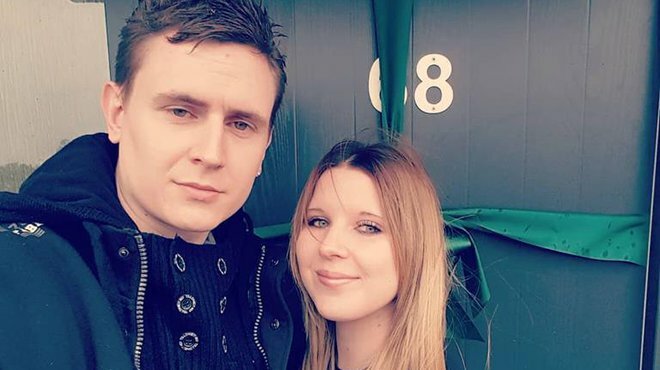 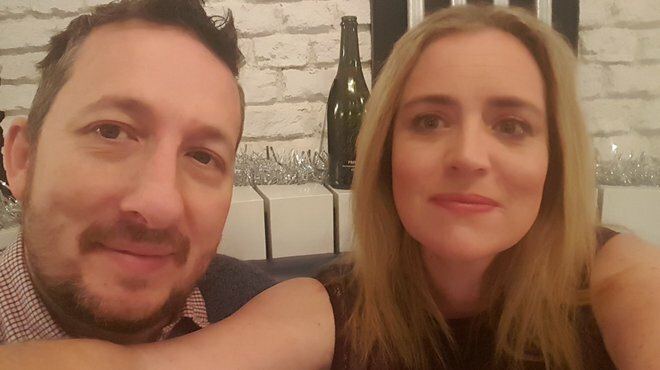 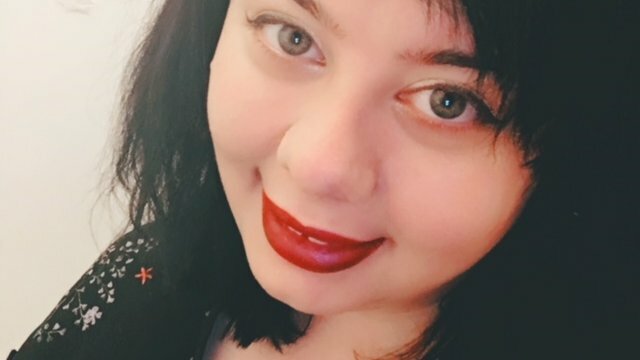 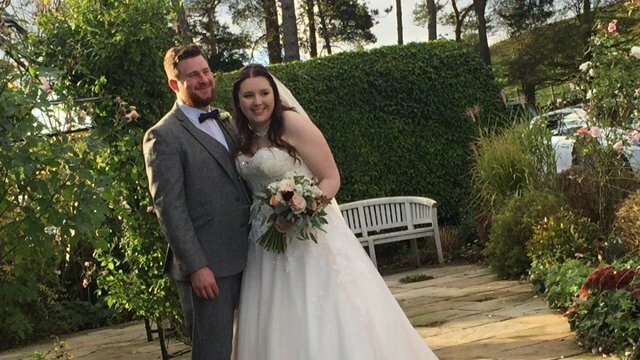 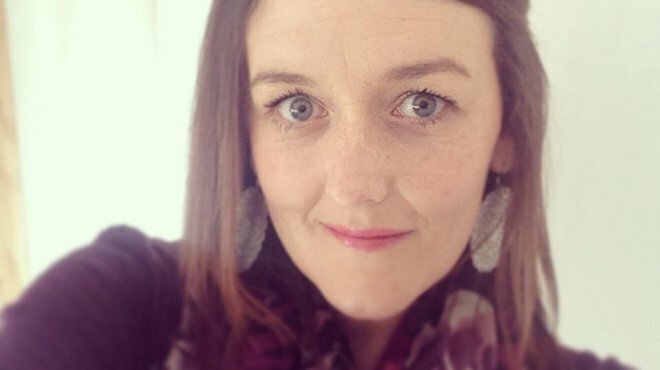 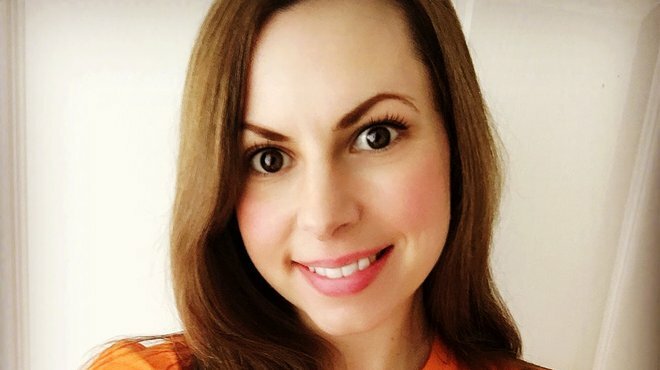 Thirty-five-year-old Lyndsay, from Selby in North Yorkshire, had no idea that adults could get meningitis, until she contracted the disease herself. 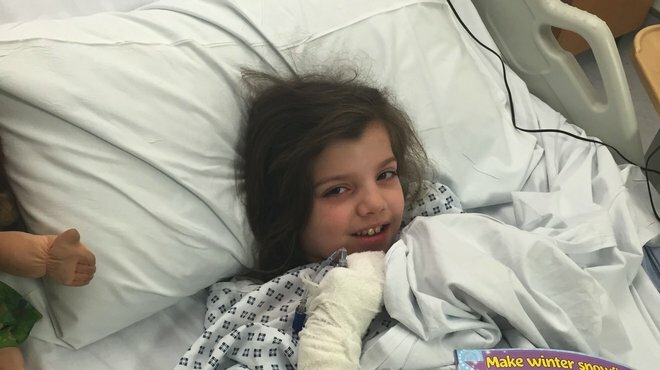 Fortunately she has made a good recovery. 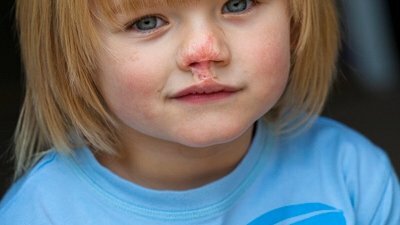 When she took him to the local walk-in centre she noticed a pinprick rash developing in front of her eyes. 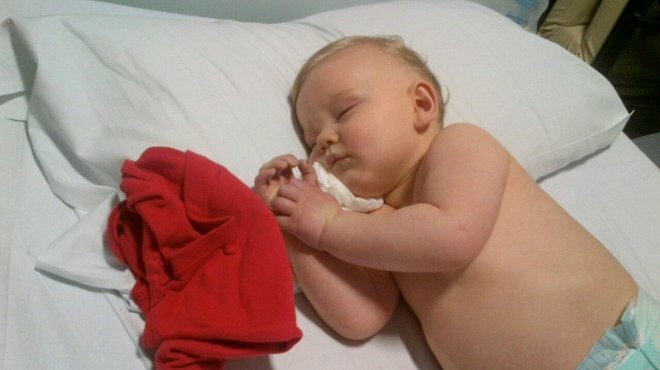 Thankfully her action meant Jack received prompt treatment and he has recovered well from bacterial meningitis. 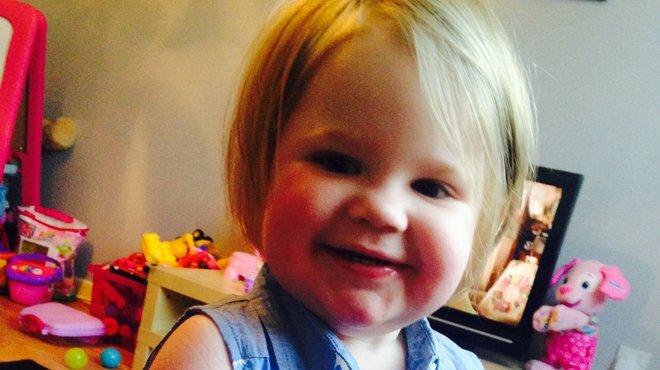 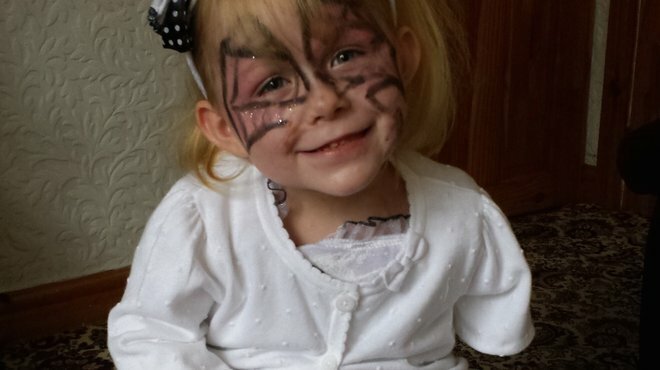 Laura’s daughter Rubyann, from Stalybridge in Greater Manchester, contracted meningitis is July 2011 as a baby. 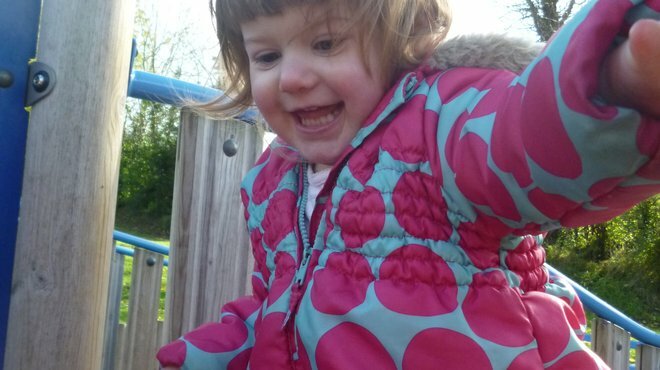 But she’s a fighter and is now a healthy, intelligent, fun loving four-year-old. 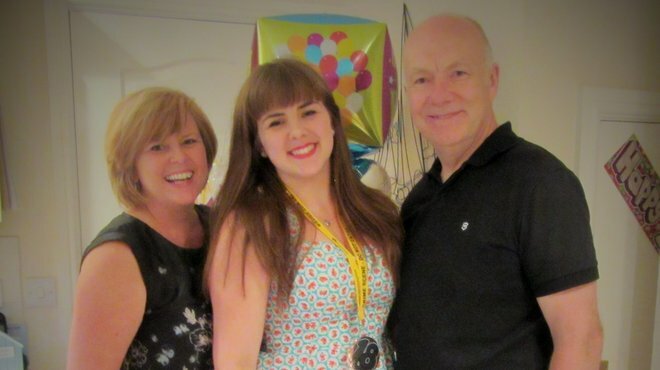 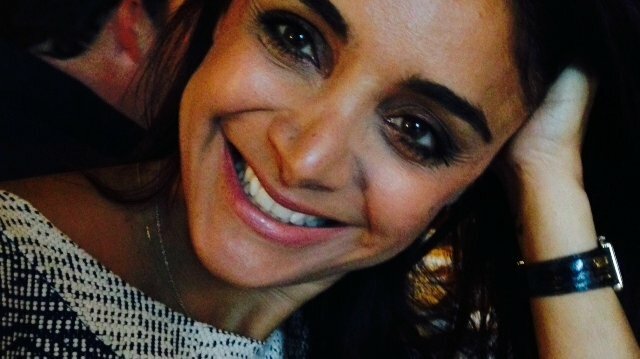 Originally misdiagnosed with a virus she was later found to have Meningitis B and septicaemia. 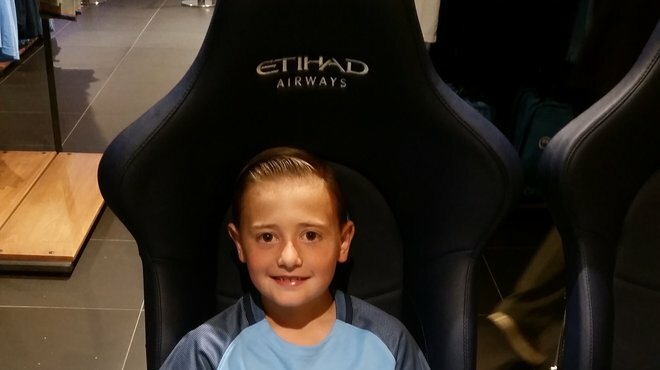 Fortunately, the cheeky youngster has bounced back. 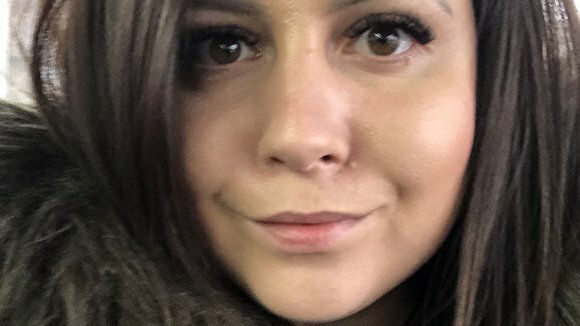 Natalie tells their story. 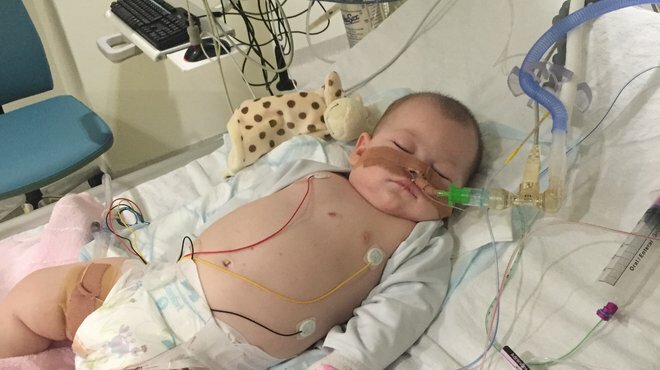 She was rushed to hospital, where a viral infection was diagnosed. 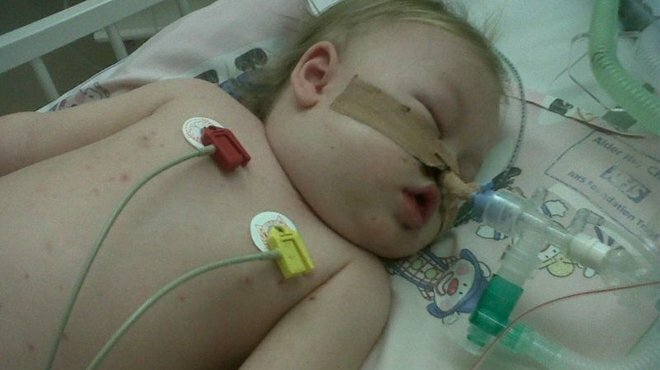 This later changed to meningococcal septicaemia. 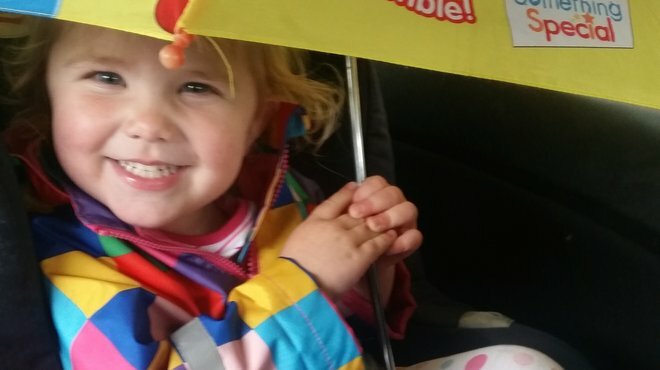 Fortunately Evie-Mae pulled through with no serious lasting damage, but it was a scary time for the family. 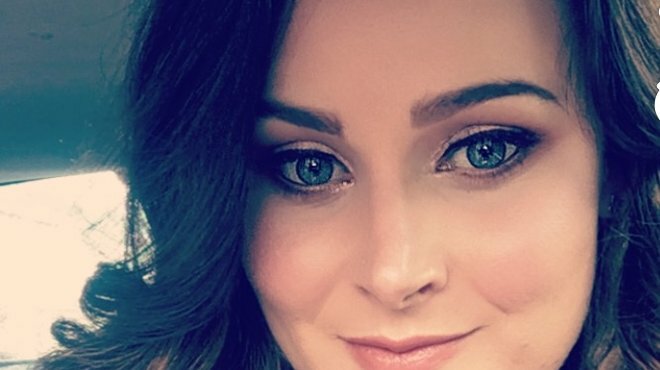 Claire tells their story. 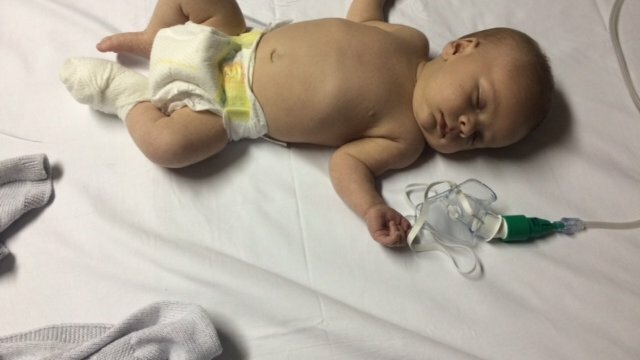 Rachel, of Lincoln, trusted her motherly instincts when four-month-old Noah’s temperature rose overnight. 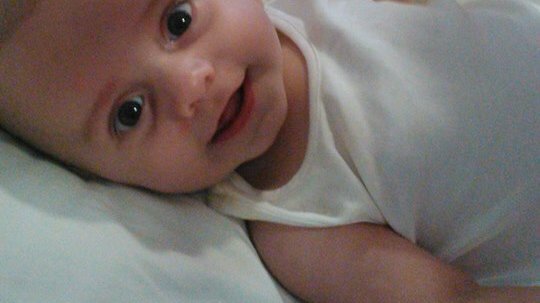 Karina’s daughter Aimee was born three months premature and was a very sick baby. 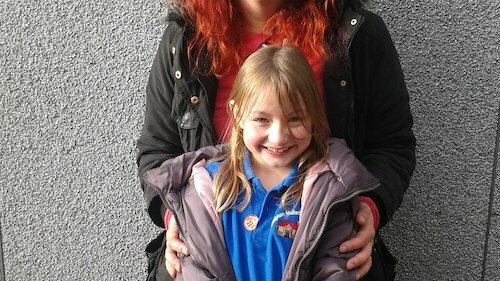 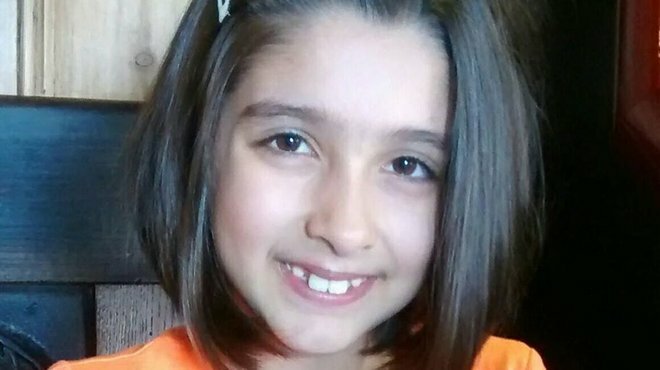 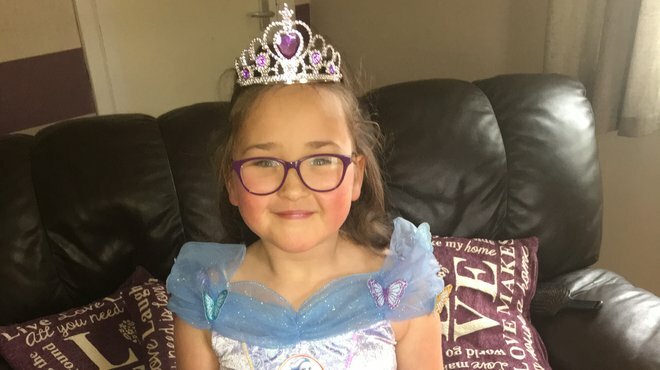 But despite a difficult start in life and to date 12 brain operations, she has grown into a brave and strong six-year-old little girl, thriving at mainstream school. 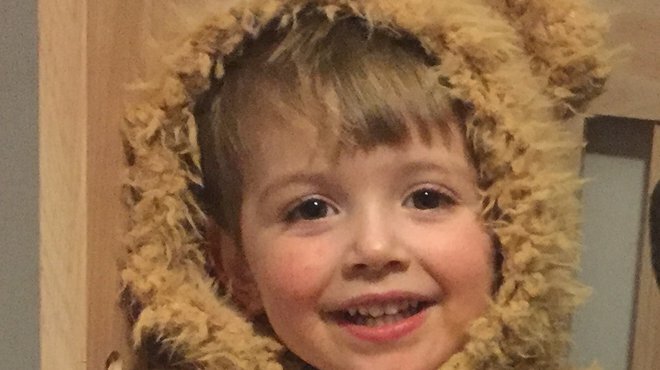 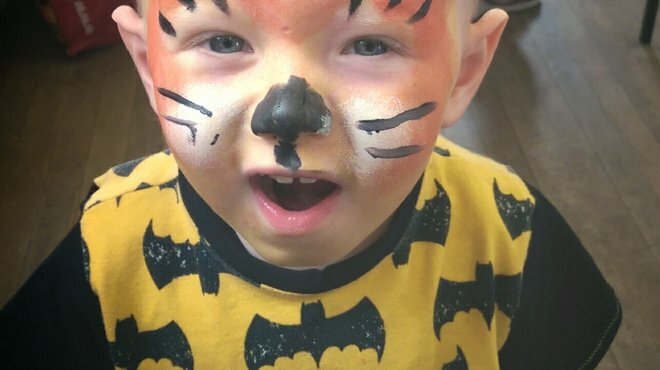 Concerned mother, Natalie Hall, of Essex, immediately took her son, Sam, to see the out-of-hours GP when she noticed a rash on his skin. 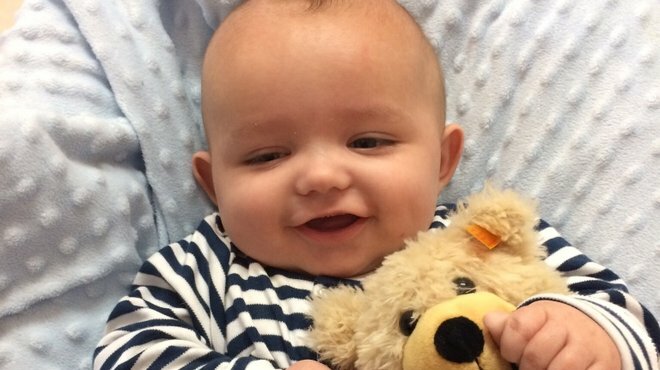 Fourteen-month-old Coby Knighton’s chance of survival was 50:50 as he spent six days in an induced coma. 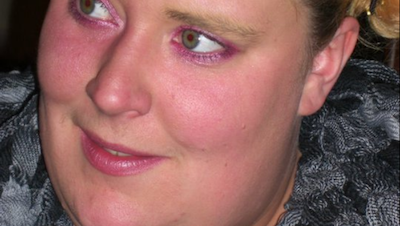 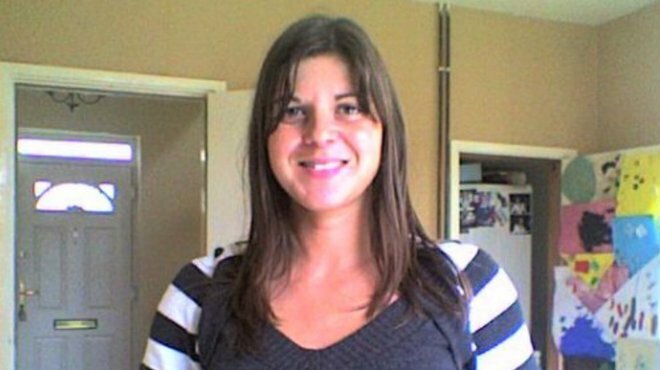 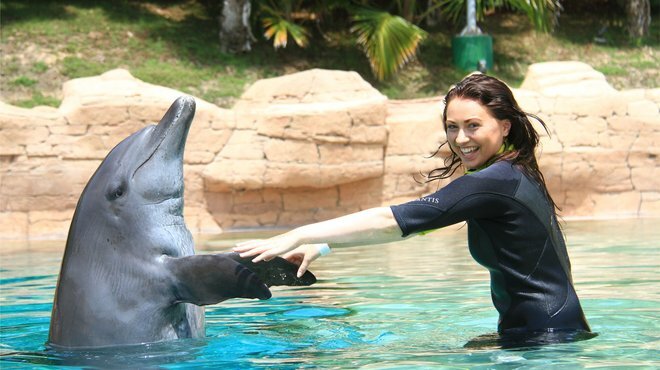 It was a normal day in August 2011 and Keeley, then aged 24, had woken up feeling great. 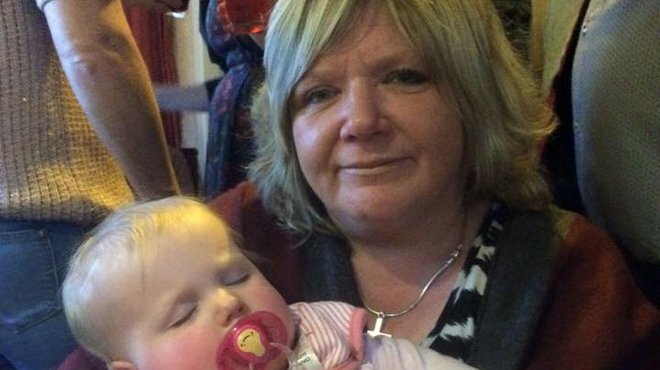 But, just hours later, she developed a severe headache and then collapsed. 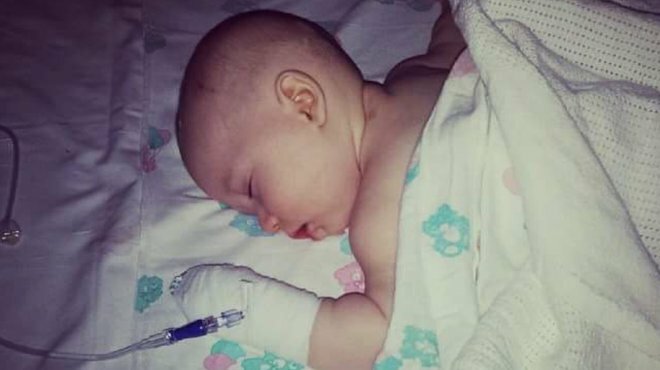 It was the start of a meningitis battle that continues to this day. 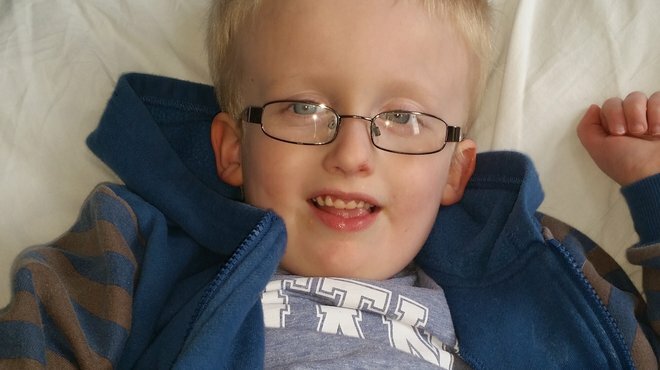 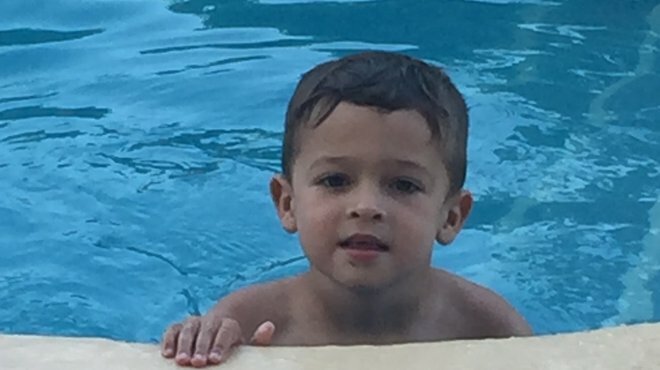 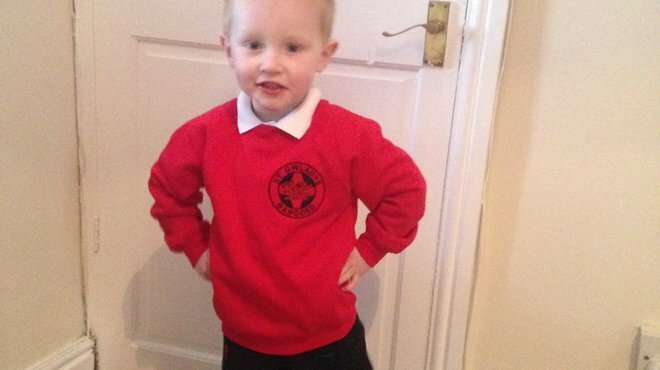 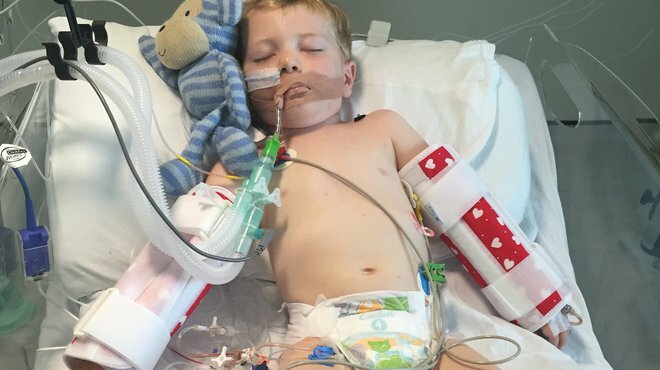 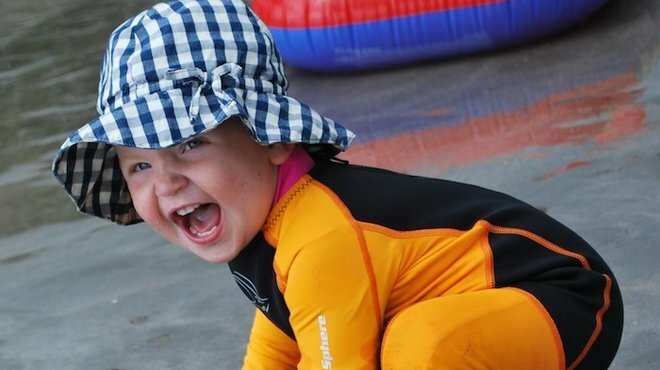 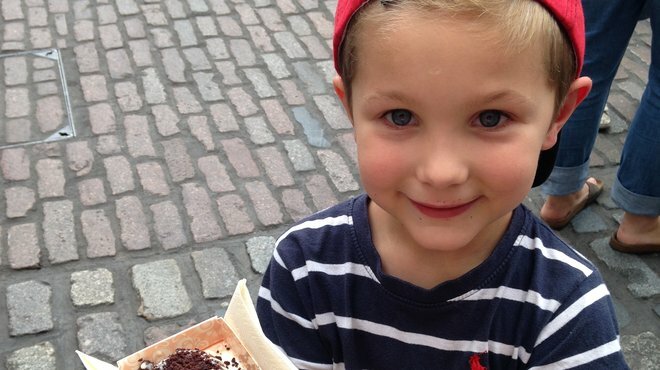 Five-year-old Bradley contracted meningococcal meningitis and septicaemia six months ago. 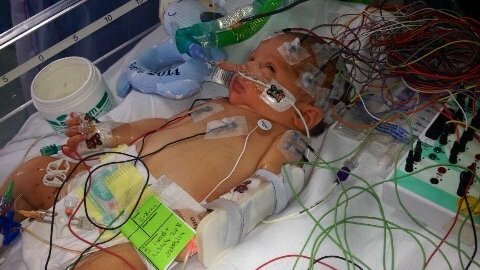 He also had two mini strokes and was given only a 5% chance of surviving. 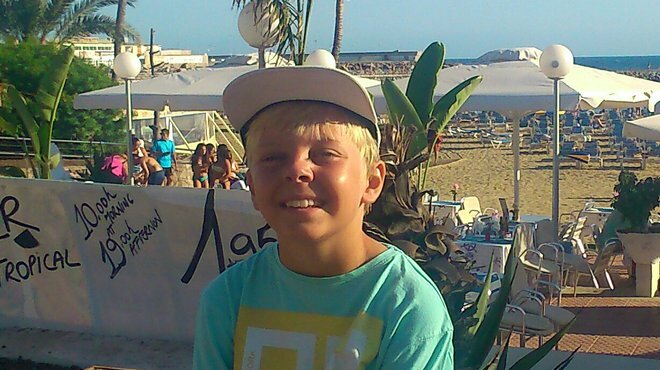 But the plucky youngster, from Plymouth, has bounced back with no long-term after-effects. 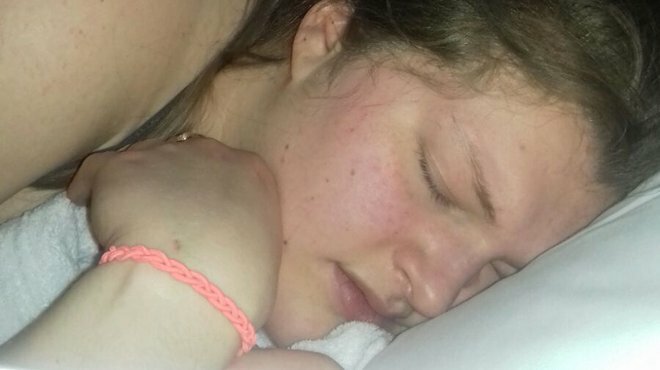 Tamily Butterton dismissed her severe headache, putting it down to too much sleep. 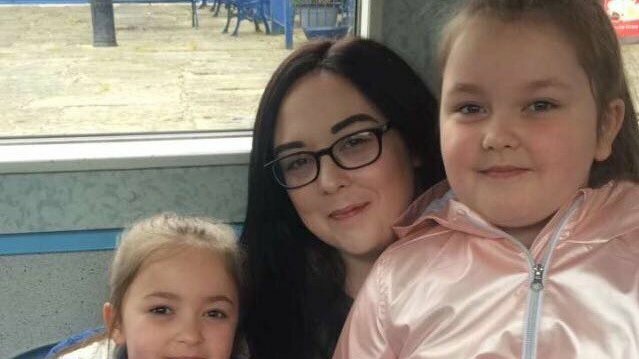 But, in the middle of the night, her headache worsened and following advice from the out of hours doctor, Tamily called an ambulance. 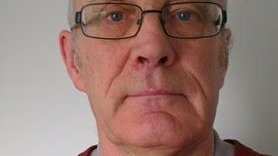 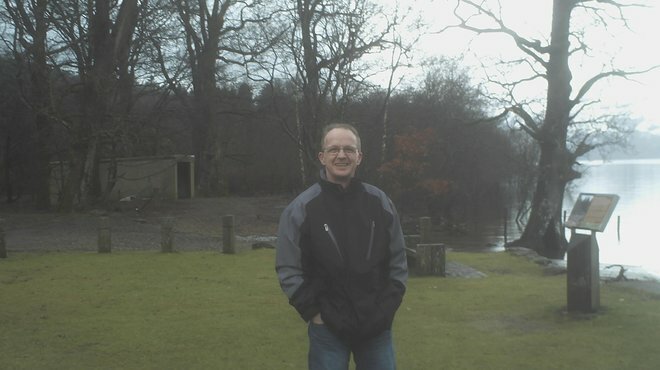 In November 2011 Trevor Newsome, from Leeds, was 61 when he began suffering with what he thought was a migraine. 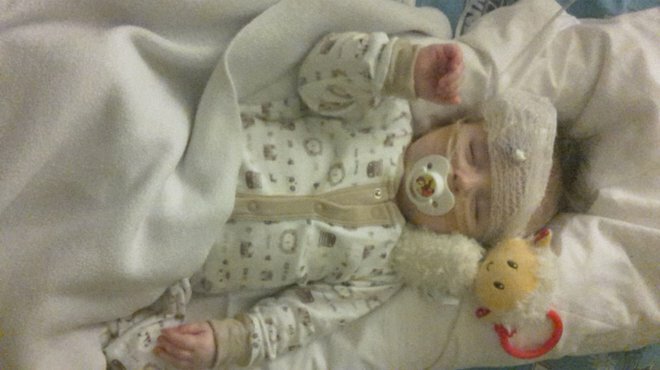 When his symptoms got worse, he was admitted to hospital and diagnosed with viral meningitis. 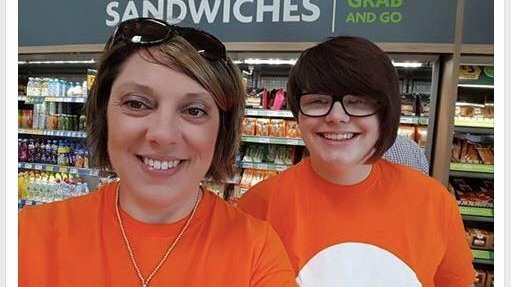 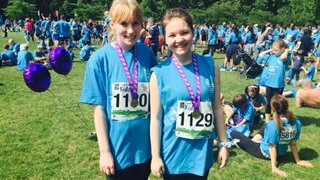 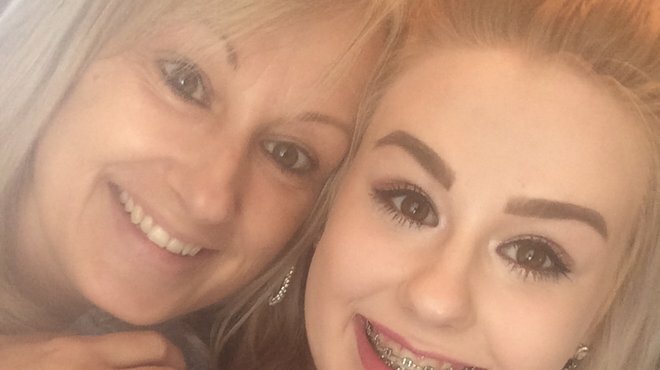 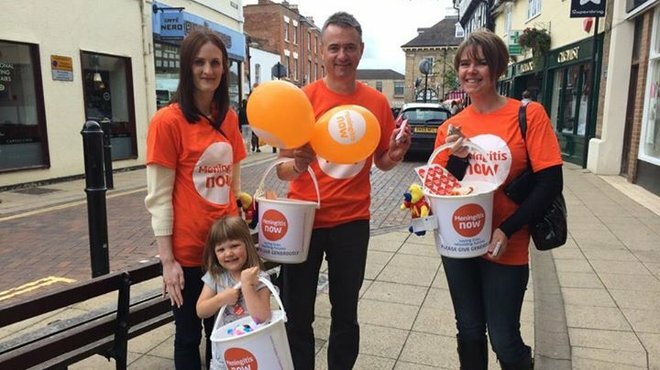 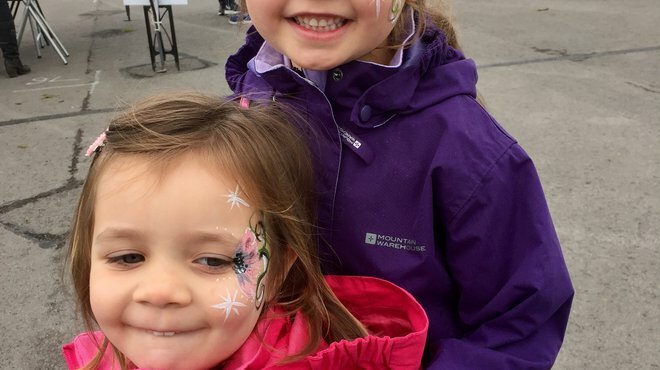 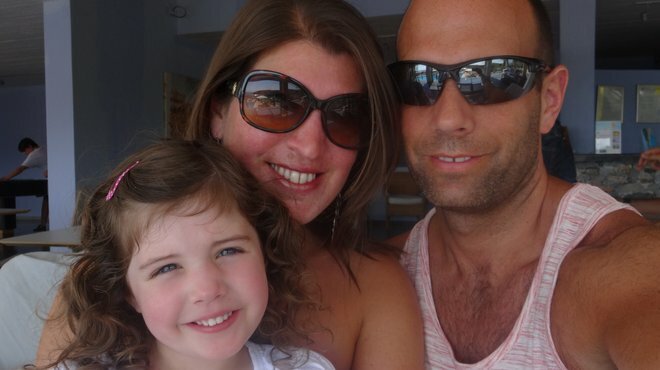 Here Holly tells how both she and her daughter Brooke battled meningitis. 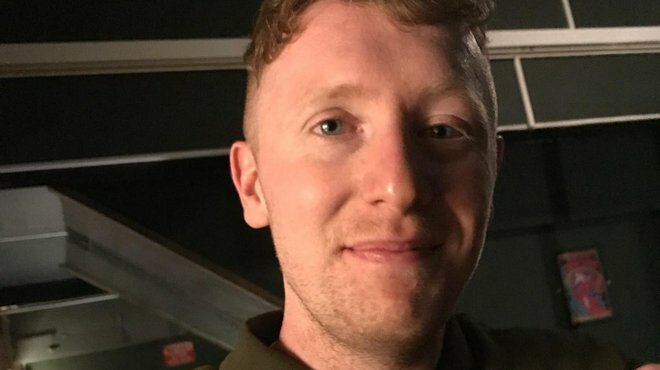 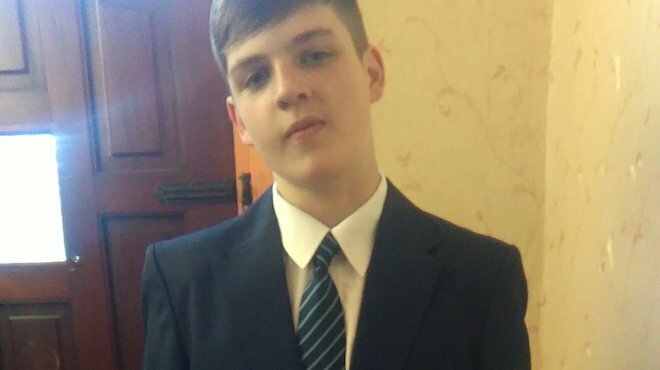 George Lane from Huddersfield is determined he won't live in fear of the potentially deadly brain bug meningitis which has attacked his body four times. 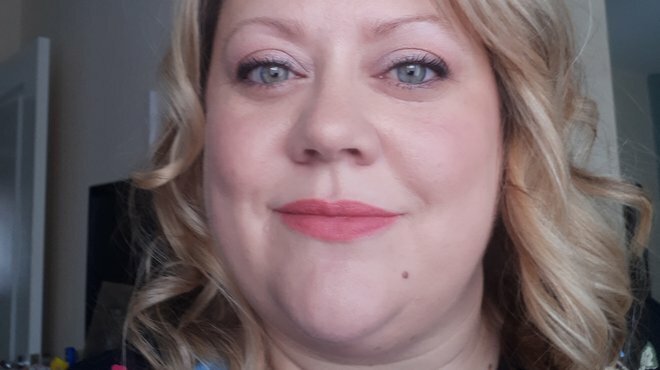 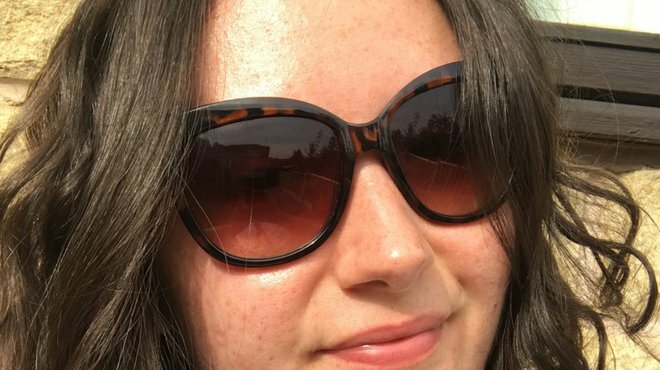 Kerry MacKinnon thought she was getting a migraine, but as her headache became worse it became clear that she was seriously ill. 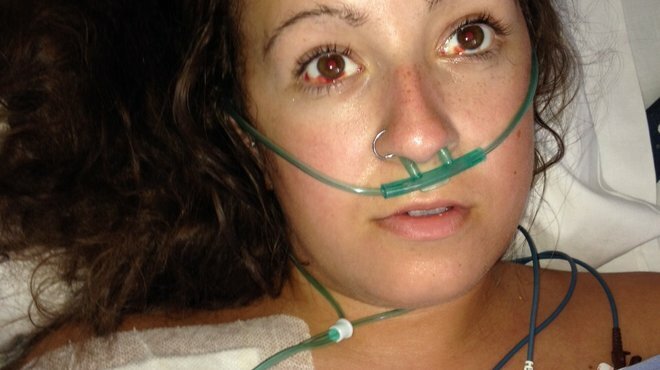 Here she explains how she survived meningitis. 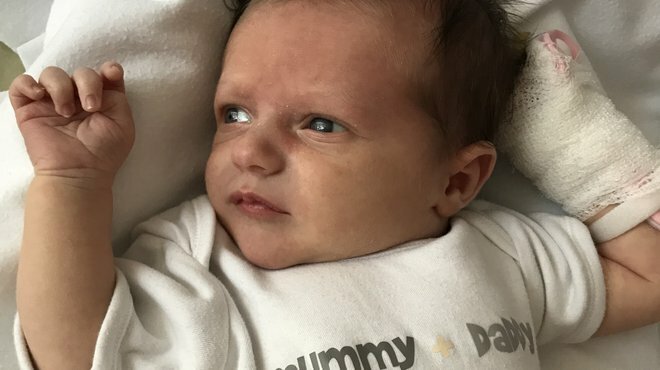 It was just an ordinary November day with a four-week-old baby for Lily and her mother Billie, but all that was to change dramatically and very quickly when Lily was rushed to hospital with an unusual cry and a burning temperature. 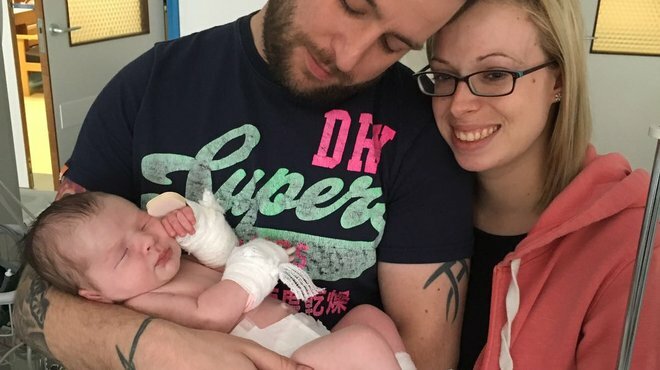 Some people are lucky enough to survive meningitis, but even then the effects can be long-lasting, for both the patient and their family and friends. 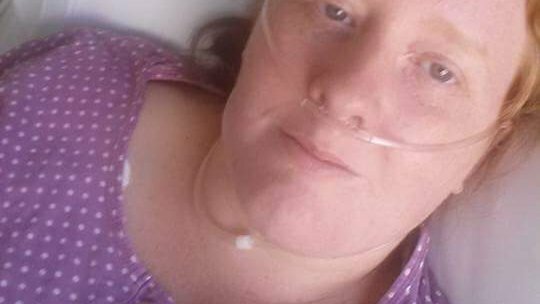 Philipa Coughlan knows all too well the horror of this disease. 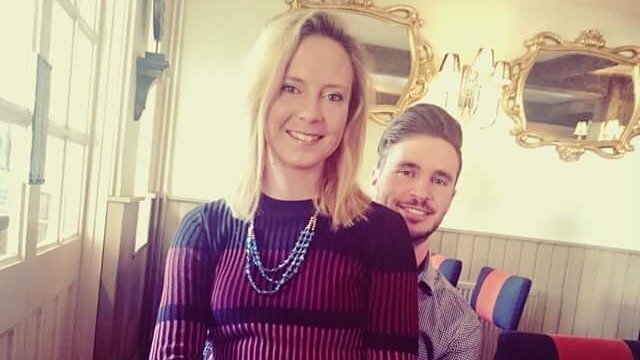 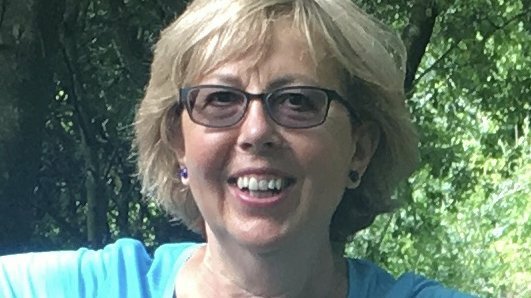 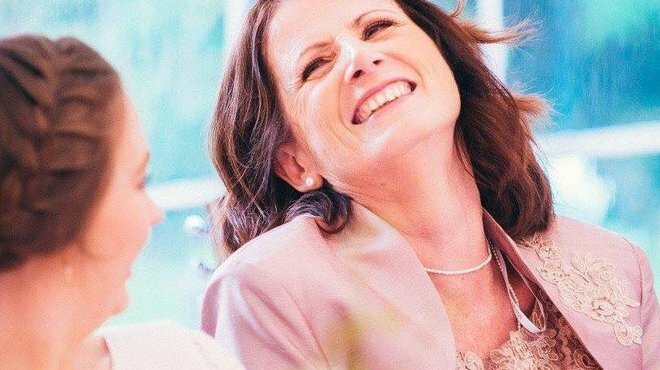 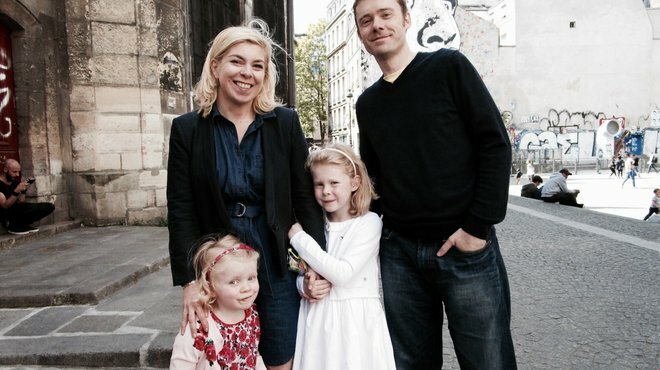 Helen fell desperately ill with the brain bug and it initially left her unable to walk and facing a long recovery period. 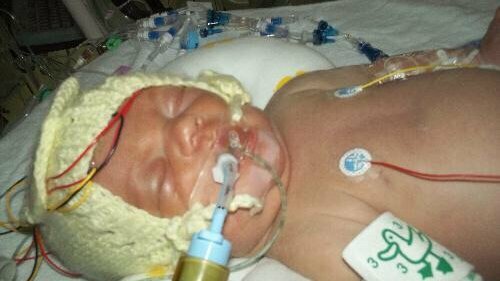 But the youngster has battled her way back to full health. 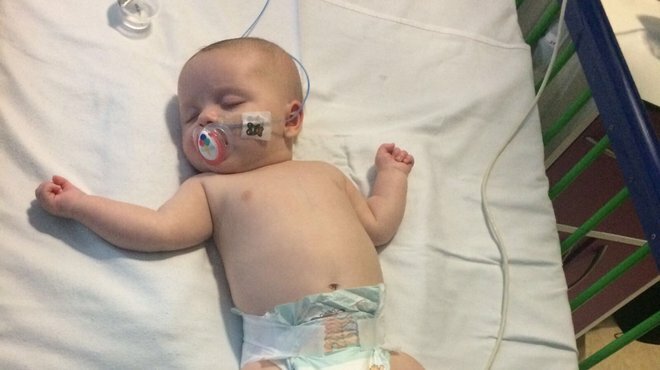 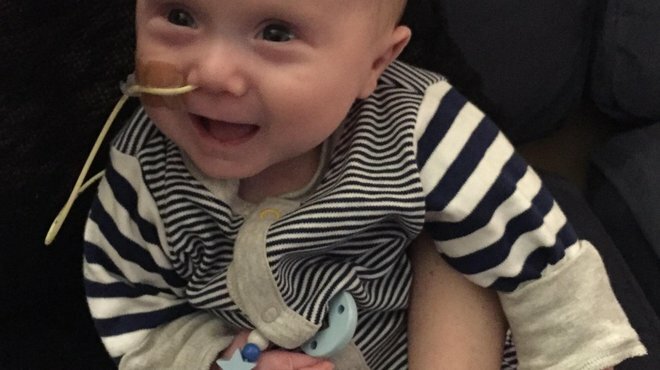 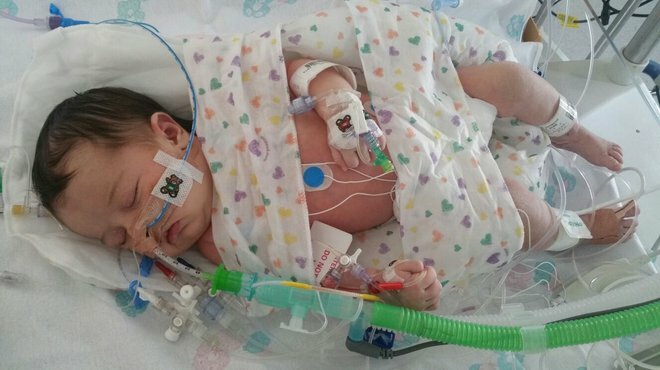 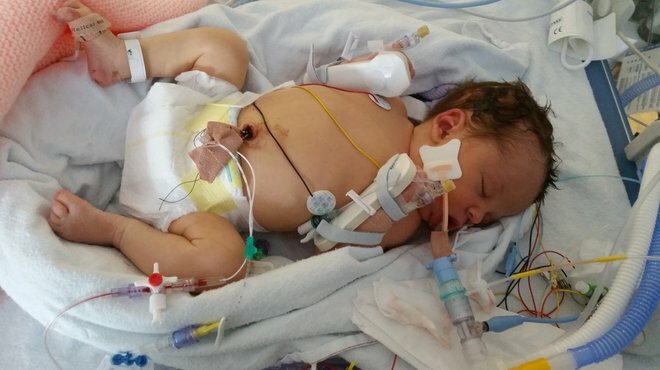 Elliott fell ill at just seven weeks old, when a rash covered his body in just four minutes. 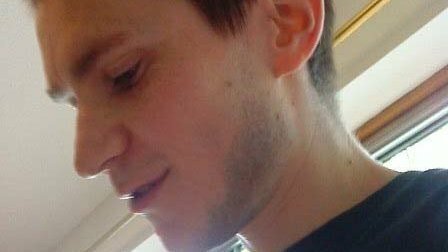 The drama unfolded on the day of his mum Louisa's work Christmas party. 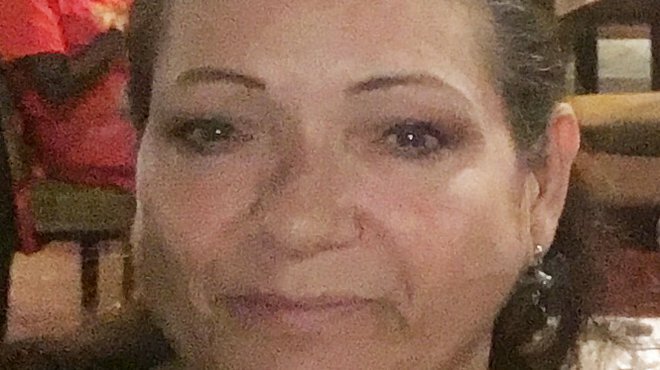 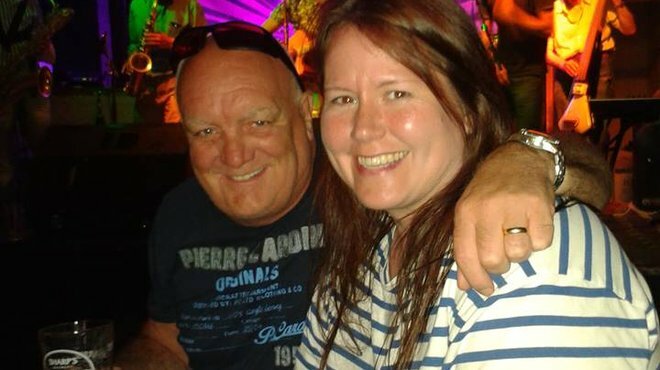 She believes that had she not checked on him after the party then he might have been dead. 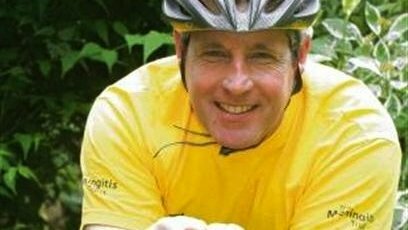 When Steve Drew started suffering from an intense headache his doctor thought he was concussed after picking up a knock playing rugby. 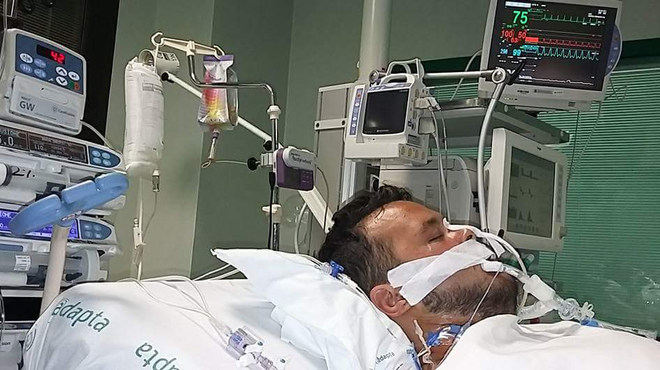 But Steve had contracted pneumococcal meningitis. 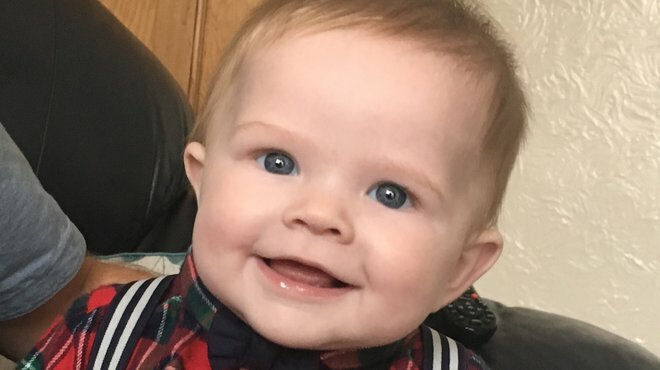 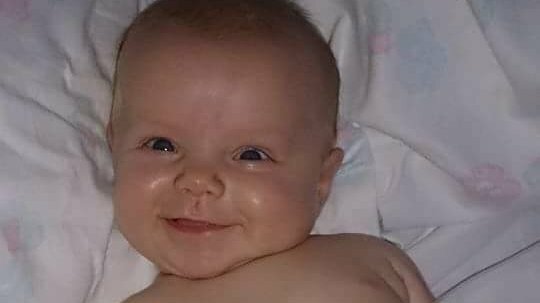 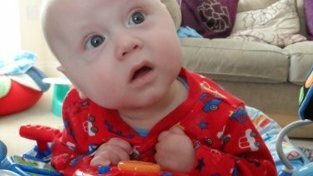 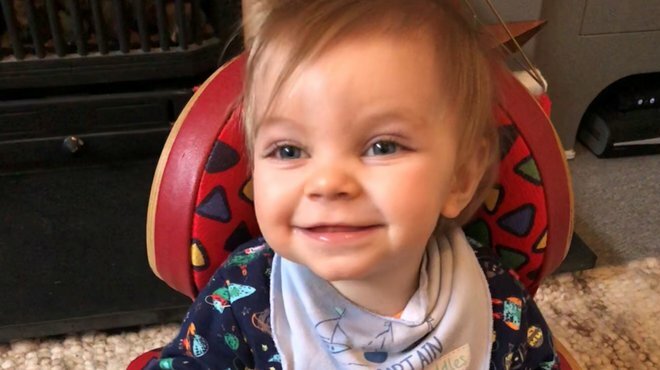 Little Owain was just 15-months-old when he fell ill, a "horrific" experience which has prompted his family to fundraise for Meningitis Now. 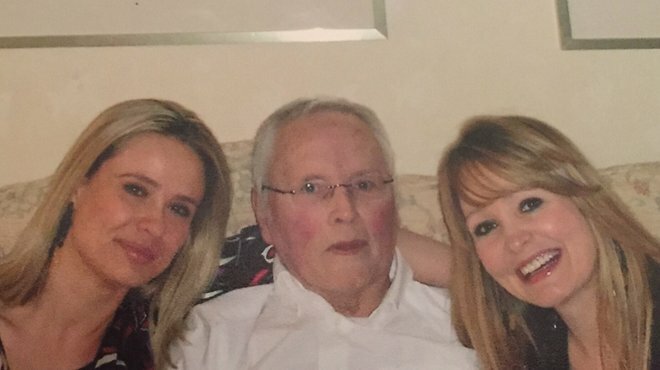 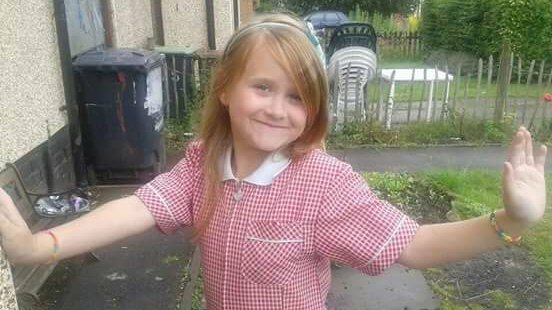 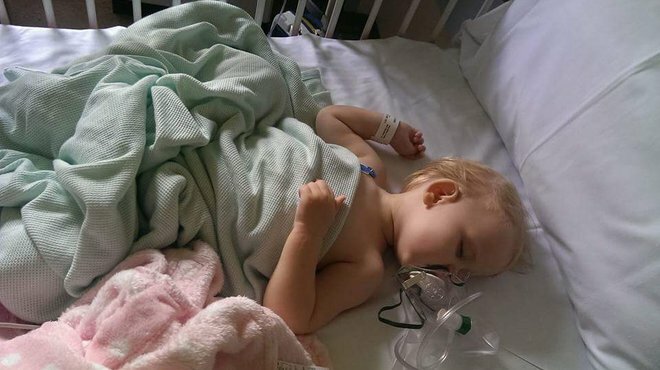 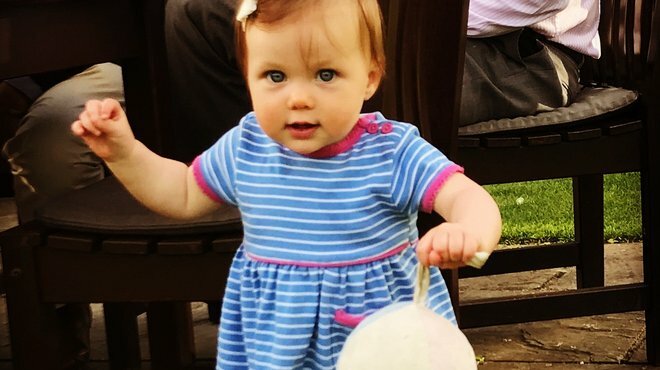 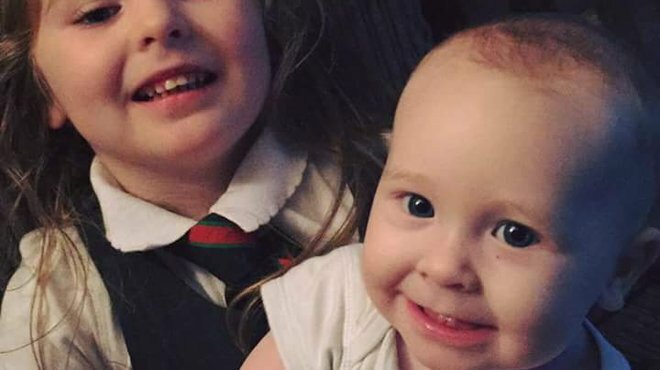 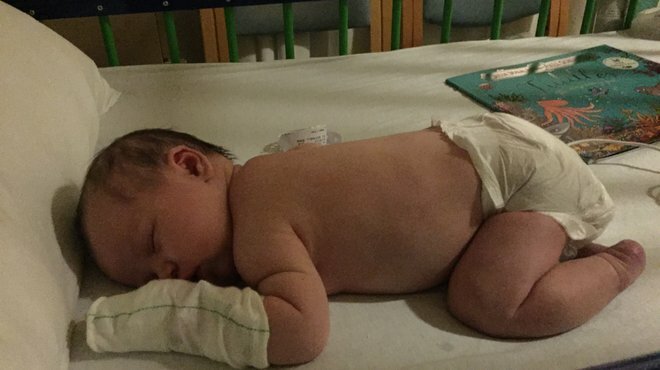 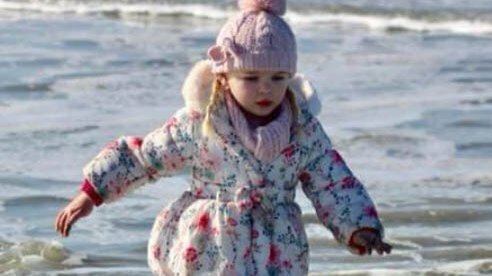 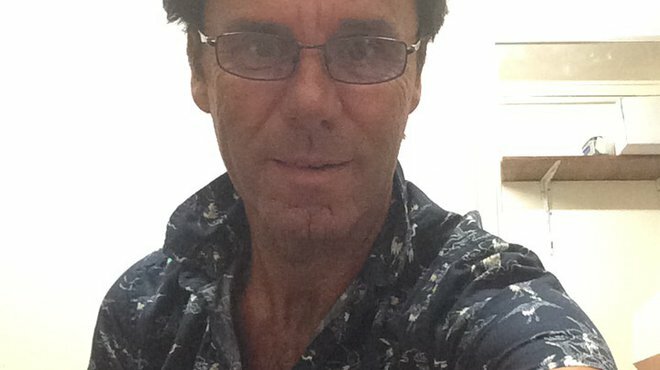 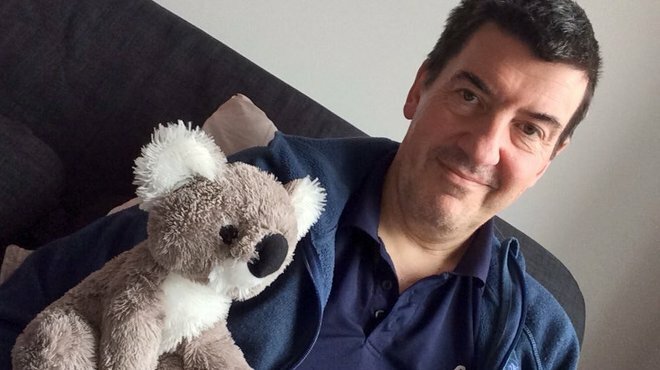 Manchester Evening News columnist Ray King described his own family's anguish when his granddaughter Isabelle fell ill with one of the deadliest strains of meningitis. 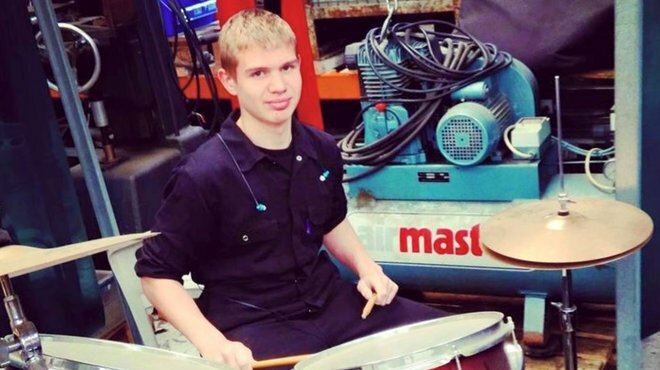 Out of the blue, the 16-year-old’s life changed irrevocably. 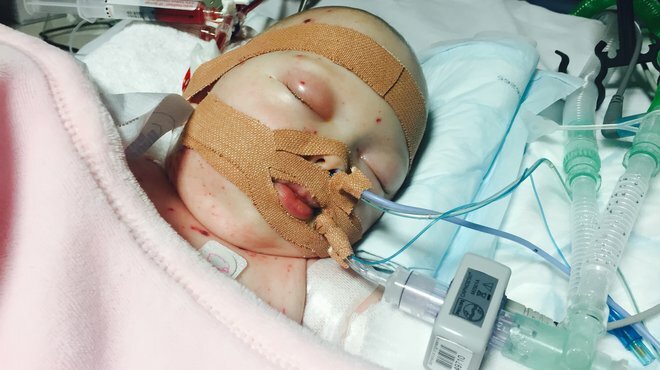 Sophia contracted meningococcal septicaemia. 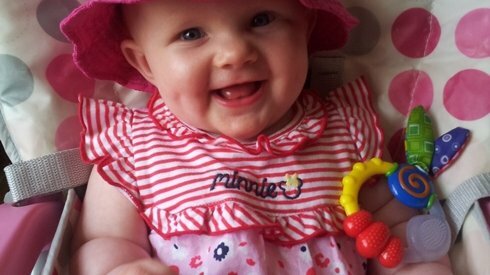 Millie, from New Mills in Derbyshire’s High Peak, was a perfectly well and healthy 10 month old baby the day before she became poorly. 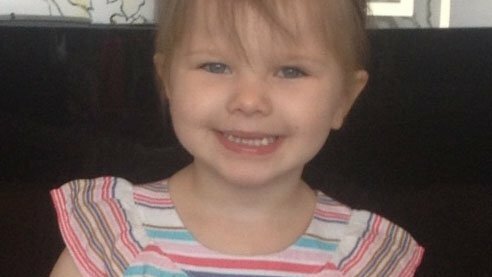 She went to bed as normal but woke that night at 4am screaming. 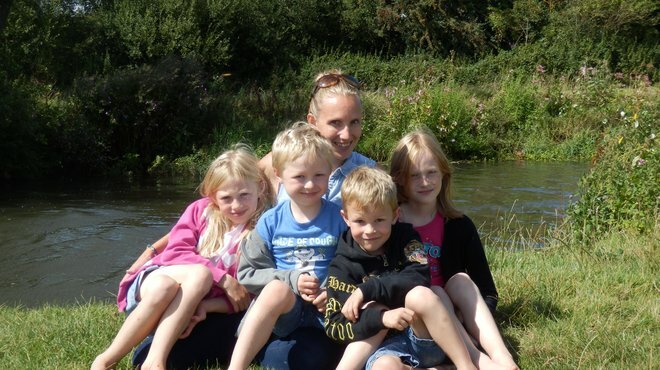 Mother Sophie takes up the story. 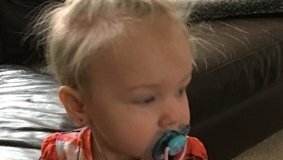 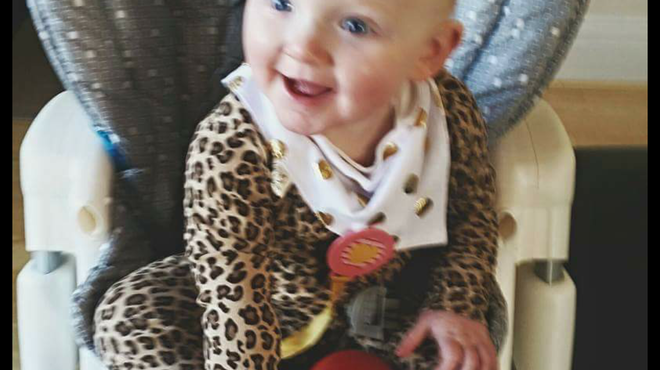 It was just three days before Ellie Mae’s first birthday when her mother, Kelly, noticed a small purple bruise on her forehead. 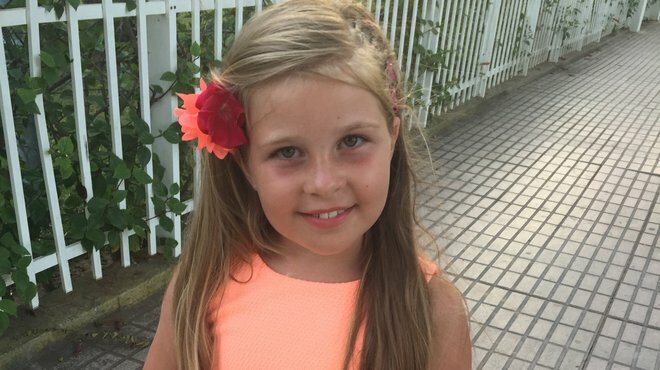 Grace, seven, became ill after an exciting and busy day spending her Christmas money in the sales. 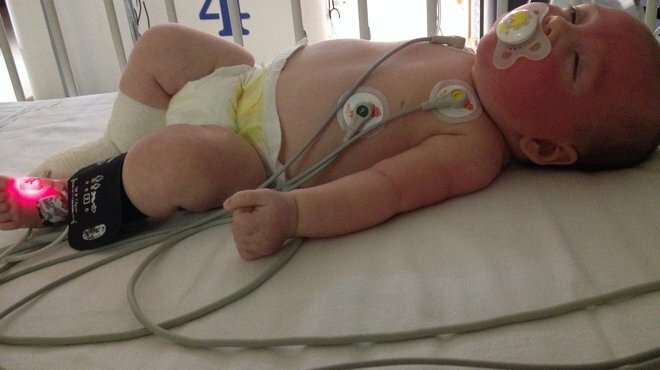 She was vomiting, had a high temperature, was lethargic and had a grey complexion. 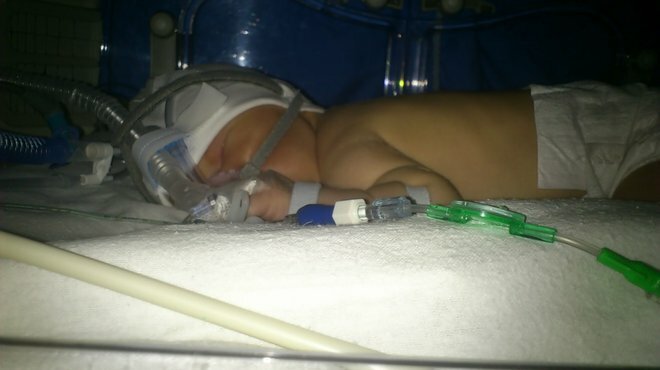 Leo was born six weeks early. 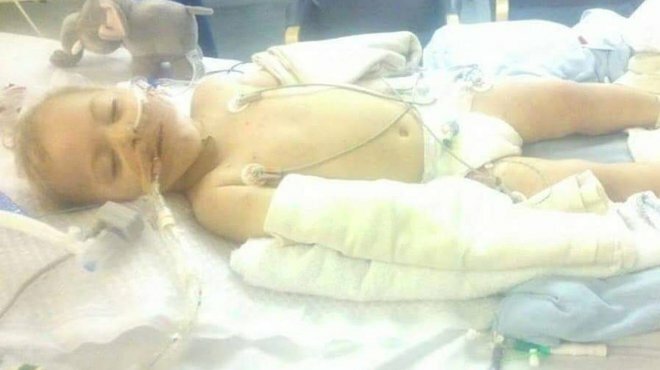 He became ill on Christmas Eve and needed surgery for a strangulated hernia. 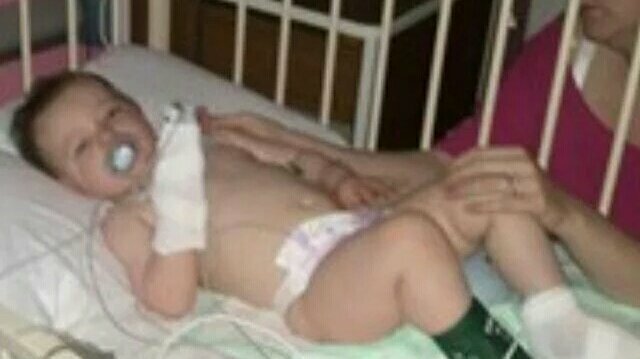 He returned home and all seemed well but, at the end of January when he was 14-weeks-old, he was grizzly and had a high temperature. 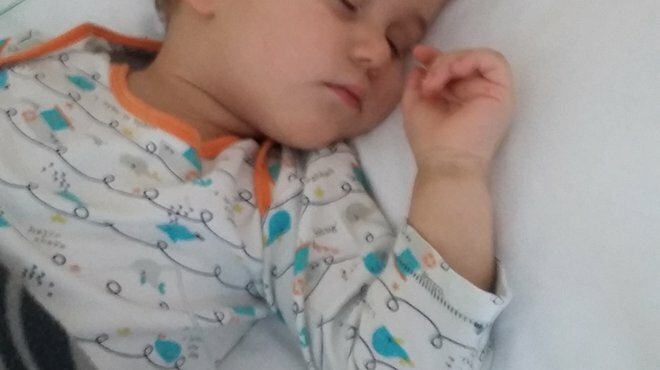 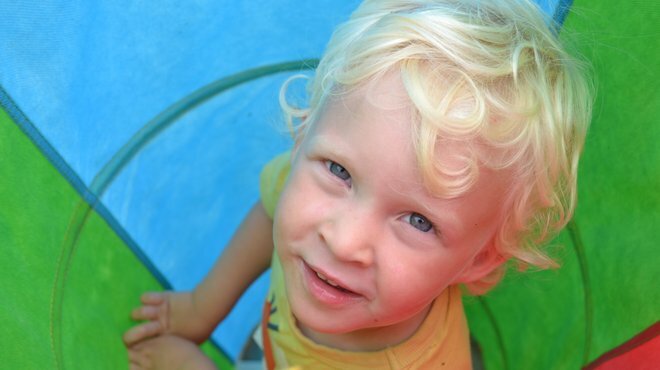 It was just after New Year when three-year-old Luka became ill. 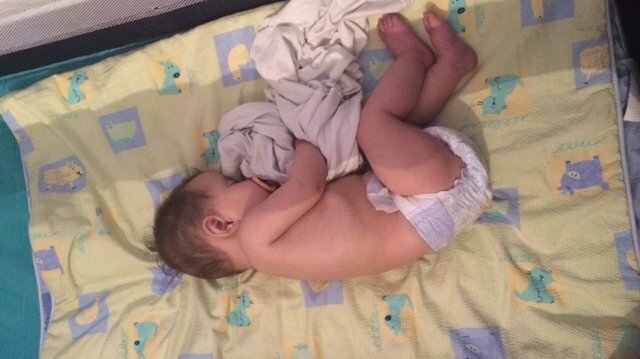 It started with irritability and a high temperature but quickly progressed from there. 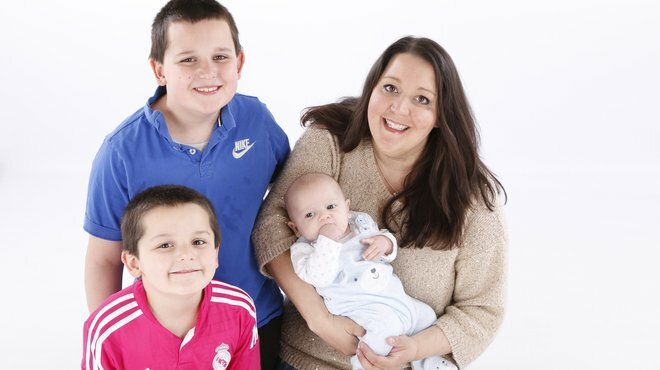 Mum Paula, from Richmond in Yorkshire, picks up their story. 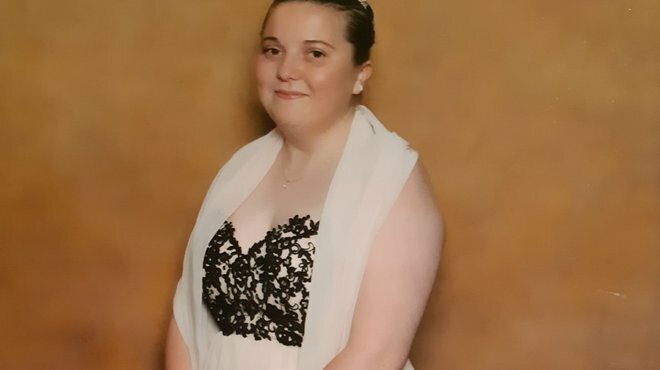 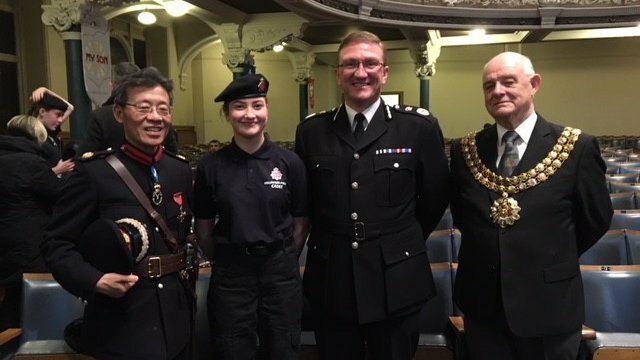 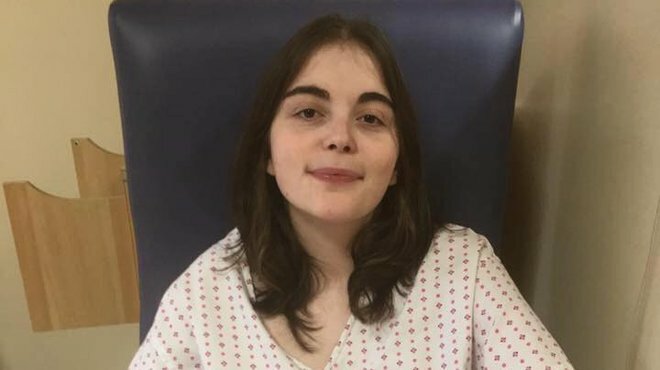 Eighteen-year-old student Harriet had been feeling ill for a while but when she collapsed whilst going for a drink of water it was time to call an ambulance. 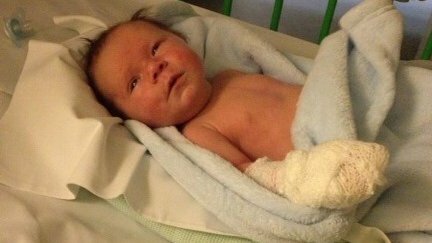 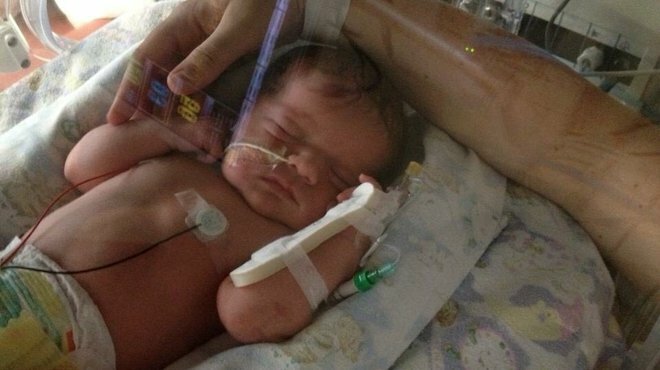 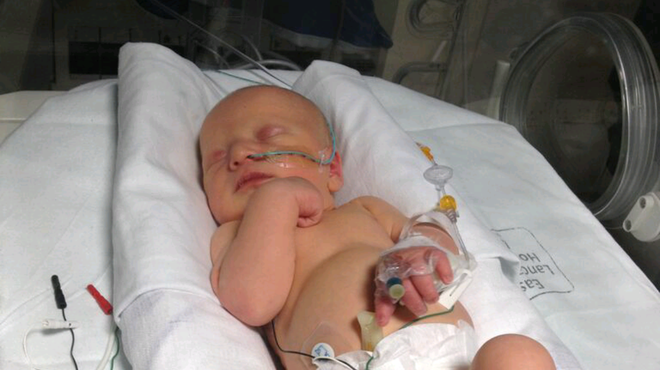 A year ago three-week-old Addison became very poorly, he had a temperature and a rash, he was rushed to hospital. 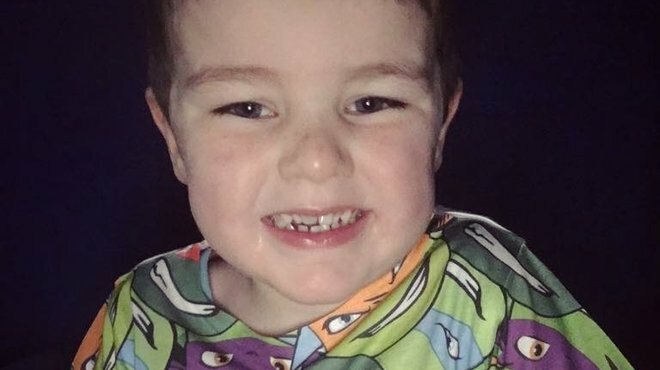 When Kay’s 3-year-old son Evan complained he was feeling unwell and was burning up, they tucked him up in bed with them to keep a closer eye on him. 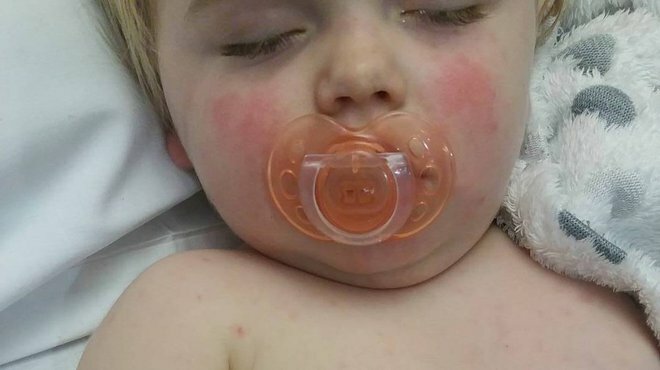 But when they noticed a rash they called an ambulance and he was rushed to hospital. 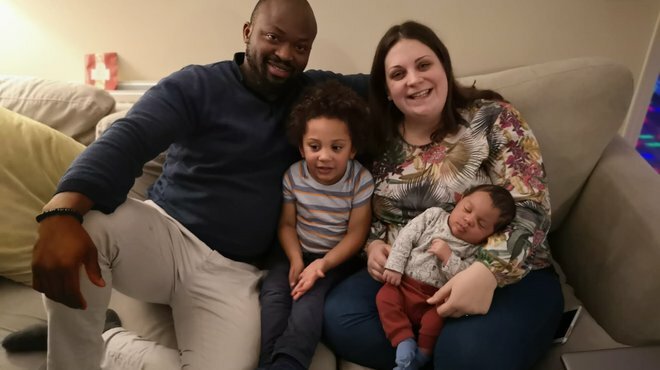 When twenty-year-old University of Nottingham fresher Matthew, an international student from the Bahamas, woke up shivering in November, he assumed it was just the cold. 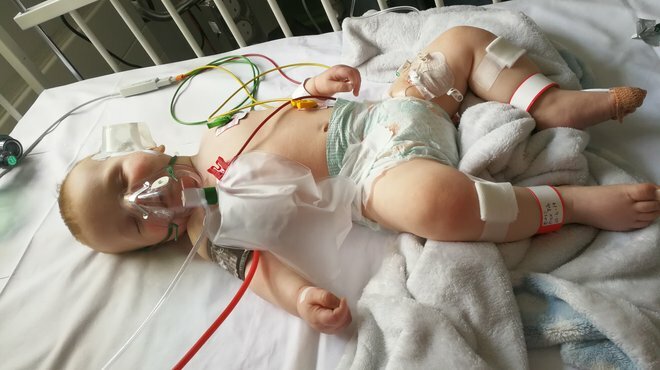 But when he passed out he knew there was something more serious wrong. 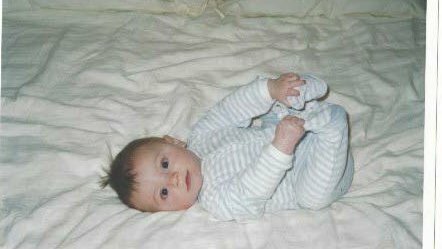 Matthew, from Cornwall, was just five and a half months old when he came down with meningococcal meningitis and septicaemia in April 2007. 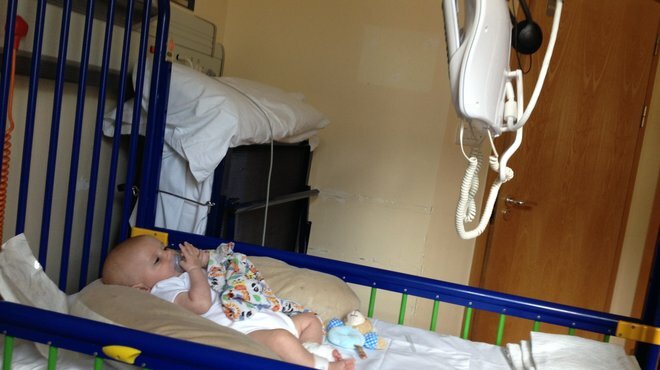 Lennon had already had various medical problems from the age of six months. 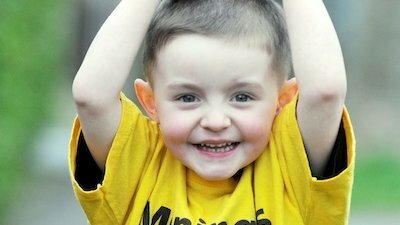 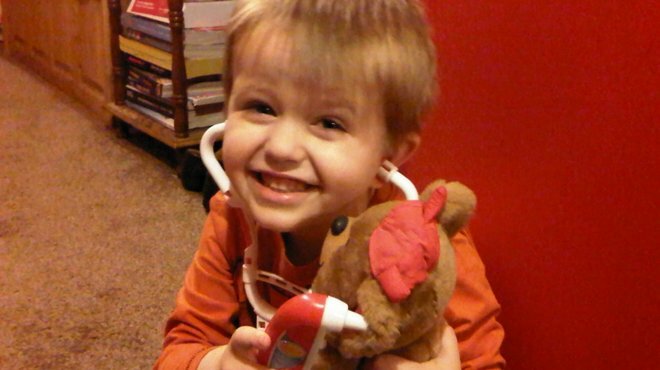 Then, in July 2012 when he was three years old, he was diagnosed with viral meningitis. 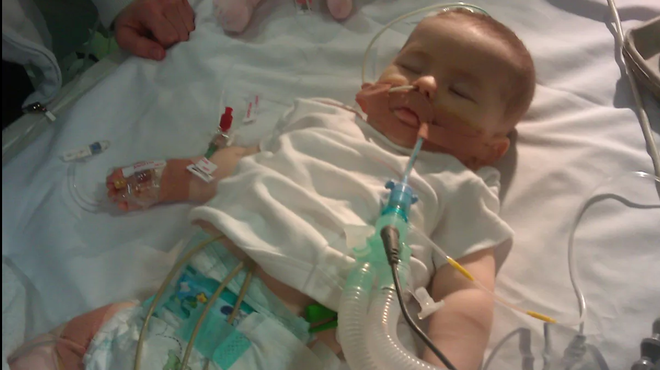 Louie was just five months old when he contracted meningococcal meningitis and septicaemia in January 2012. 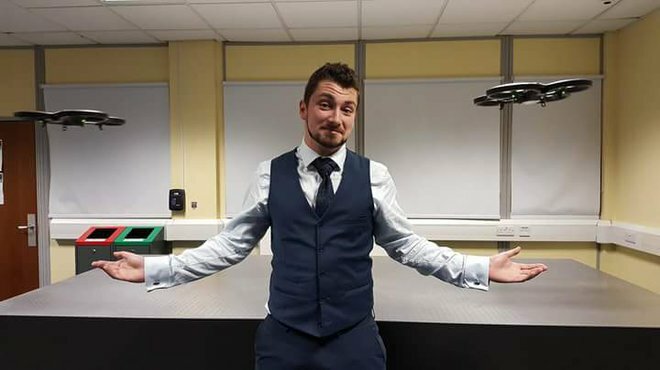 He lost both legs as a result, and recently took his first steps in prosthetic limbs. 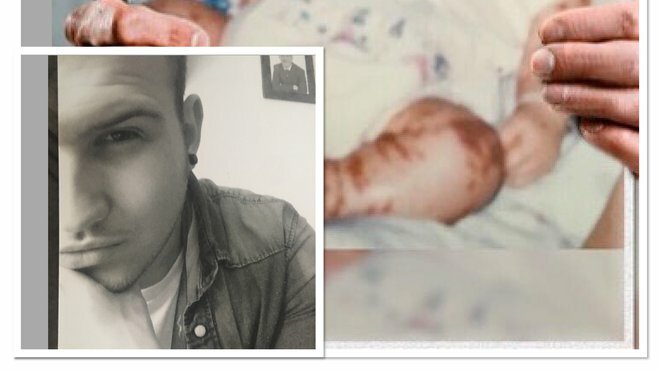 Lyndon is a Young Ambassador for Meningitis Now. 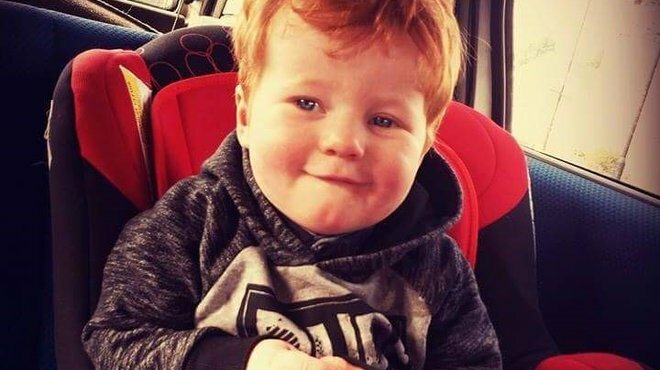 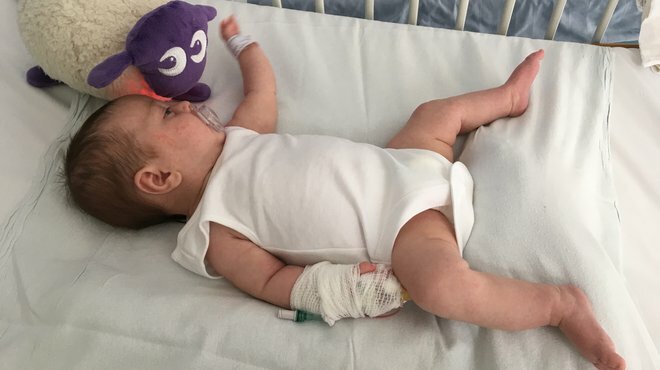 He lost his legs, part of his right arm and the tips of the fingers on his other hand when he contracted meningitis and meningococcal septicaemia when eight and a half months old. 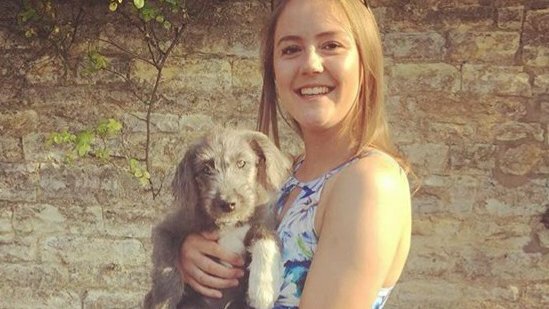 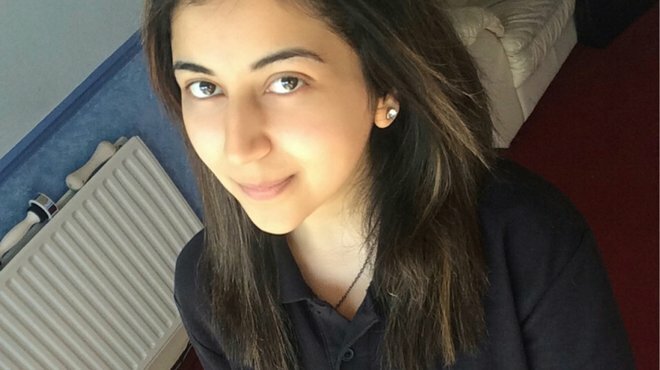 Alexandra Hird was just a normal student revising for her exams when she fell ill with meningitis. 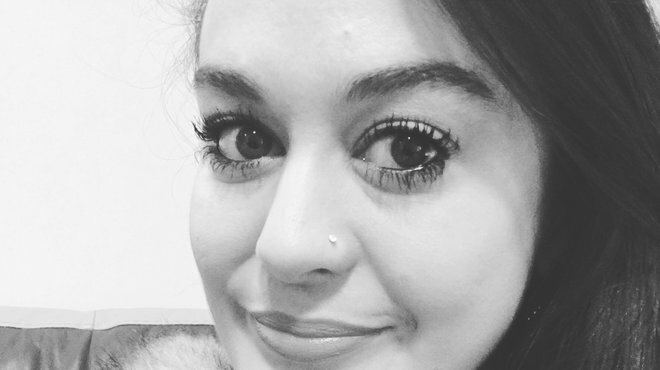 She shares her story and explains how the illness changed her life. 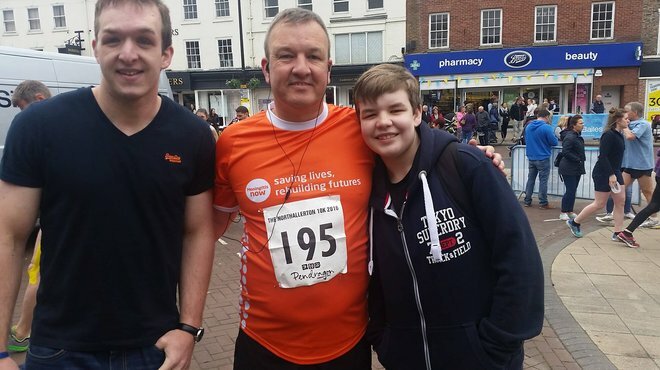 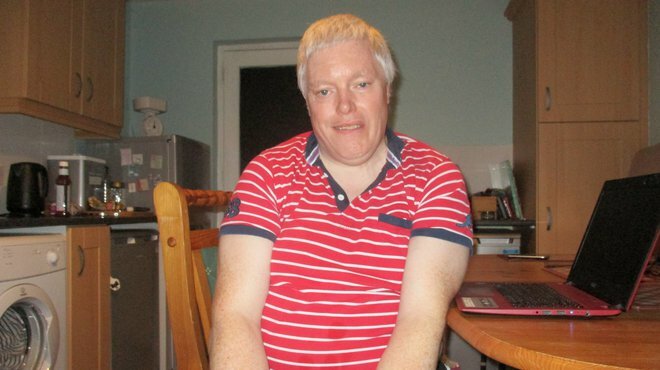 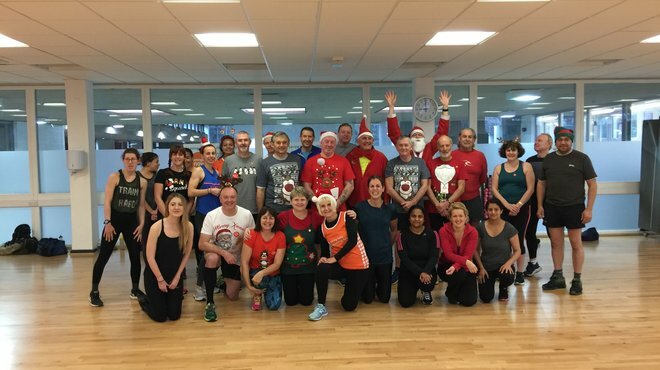 In September 2012, Mark Shore, from Oswestry, began feeling unwell with flu-like symptoms. 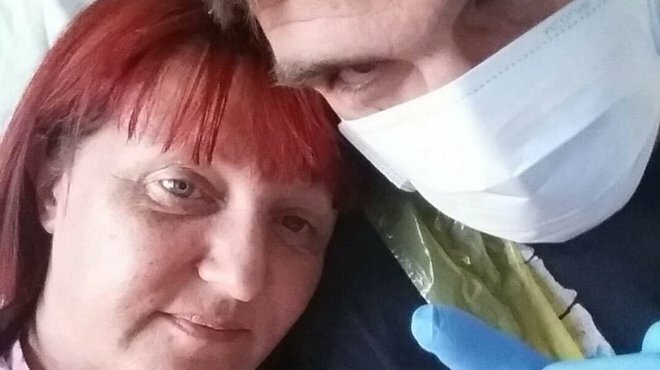 When his partner saw how ill he was, she made him to go to the doctors. 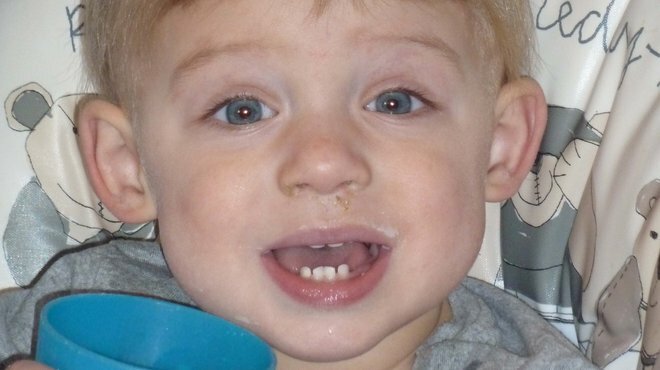 In September 2012, Sarah and John's son, Noah, fell ill. 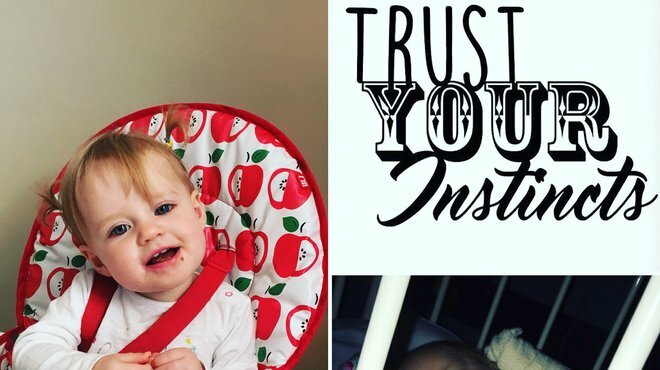 Crying, vomiting and running a temperature, Sarah’s parental instincts told her something was seriously wrong with her baby. 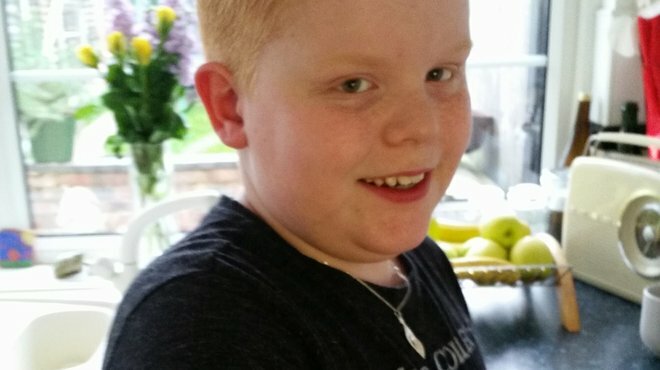 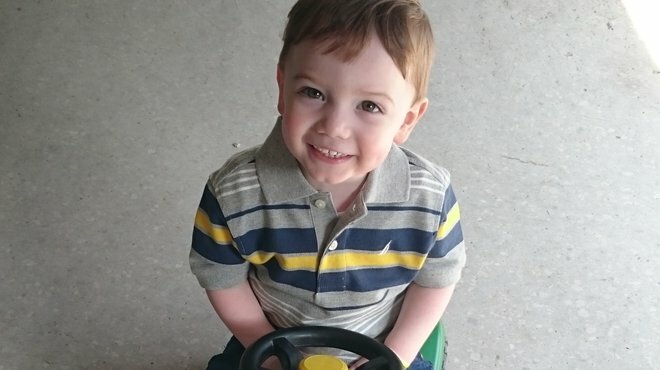 It took multiple hospital visits before doctors finally diagnosed Noah. 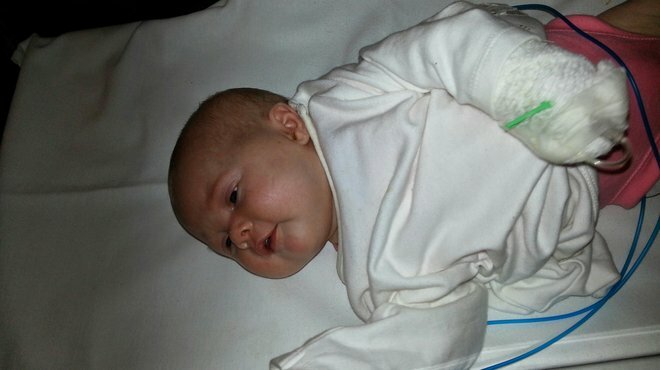 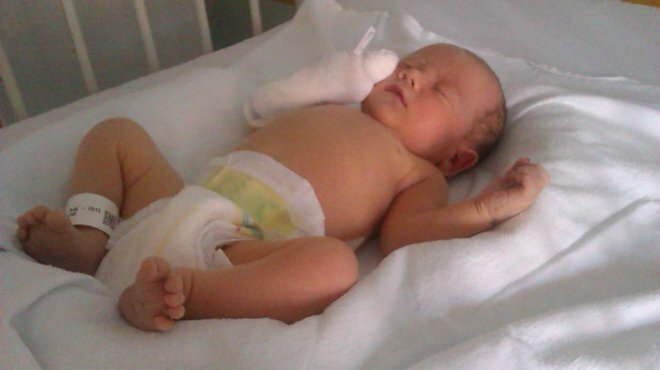 In October 2012, five-week old Esmé woke up in the morning and was looking very poorly. 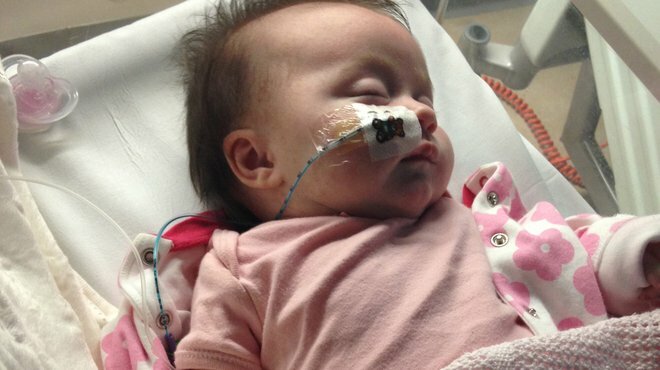 Her worried mum, Amy, sensed something was seriously wrong, and rushed her to hospital. 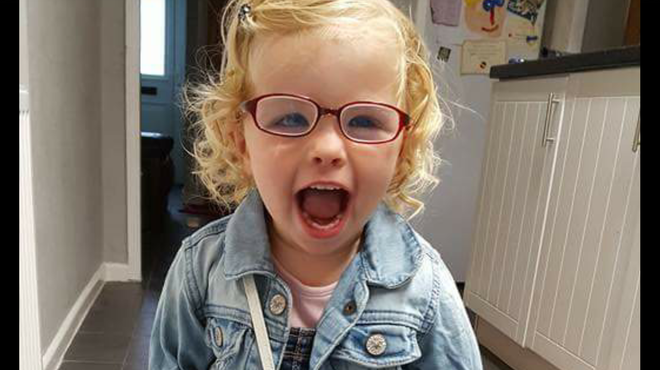 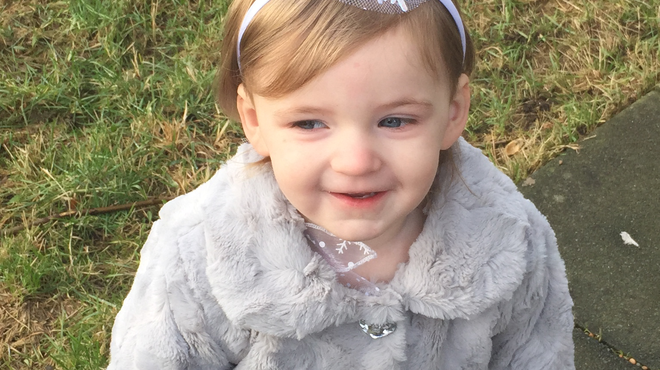 Eliza brought tears to her consultants’ eyes when she walked out of hospital after battling pneumococcal meningitis. 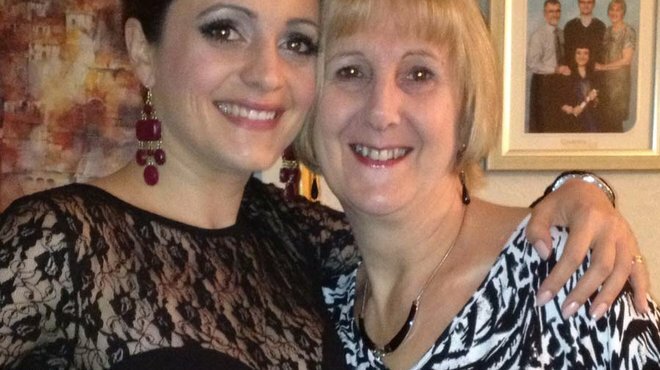 Her mum Pauline tells her story. 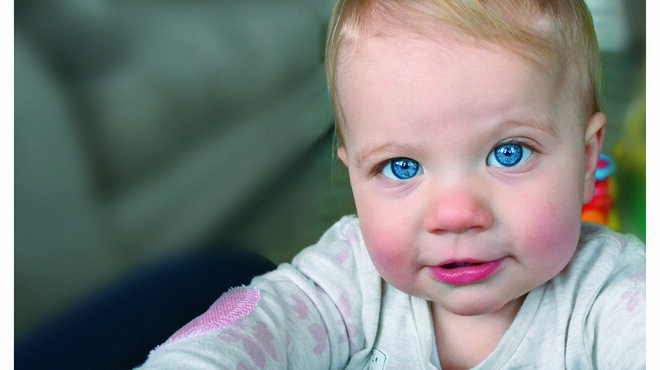 Thirteen-month-old Elise was suffering from sickness, fever and lethargy in March 2014 before pneumococcal meningitis was diagnosed. 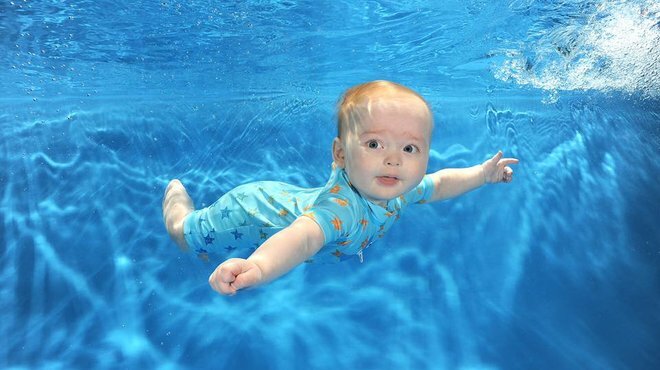 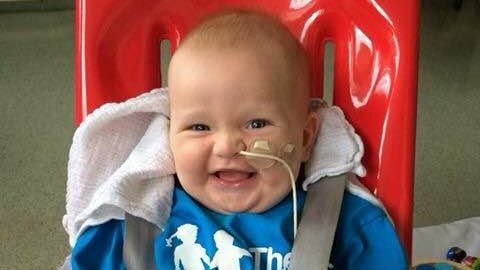 Little Callum was a fit and healthy baby until at nine months old he contracted a deadly illness. 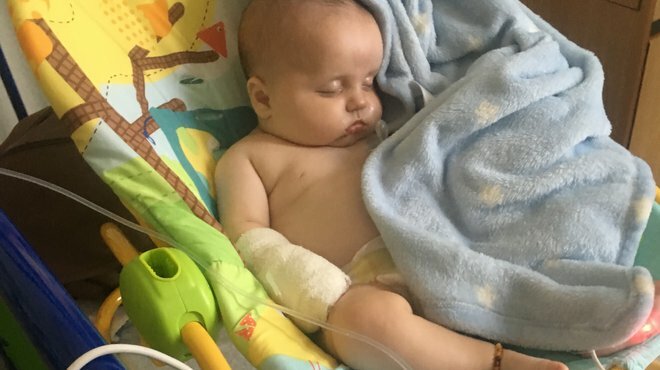 His parents Sally and Rob feared the worst when Callum was rushed to hospital after the sudden onset of bacterial meningitis. 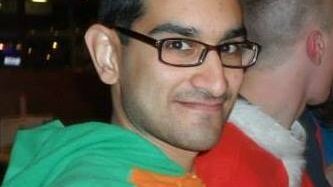 Amar, 25, from Luton, felt really cold and shaking and had a high temperature and sharp, painful headaches. 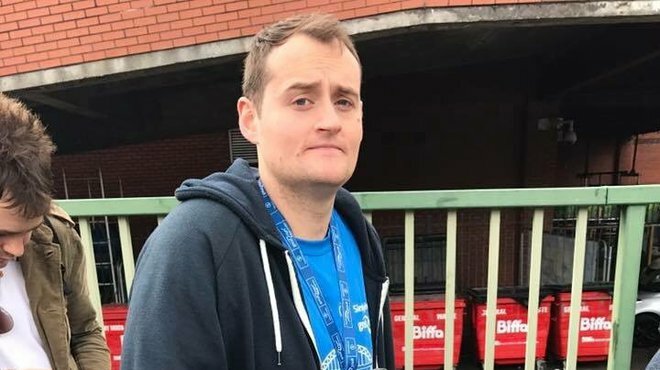 He visited his local walk in centre, but then had to go straight to hospital, where he was diagnosed with bacterial meningitis. 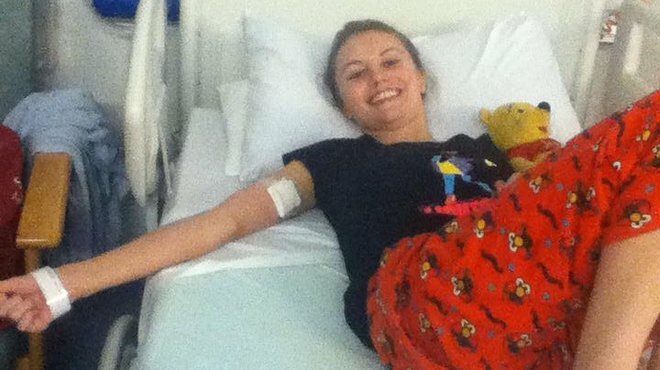 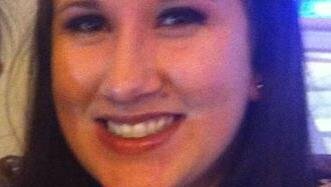 Chloe, 23, of Manchester, contracted viral meningitis in September 2012 when she was 21. 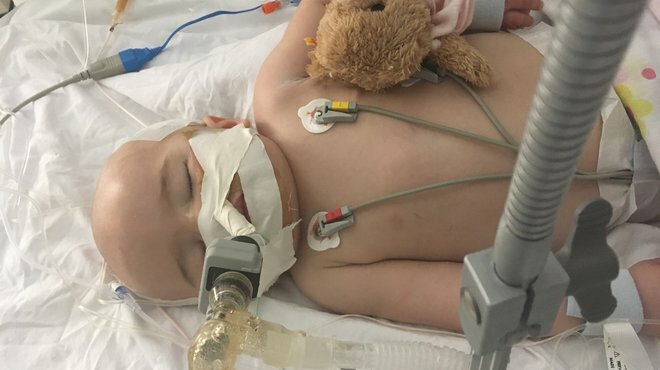 Her symptoms included drowsiness, severe headache, stomach pains, sensitivity to sound and noise, a stiff neck and confusion. 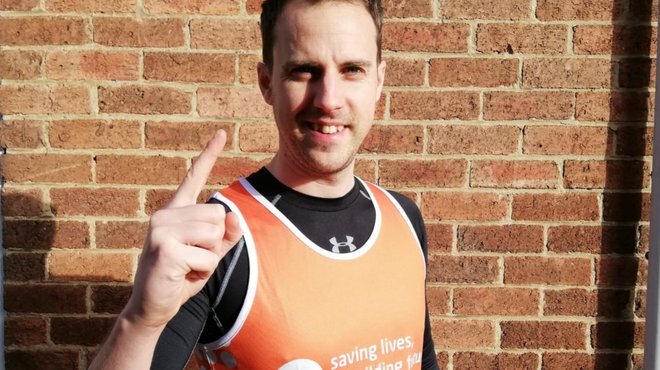 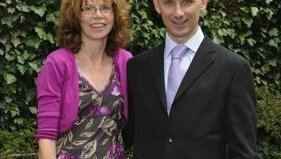 A Brighton couple, who in April 2013 watched marathon runners on the sea front from hospital whilst their son fought back from meningitis, will compete in the same race in 2014. 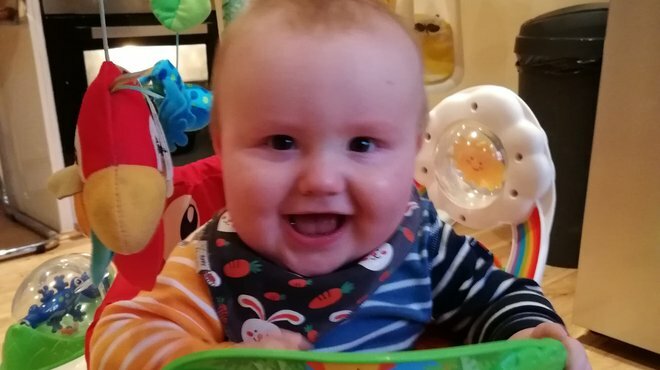 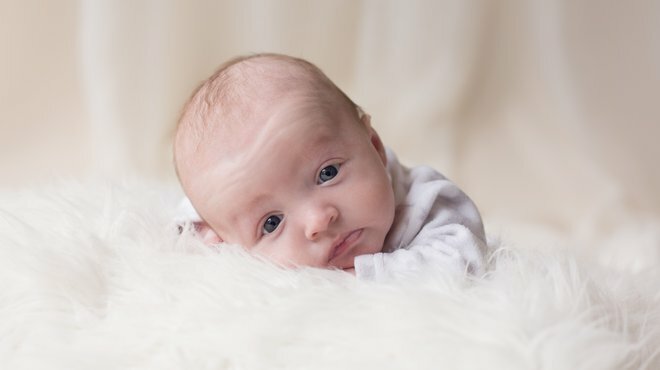 In February this year, Laura B noticed that her baby son Lewis was crying differently to normal. 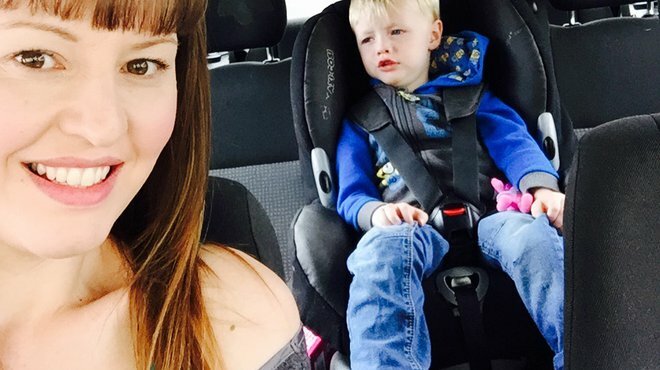 Sensing something was wrong, she took him to her GP. 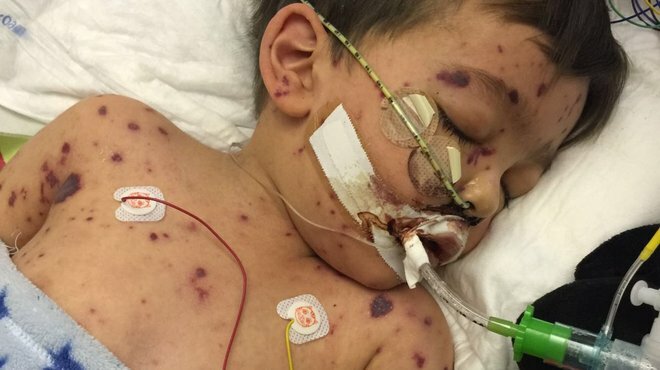 He was eventually diagnosed with viral meningitis. 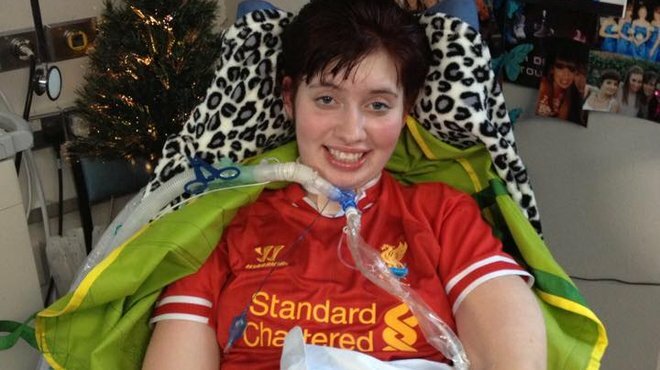 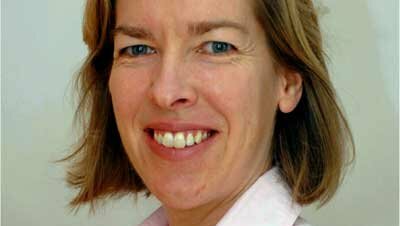 In March 2013, 25 year old Emma Thompson from Paignton in Devon, began to feel unwell. 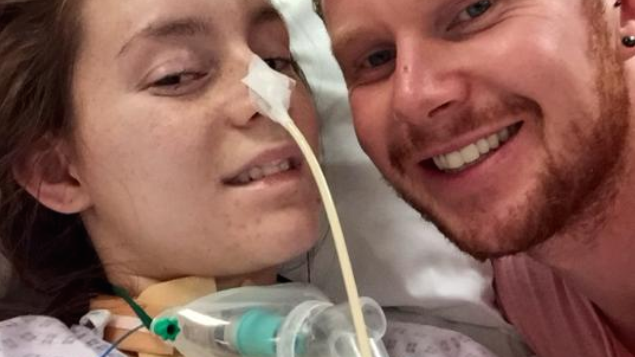 She hadn't heard of viral meningitis before, but now she will never forget it. 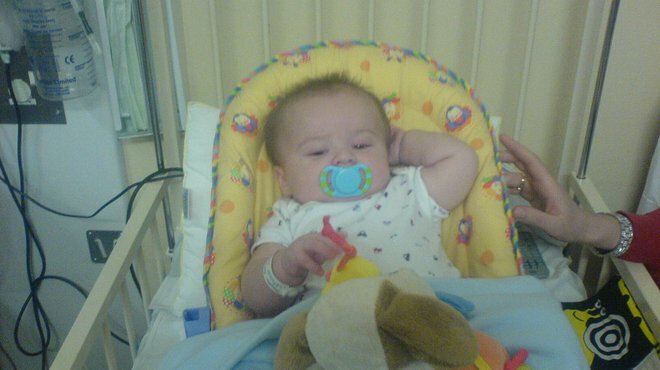 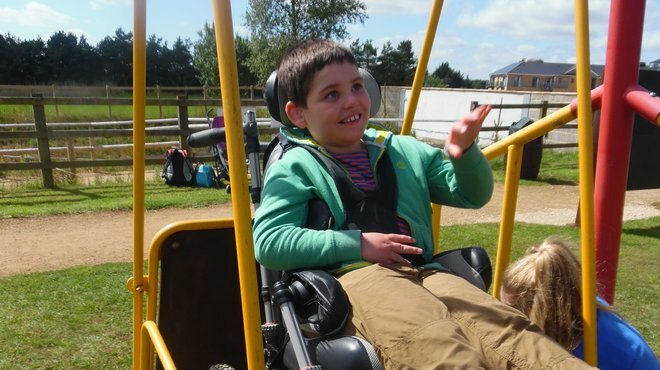 Louise’s son, Cavan, was only a few months old when he became unwell in April 2012. 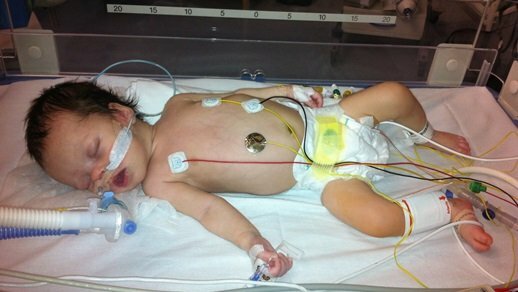 He was later diagnosed with type b meningococcal meningitis and septicaemia. 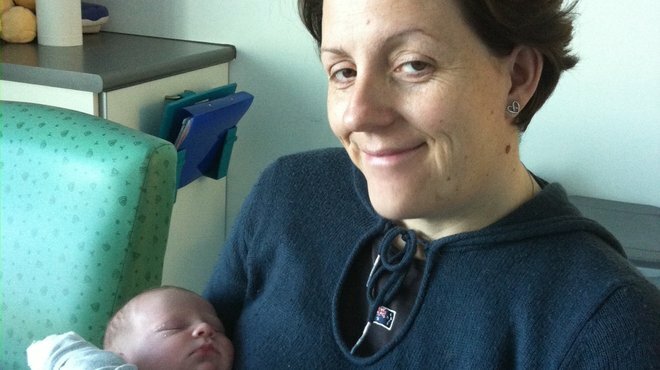 In March 2012, Leila gave birth to her son Frazer. 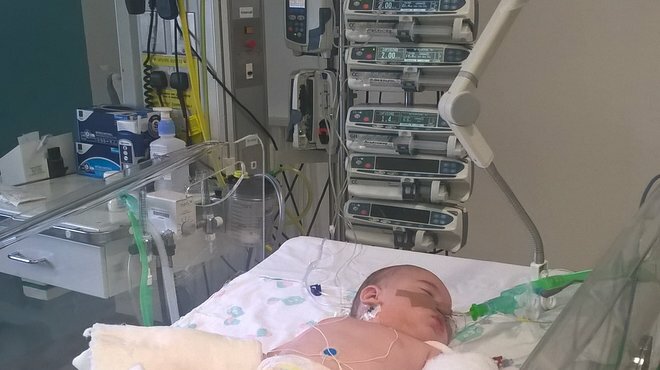 Seven days later, he contracted viral meningitis. 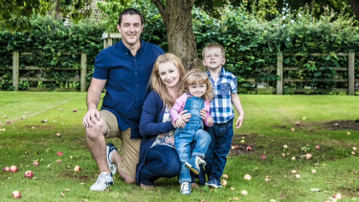 In October 2011, Katie Atkinson was working as a paramedic when she was diagnosed with viral meningitis. 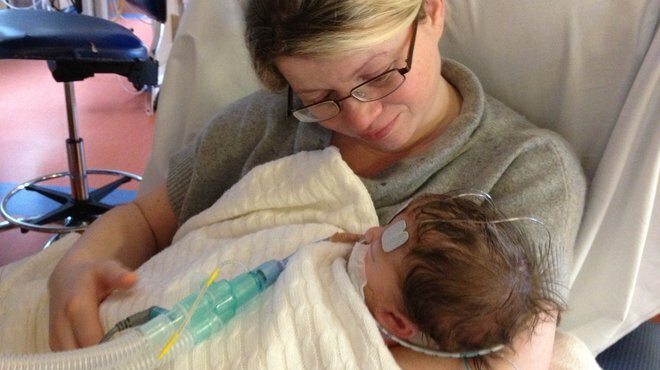 It left her with severe after-effects, which forced her to change the job she loved. 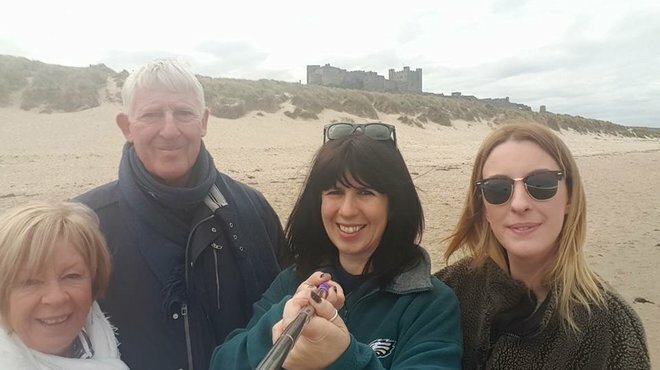 Rachel speaks about how unwell she felt at work, so instead of going home she checked into a hotel and was then rushed to hospital and, after treatment, discovered she was battling viral meningitis. 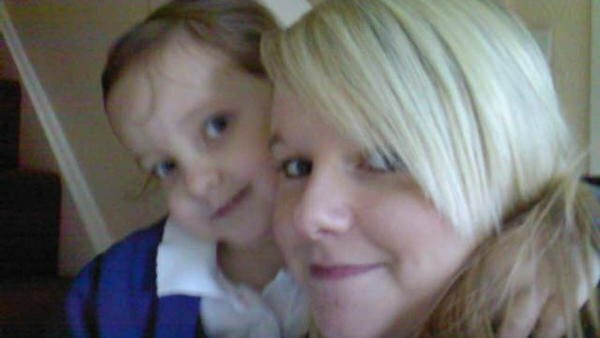 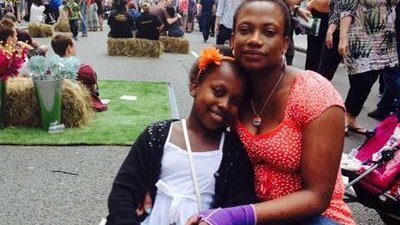 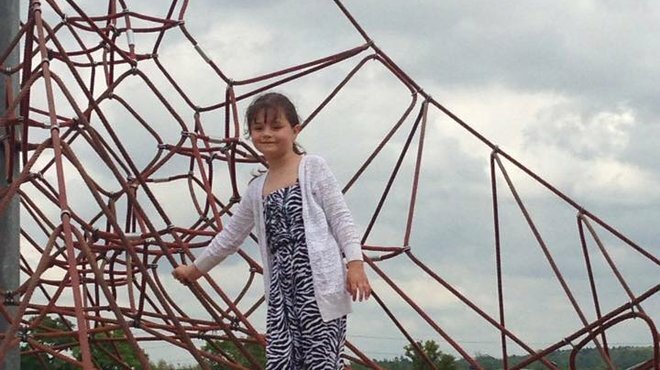 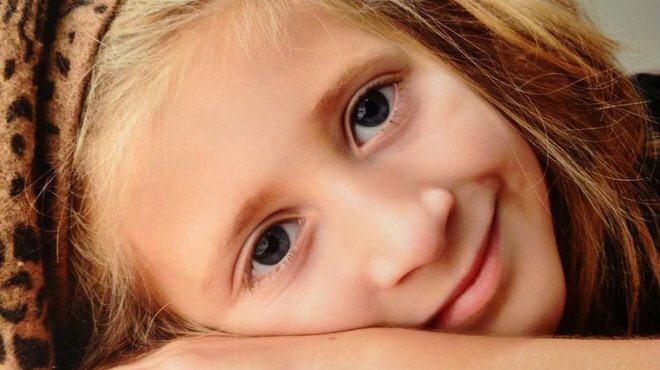 Carli will never forget the day her daughter Khiara fell ill with meningitis. 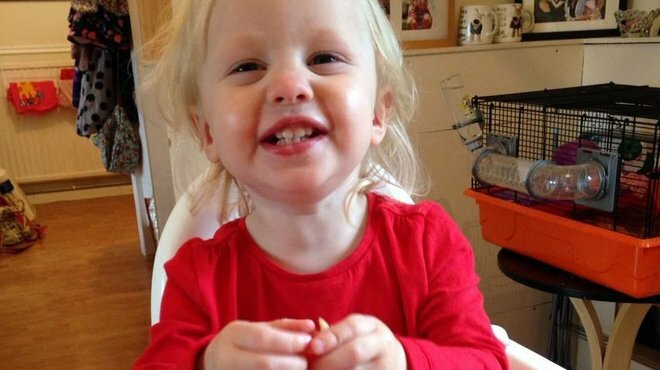 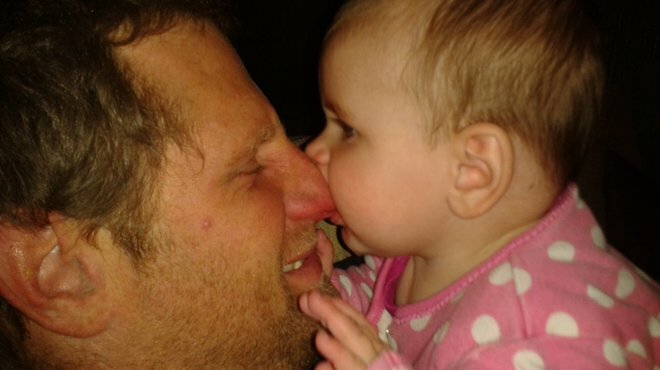 Here she tells how the youngster fought for her life as the deadly bug took hold. 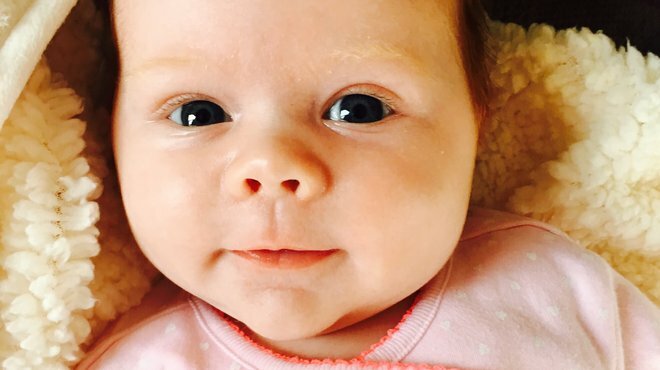 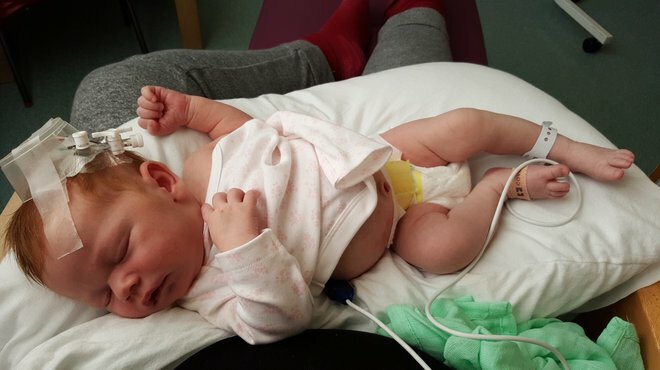 Kayleigh Bussey knew something was wrong when her daughter Lucie refused a feed. 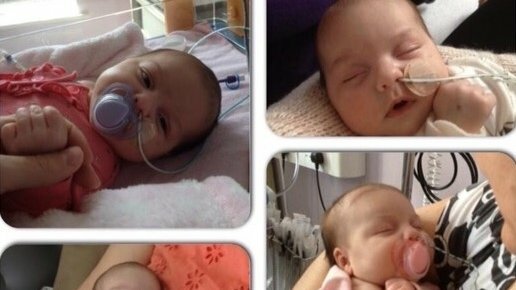 As her daughter became more and more ill she faced every parent's worst nightmare, her daughter had meningitis. 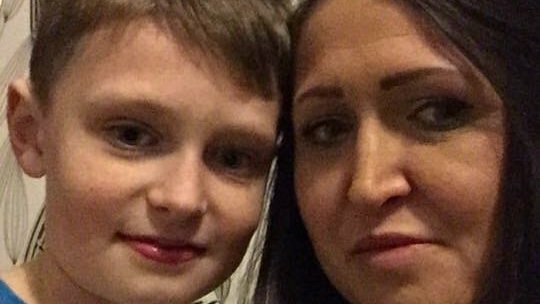 Declan's mum Lisa will never forget her son's second Christmas - it was the time she nearly lost him to a rare strain of meningitis. 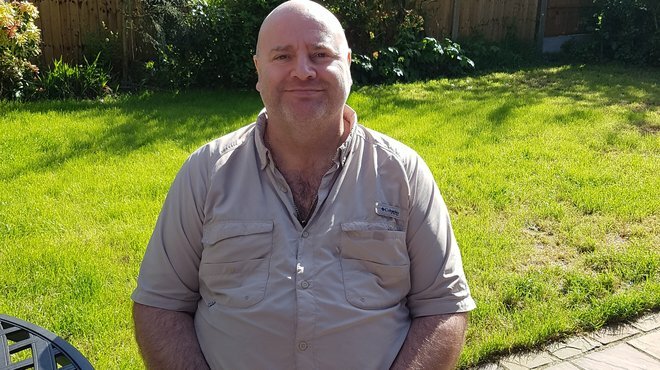 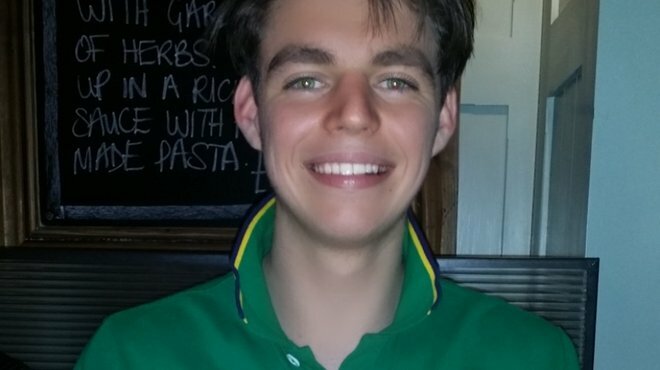 Daniel tells about how he thought he had the flu, but was soon in hospital fighting meningococcal septicaemia, which means he now uses a wheelchair. 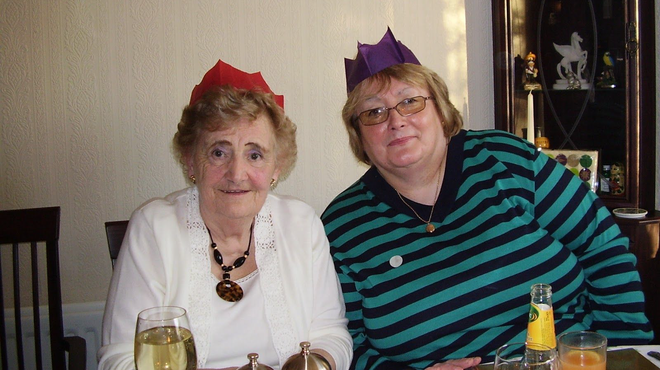 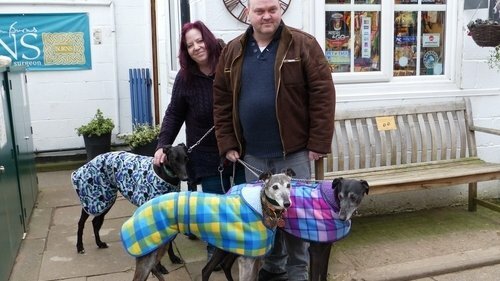 In December 2010 Bev Frank, from Leeds, was looking forward to Christmas with her children. 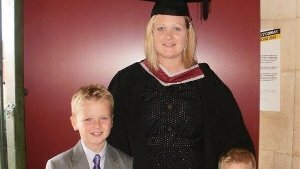 Then, her youngest son, Micheal, contracted meningococcal meningitis and their lives were turned upside down. 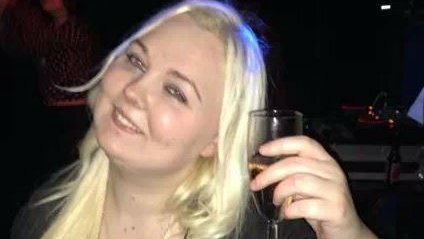 Amy Whittaker tells her story of meningitis, which saw her miss work and be in hospital for weeks as she recovered from the disease. 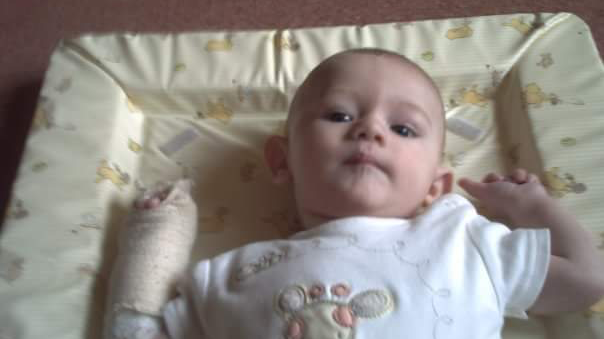 In April 2010, two year-old, Alissa Chowdhury was lying in a hospital bed after losing her legs and right hand after contracting meningococcal meningitis and septicaemia. 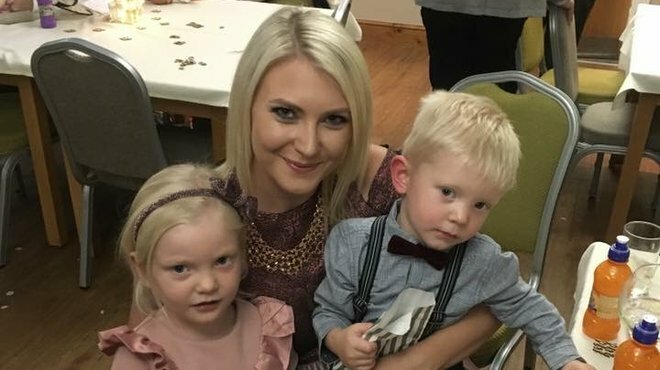 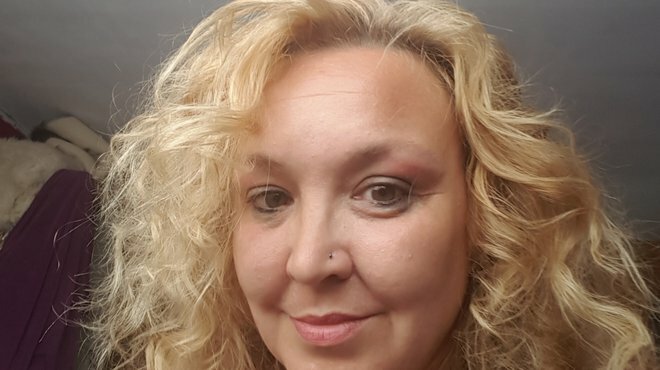 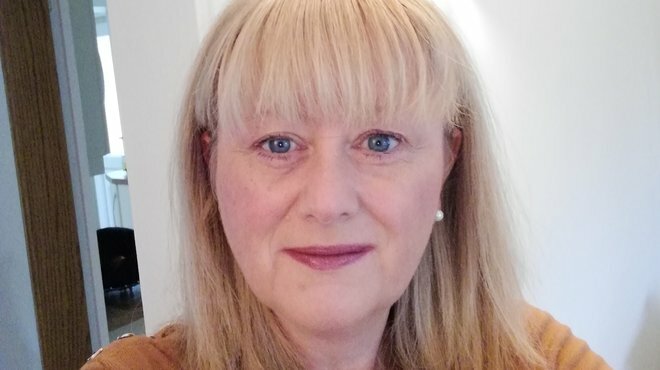 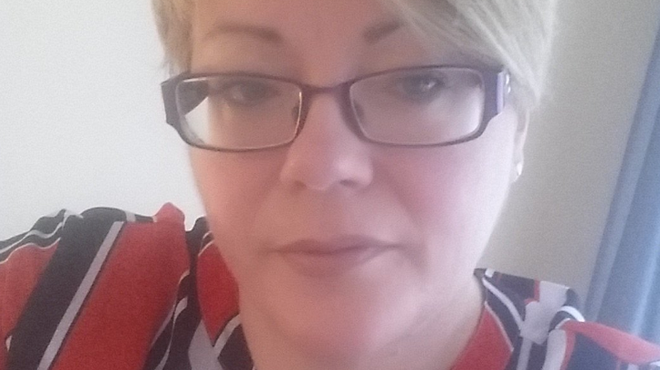 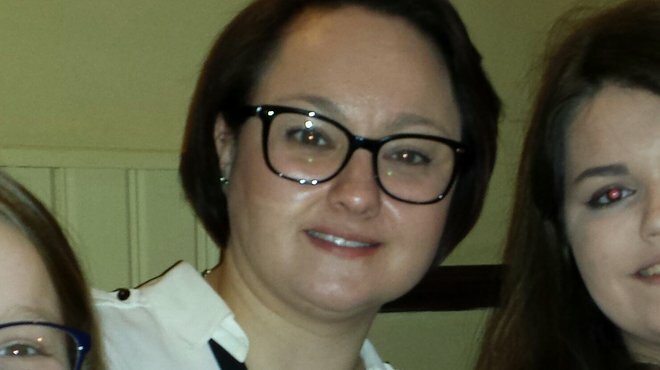 When Joanna Rigby fell ill at work she thought she was coming down with flu but her condition worsened and she was rushed to hospital with meningitis. 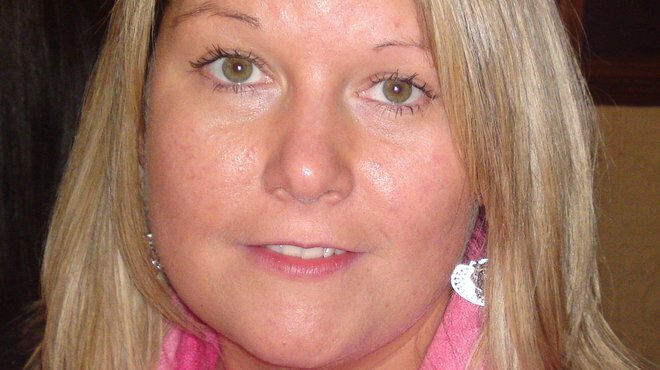 One evening in March 2010, Lynne Harding from Aldershot fell asleep after feeling unwell. 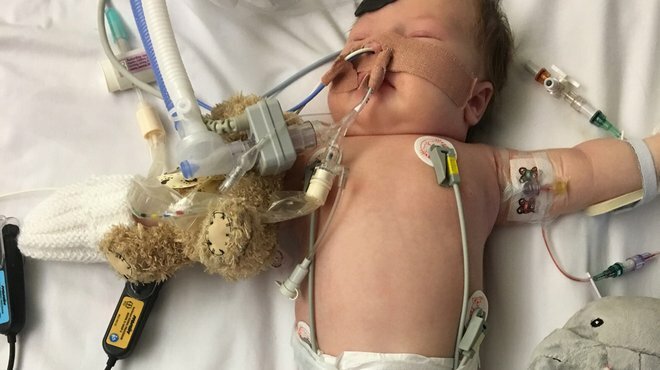 She woke up four days later in hospital; she had contracted both pneumococcal and viral meningitis. 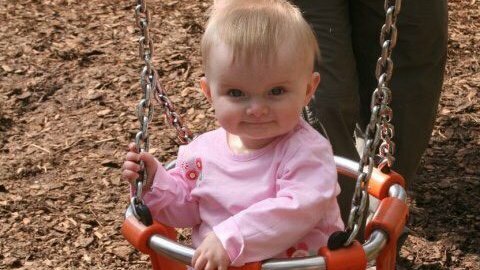 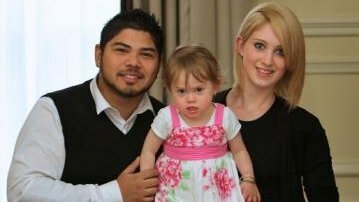 Little Amelia was five-months-old when she fell ill in February 2010. 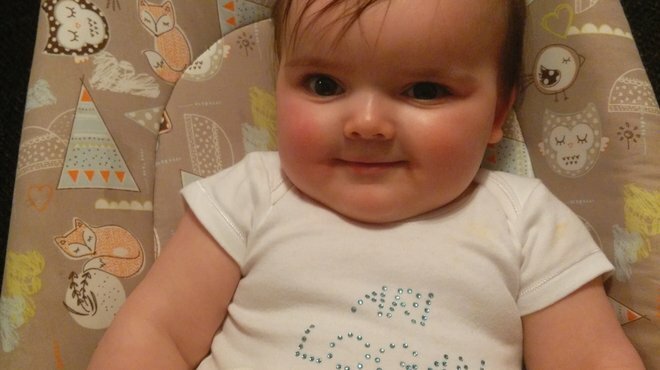 She had a high temperature and was vomiting her feeds but seemed happy in herself so we thought she was just teething. 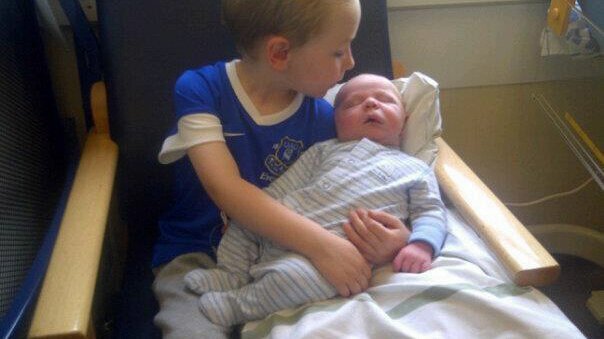 Her big brother Patrick, four, had been a bit sniffly too. 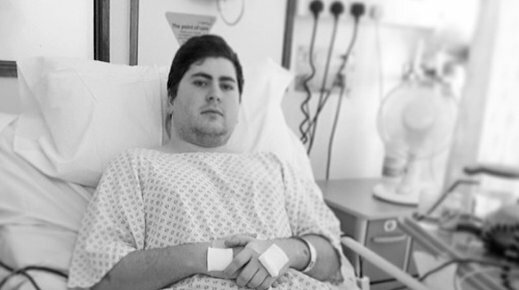 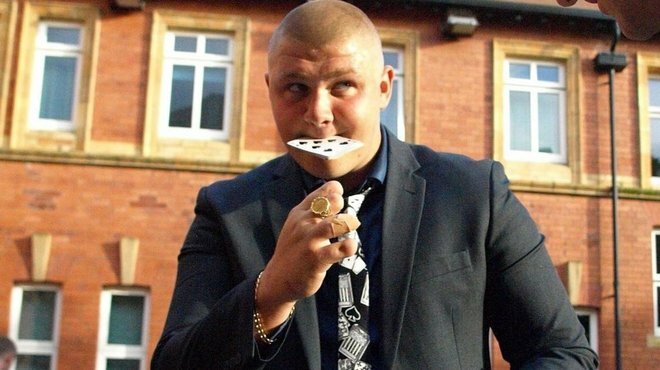 Alkin fell ill with meningitis shortly after Christmas in 2009. 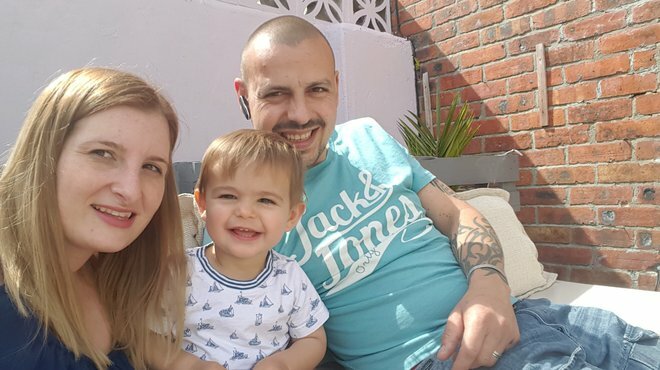 The speed at which he fell ill, and the emotional rollercoaster that was to follow, has made his family realise just how lucky they are that he pulled through. 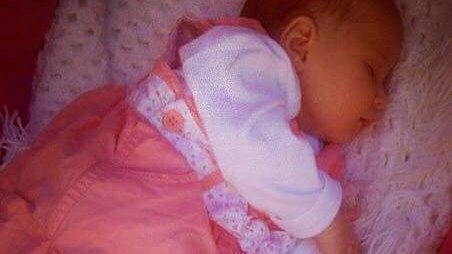 Andy Hall knew something wasn't right with his granddaughter Taylor-Rae when he was babysitting her one weekend. 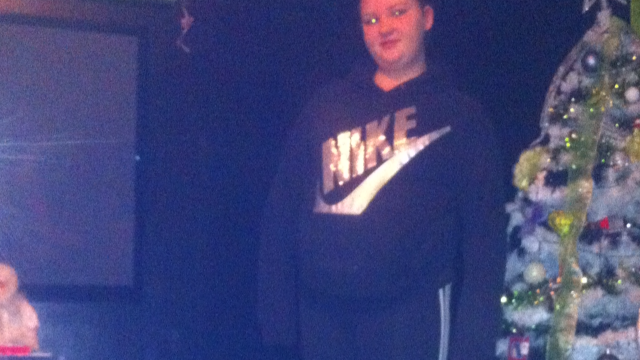 But he had no idea just how ill she would get. 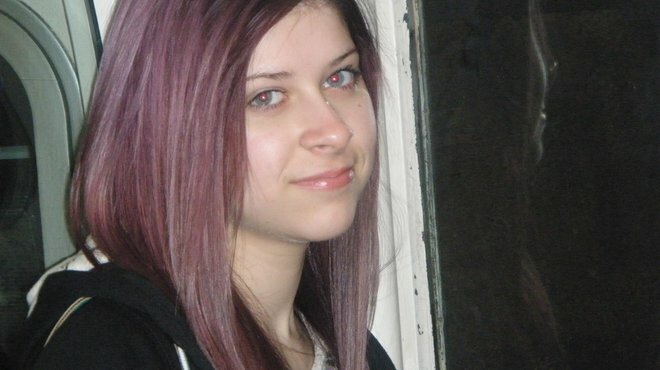 Gemma hit the headlines in July 2009 when she almost died from meningitis after doctors misdiagnosed it as swine flu. 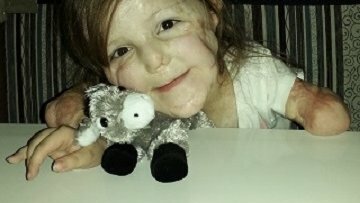 She faced a real battle to get the correct treatment. 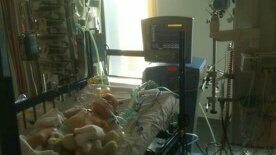 With a life-support machine keeping her alive. 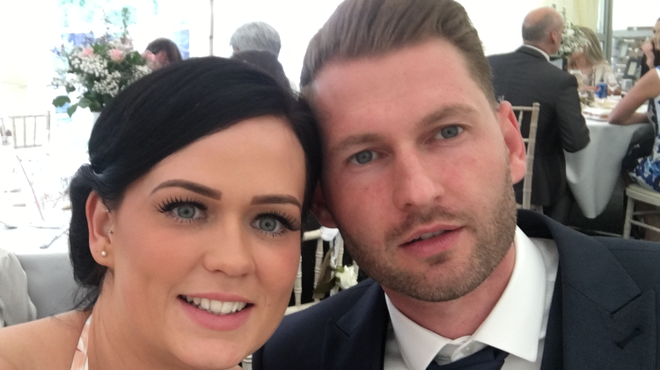 Amy faced a frightening time when she was rushed to hospital with meningitis at the same time as her young son. 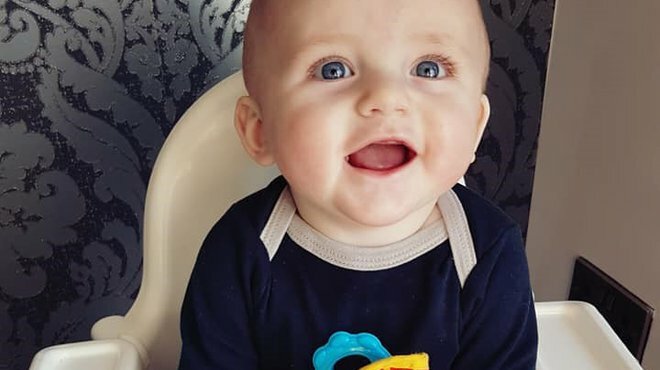 Brave Marshall fell ill with meningitis just days after his first birthday, causing him to lose both his hands and legs to septicaemia. 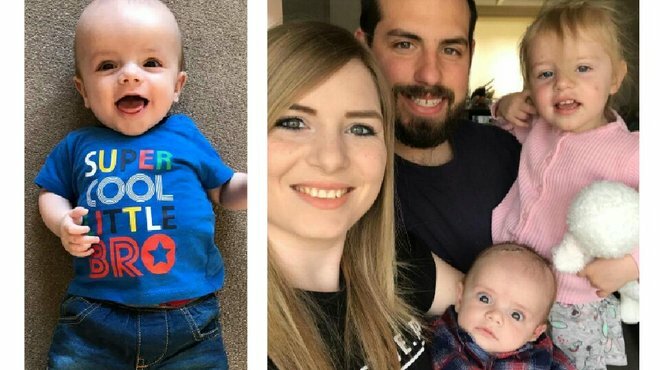 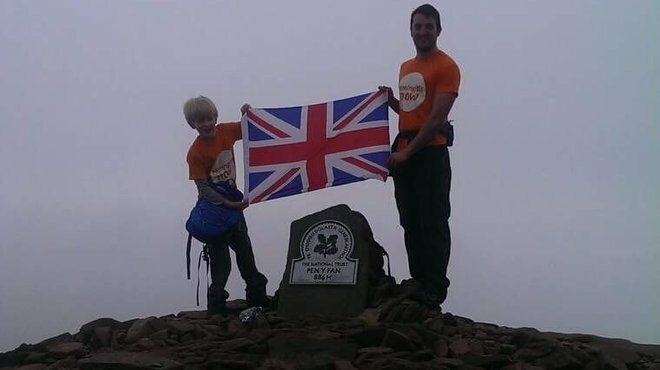 His family and friends have rallied round to raise tens of thousands of pounds to fund prosthetic limbs. 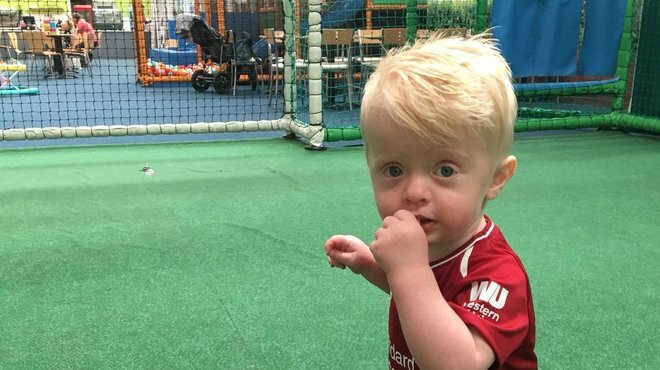 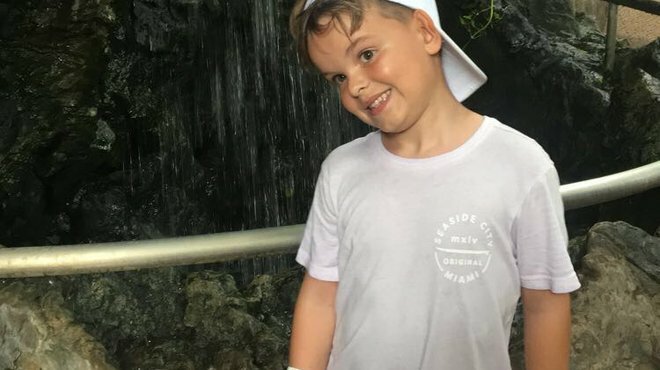 Little fighter Robbie has captured people's hearts with his bravery after losing both legs to meningococcal septicaemia. 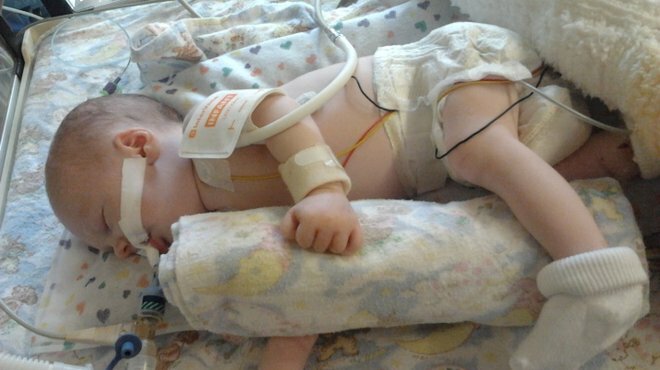 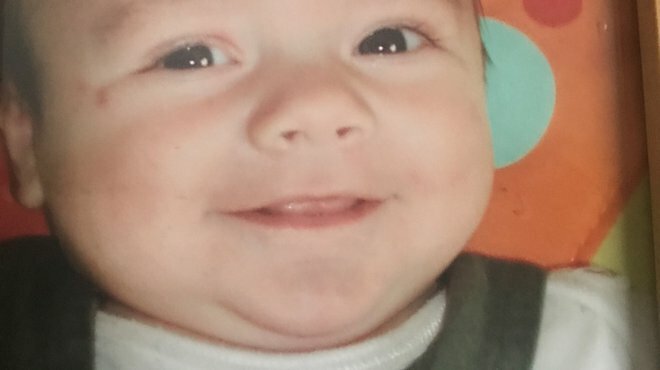 They were amputated as he battled back from the brink of death at just 23-months-old. 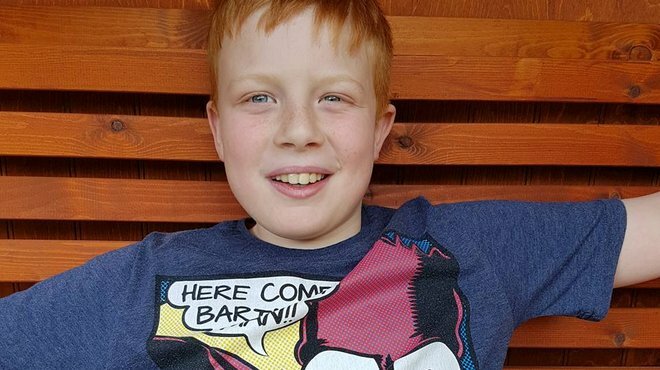 Rory fell ill with meningitis on November 25, 2007, and was fighting for life in hospital when he was also struck down with haemolytic-uremic syndrome - a rare but severe condition which causes kidney failure. 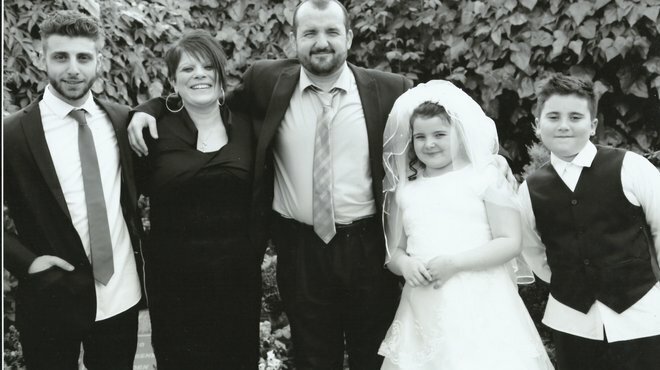 In October 2007, Helen’s daughter, Jasmine, started to feel ill. 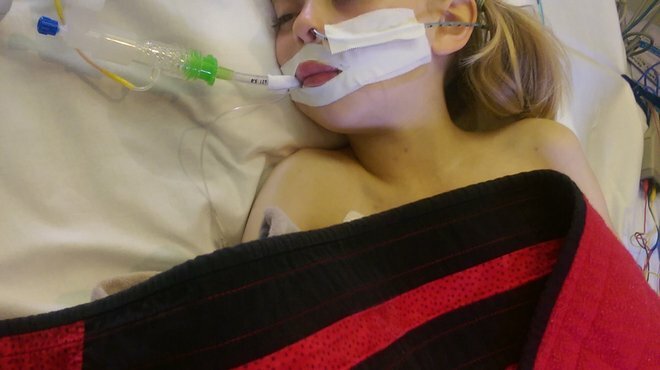 Within hours, a rash had covered her body and she would later be diagnosed with the ‘C’ strain of meningococcal meningitis. 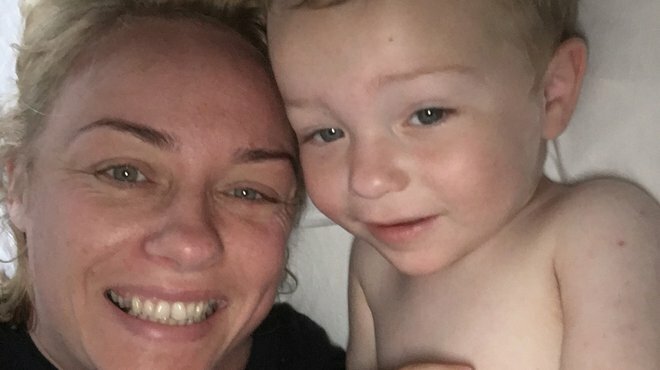 When Amanda Keys' son Harry became ill when he was just 11 days old she was told it was probably just colic. 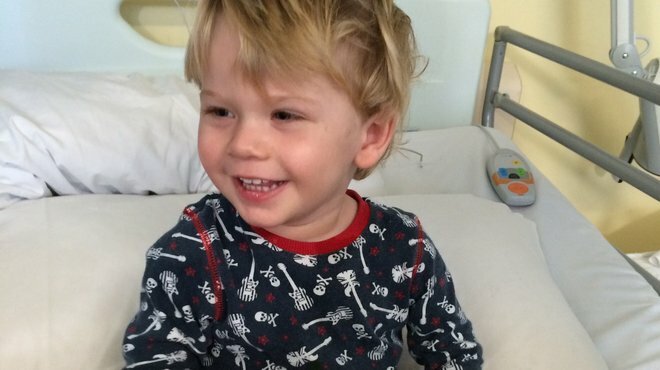 It wasn't, Harry was seriously ill with meningitis. 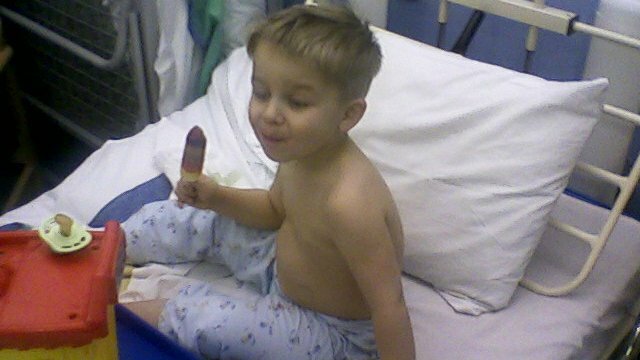 Life for the Friedli family changed dramatically in 2007 when dad, Andy, contracted viral meningitis. 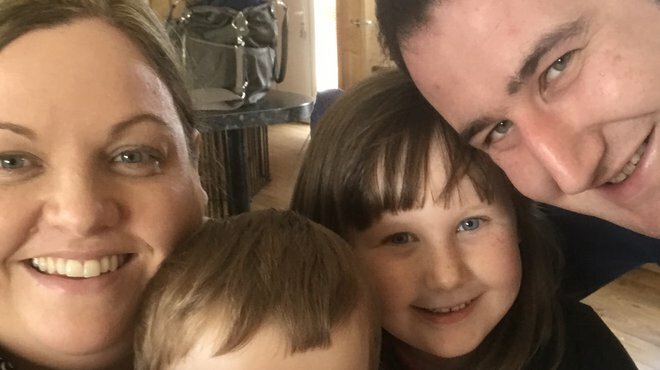 The pain and trauma was felt by the whole family – especially daughter Nicola, three, who was frightened her daddy may die. 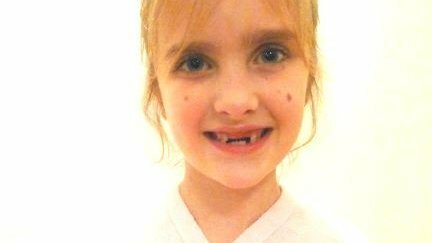 On Boxing Day in 2006, Emma Howell, was suffering with a headache so severe, that she was taken to hospital by her worried parents. 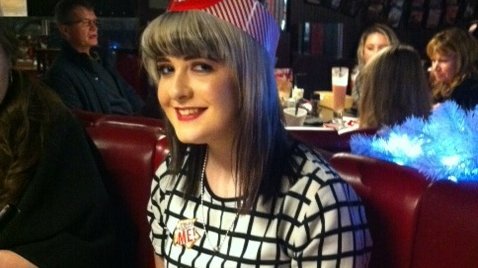 Emma, from Aberdare in Wales, was later diagnosed with meningoencephalitis HSV1; a form of viral meningitis. 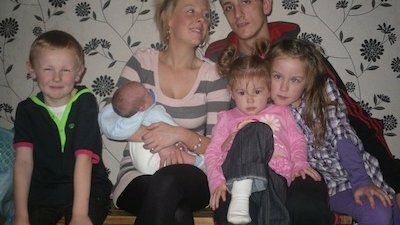 It was four days before Christmas in 2006 when Kate began to feel ill but she passed the tiredness and headache off as the early stages of flu. 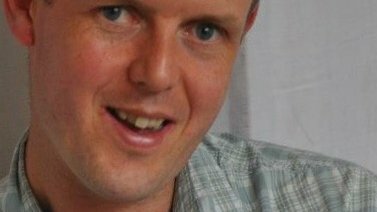 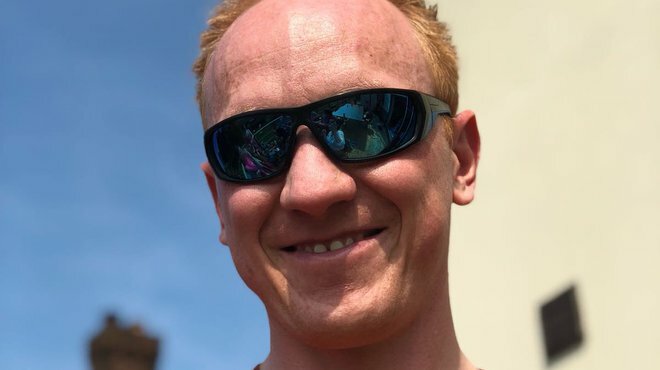 Jonathan Davies, 50, was leading an active life, training for his first open water sea triathlon, when viral meningitis struck. 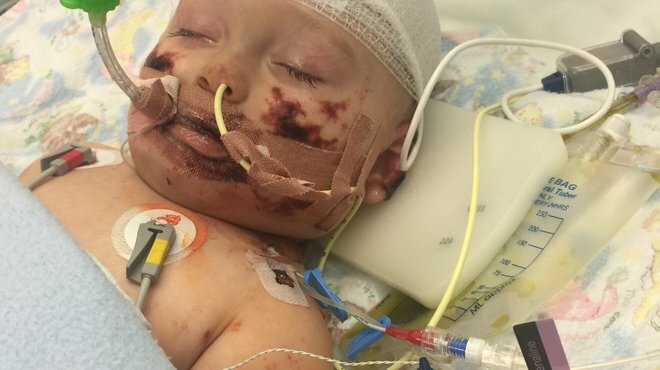 He thought "I'll give it a couple of days and I’ll be back to normal." 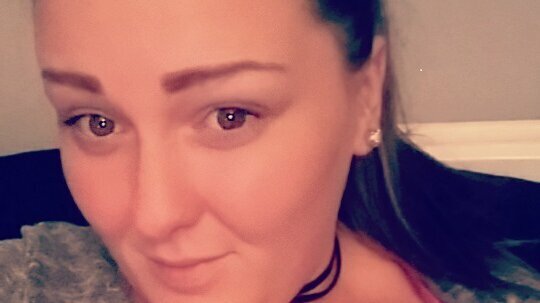 Not quite. 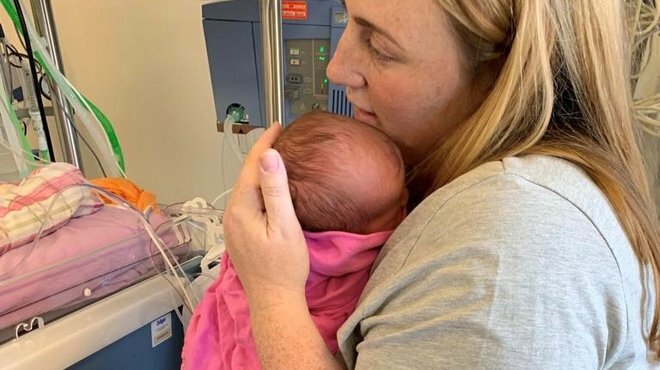 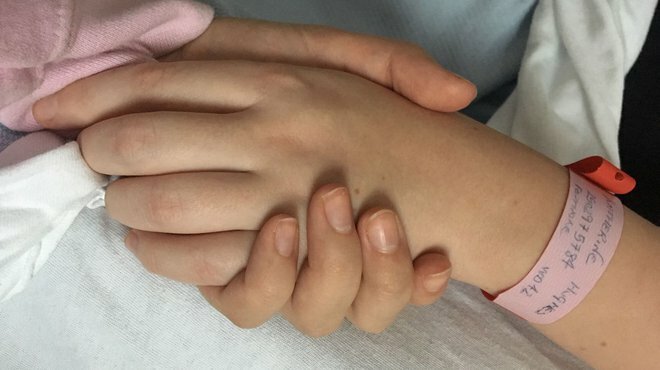 When Louise gave birth to daughter Heather five weeks early she wasn't expecting to spend the next week in hospital as the little tot fought for her life with a deadly strain of meningitis. 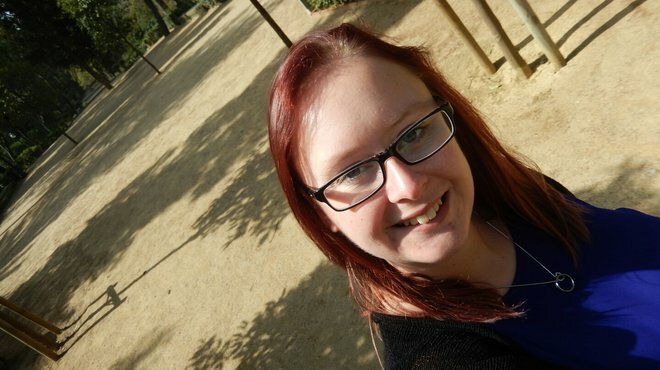 Jodie contacted us to share her story, which she has written as part of her health and social care course at college. 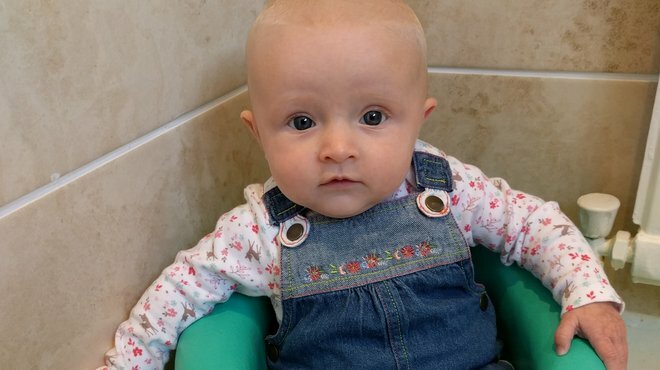 Here's what she learnt about how ill she was at the age of just six months old.